Posts Posts by: "Chris Johnston"
Are you confused about how to make kefir, kombucha, and cultured veggies? 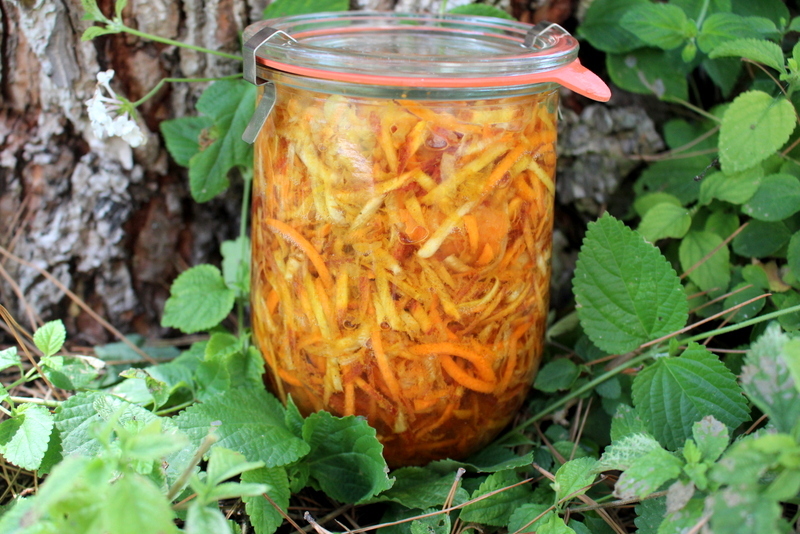 I have lots of ways to help ferment faster and easier than other methods. I've been doing this for 17 years and I have tips that can really help you. Tune in to find out more. Years ago when I was young and raising my kids, I was often influenced by well-meaning friends and family. They scared me to death with the latest news they had heard and would say, “Don’t eat this and don’t let your kids do this and did you read that story about how bad this is for you?” It drove me crazy trying to figure out what to believe and finally, I’d had enough. They didn’t know any better than me, and I decided I was going to follow my own path, seek my own guidance from within, and forget what everybody else thought was right for me. . .
Have you heard about the ancient species of wheat called einkorn? Many people who were gluten intolerant seem to thrive on this bread since it's missing the troublesome protein contained in regular wheat. Check out the podcast to hear more. A few years ago, I started hearing about the ancient species of wheat called einkorn. People who were gluten intolerant were writing me letters about it and saying it was allowing them to eat bread again without the problems regular wheat had caused them, and I wanted to know more. 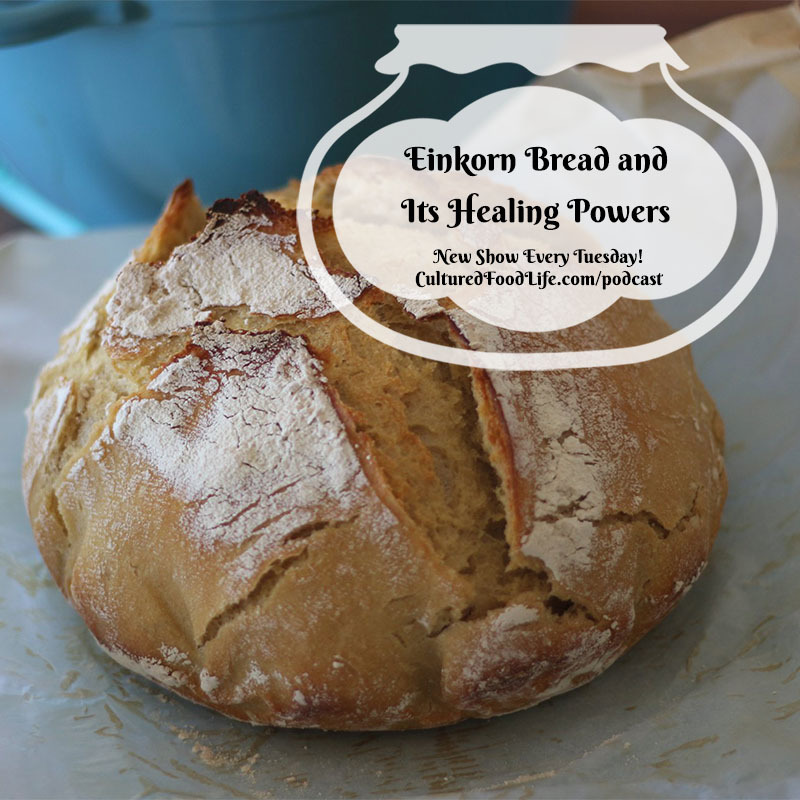 I learned a lot about einkorn when I started working with it to make sourdough bread. . . 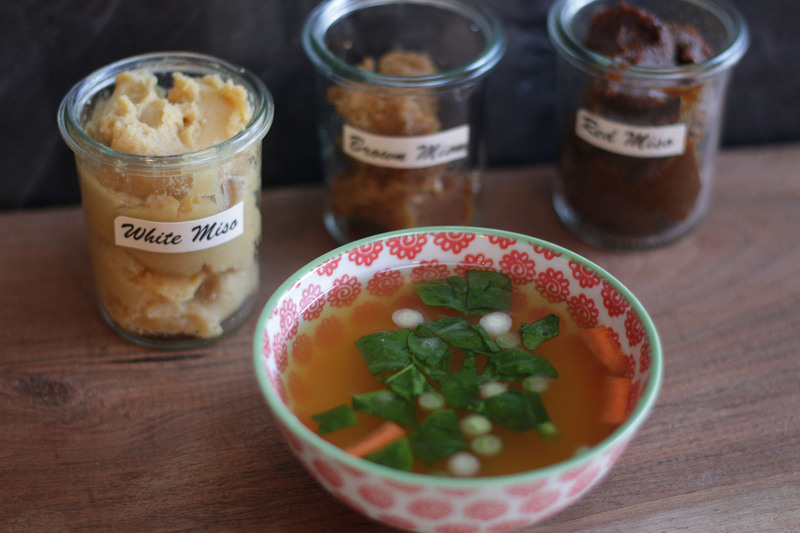 Many people are afraid to make cultured foods for fear they'll mess it up and get sick. They don’t understand cultured foods and how they work, and preconceived ideas have created fear. Check out today's podcast and learn the science that will help you gain confidence and remove the fear. I get a lot of people writing me letters indicating that they are afraid they are going to get sick from eating cultured foods. They don’t understand cultured foods and how they work; preconceived ideas and the media have created fear, a lot of fear. . .
Is kombucha good for you? Is it alcoholic? 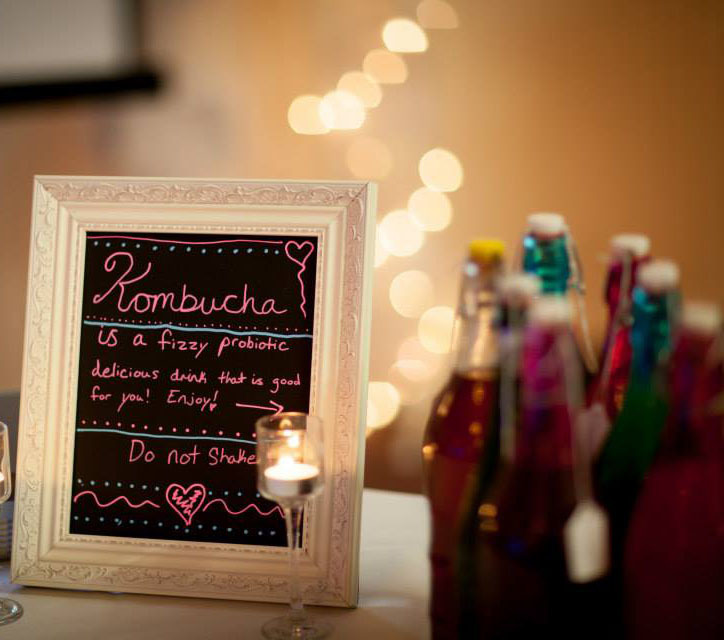 As of late, kombucha has been getting a lot of press. 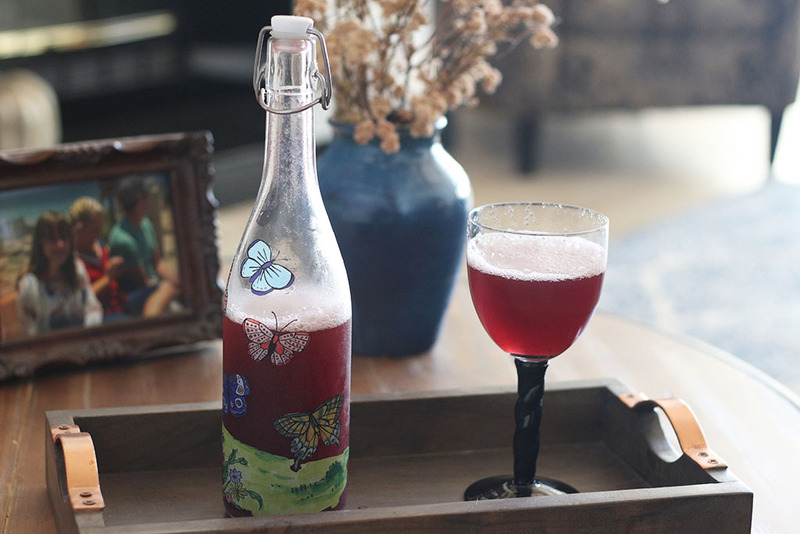 Kombucha has become a 0.6 billion dollar industry and is expected to reach 1.8 by 2020. It is causing quite a stir. . . 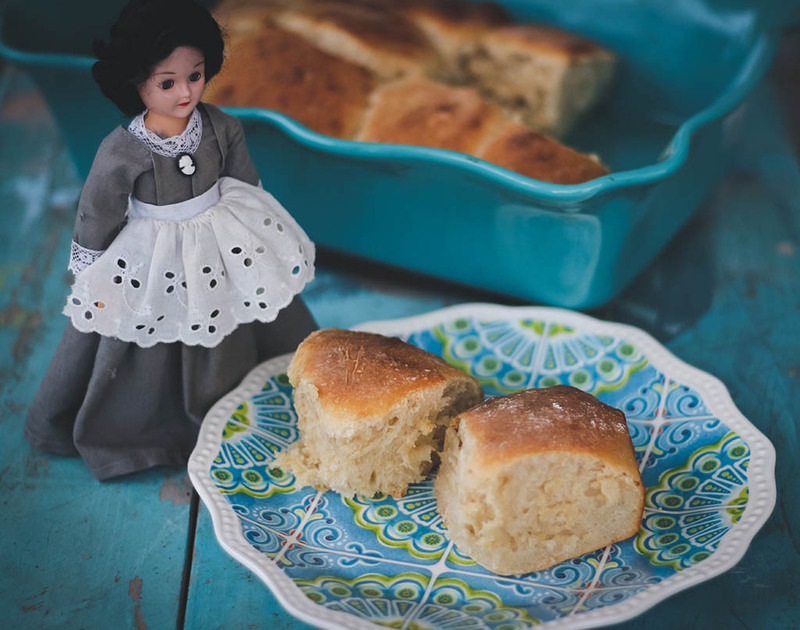 It took me a long time to discover why my daughter struggled with gluten. It also helped me discover that it wasn't the bread, but what we've done to the bread and our guts, that was wreaking such havoc on our lives. Listen to gain understanding as to why our bread can be better than ever before. 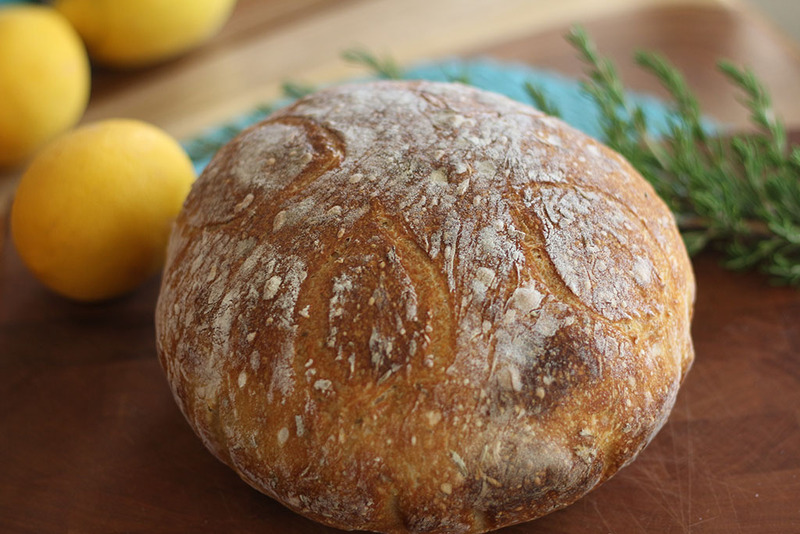 "All Things Sourdough" is available to download now through the end of April! So as I write, I'm waiting for my starter to become bubbly. 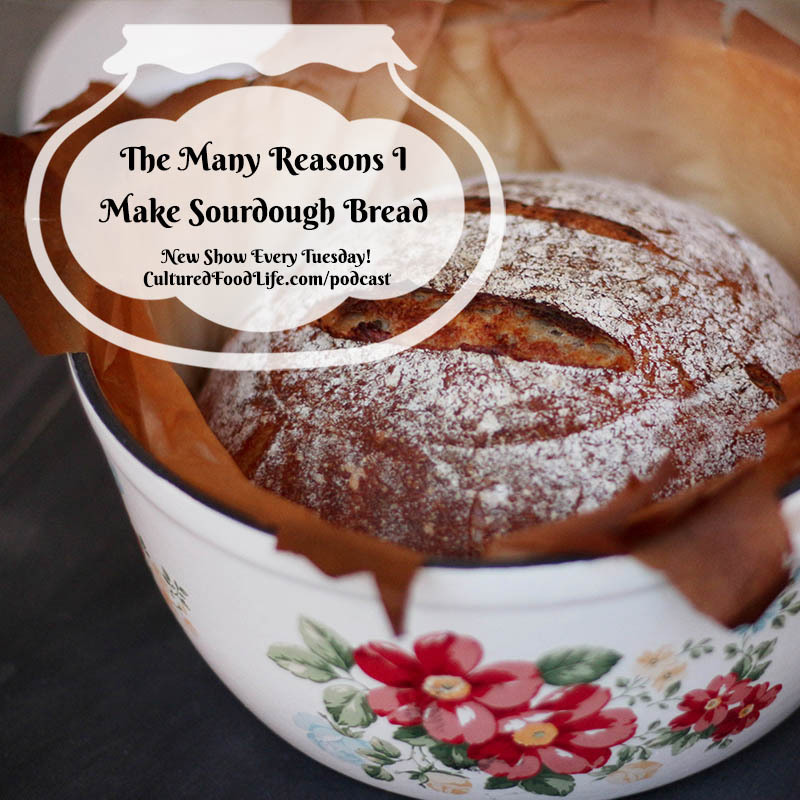 Sourdough bread is only flour, water, and salt. It's hard to believe it all comes together to make something that has such flavor and character. 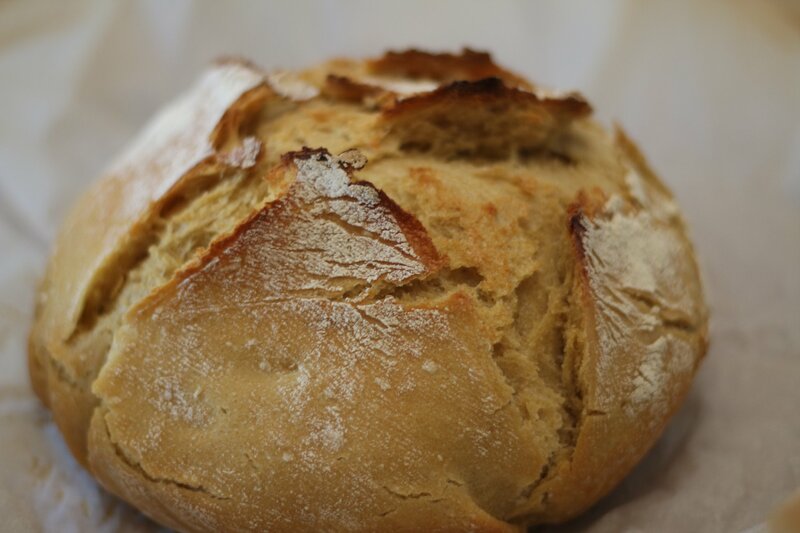 Bread made with a sourdough culture is a completely different. . . I was twelve years old and taking a school field trip to Gettysburg, Pennsylvania, where the largest battle of the American Civil War as well as the largest battle ever fought in North America, took place. Little did I know that this particular trip would have a tremendous. 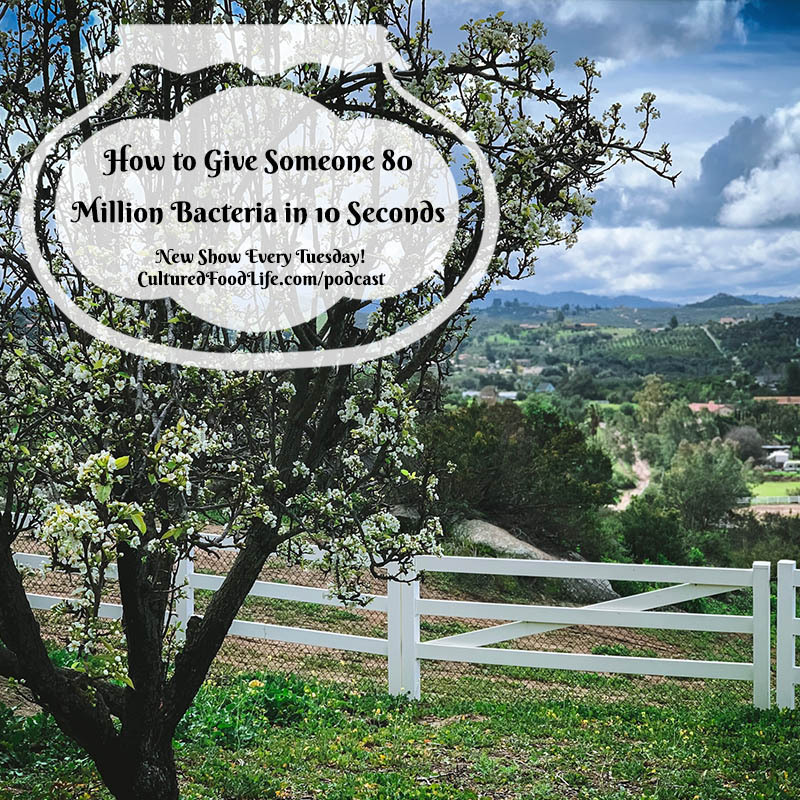 . .
Did you know you can give someone 80,000,000 of your bacteria in 10 Seconds?! 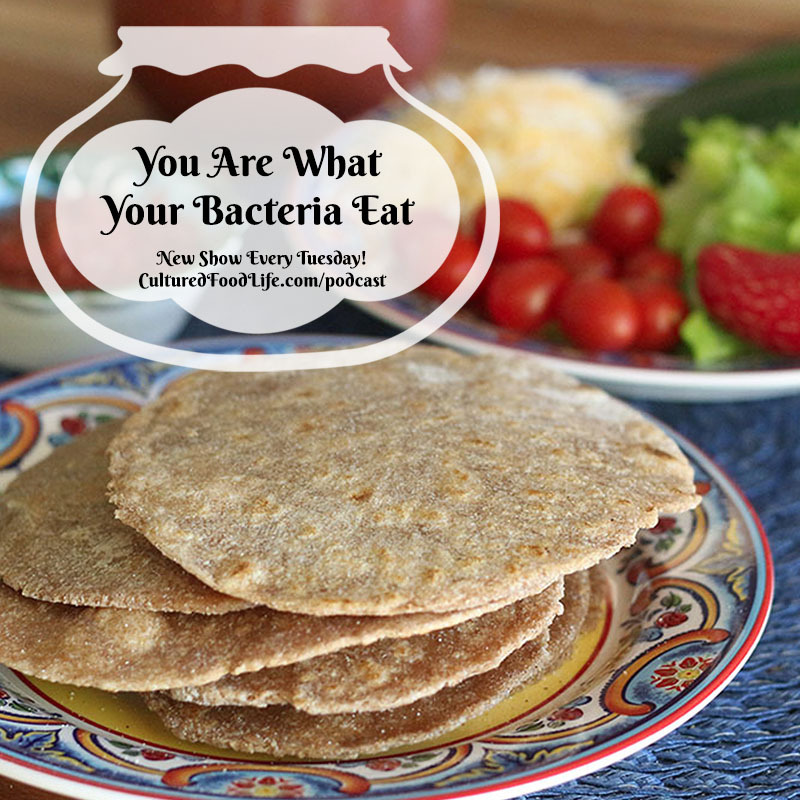 Find out how to make sure that you’re giving away good bacteria instead of bad!!! A team of Dutch researchers shared their findings of kissing in the journal of Microbiome. Forty-two volunteers allowed the researchers to wipe their tongues with a cotton swab and gather saliva several times a day. 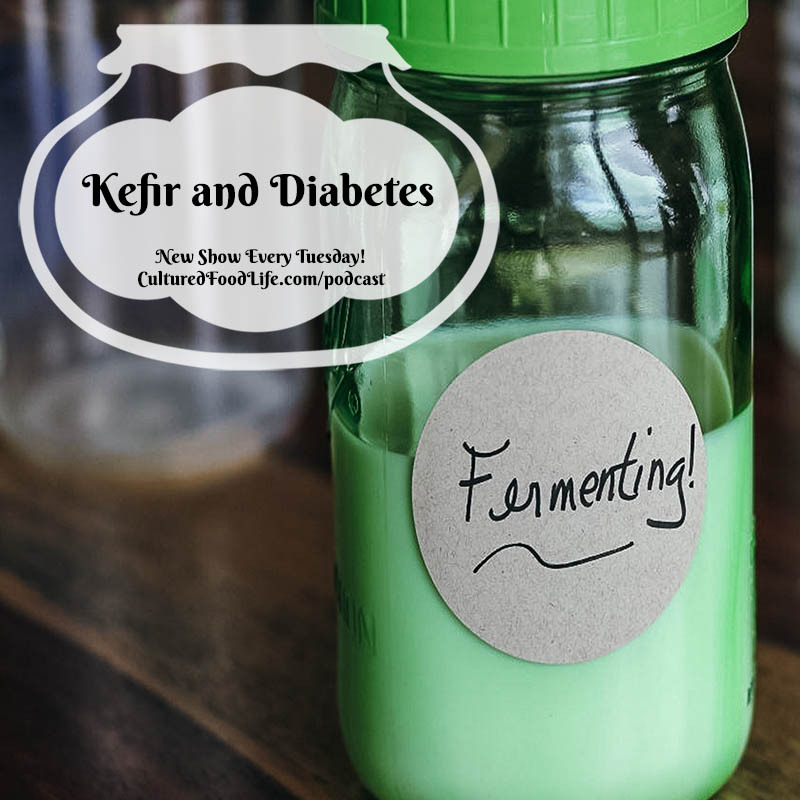 . .
Kefir was life changing for me in regards to blood sugar problems. 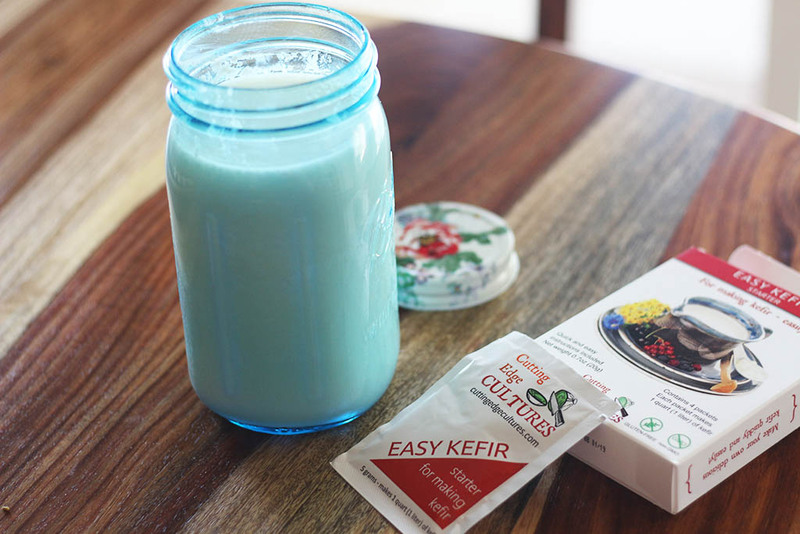 Find out how kefir can help your blood sugar by changing the microbiome and enhancing your overall health. I remember that day quite vividly. It was over fifteen years ago. It was February and bitter cold outside. I made myself a breakfast that I thought was healthy – high-fiber cereal and skim milk. Thirty minutes later a terrible feeling came over me, one that I recognized from having gestational diabetes with the pregnancy of my daughter. 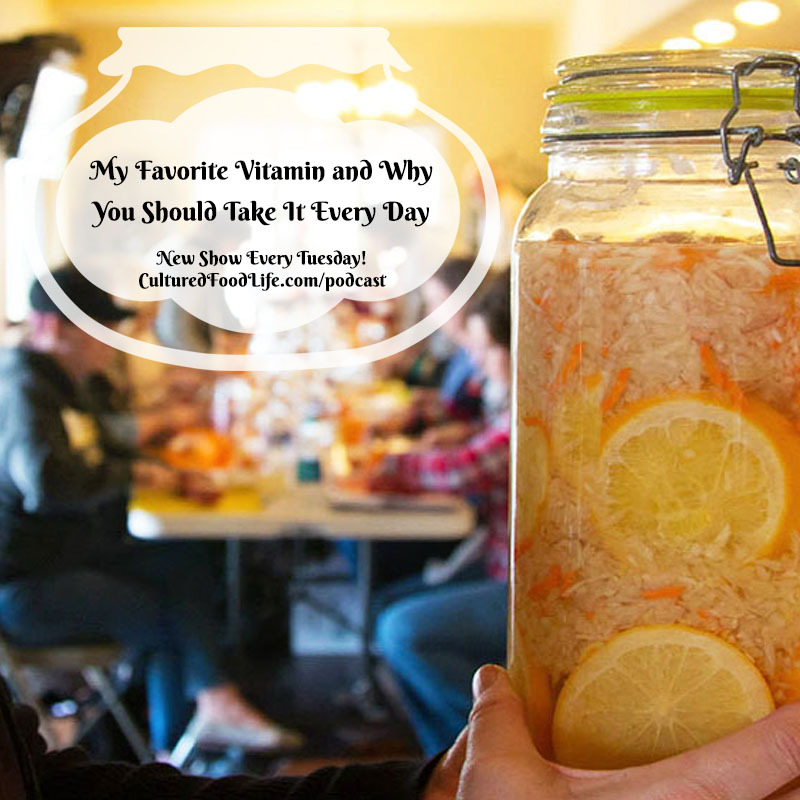 . .
One of my favorite things that cultured foods do is to boost your immune system. Your gut is responsible for 80% of your immune system. 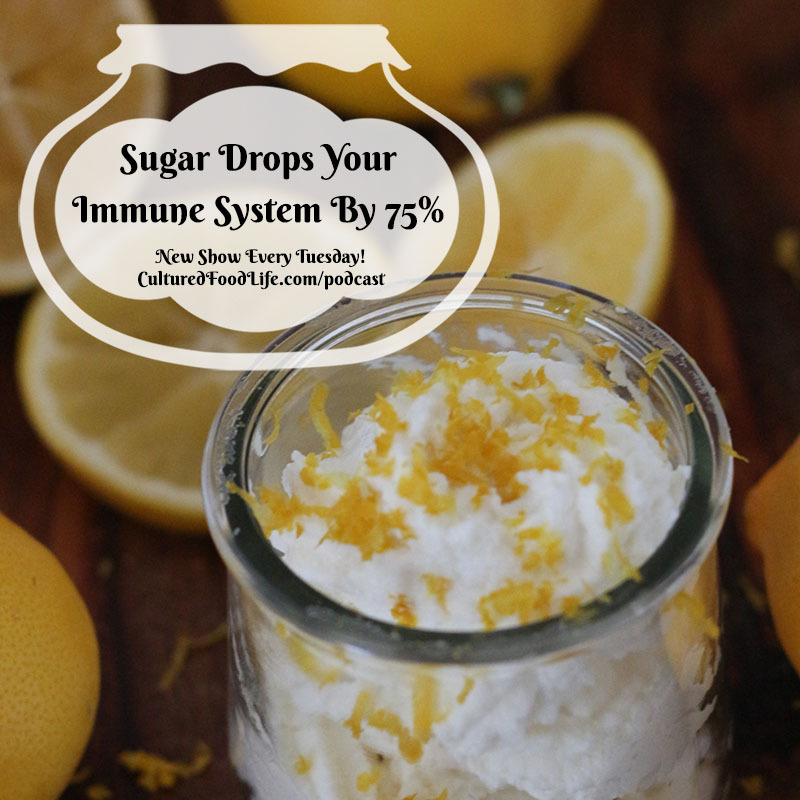 Find out how sugar can drop your immune system by 75% and how cultured foods can help. Your gut is responsible for 80 percent of your immune system. The more good bacteria you have, the better your immune system will function. Viruses run around looking for a human host to inhabit. When it finds one, your body has special helpers designed to seek and destroy this invader. One of the things that can affect your immune system is eating sugar. Research is now finding that children with autism have altered gut flora that needs restoring. 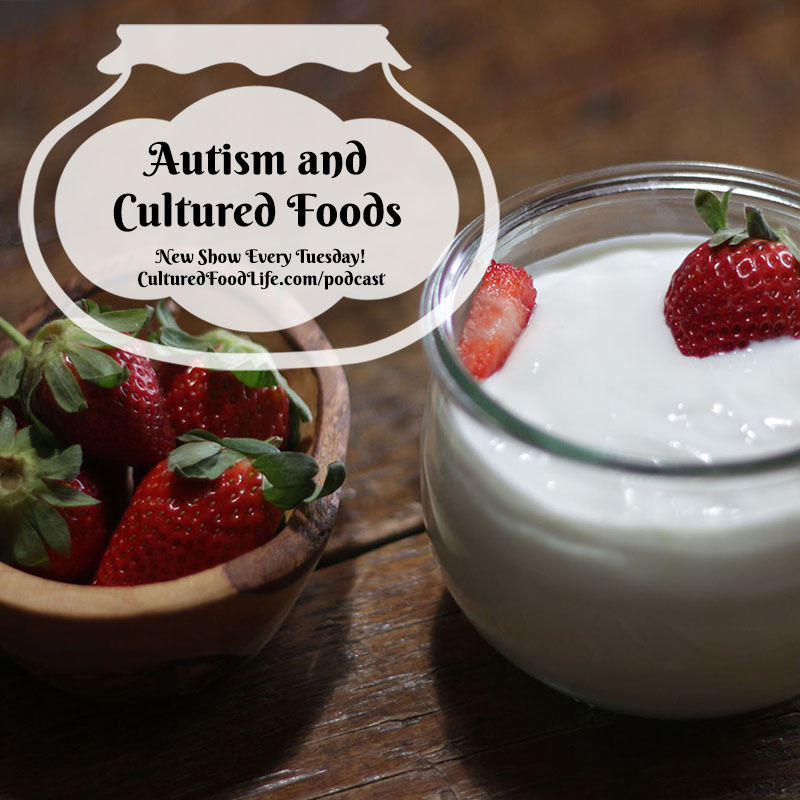 Listen to the research and miraculous stories of how cultured food are helping those with autism. These are some of my favorite stories of healings. Can Probiotics Help Your Child with Autism Feel Better? Her name was Mary and she changed my life the day I met her. It was the very beginning of my journey with cultured foods, and I was in hiding with my newfound knowledge. People didn’t understand what I was doing, and the thought of letting food ferment on your counter for days at a time . . . well, it sounded crazy to people and they let me know they thought I was nuts. . .
Whey has been called liquid gold, and it has been used throughout history to help with many diseases. It's a superfood that can help with a myriad of ailments. 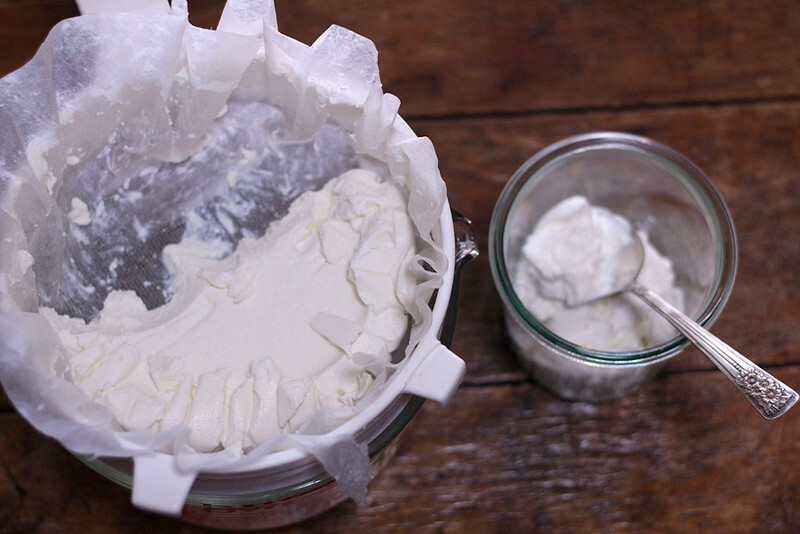 Kefir cheese has many wonderful properties too. Let me show you the many properties and ways to use this wonderful food! 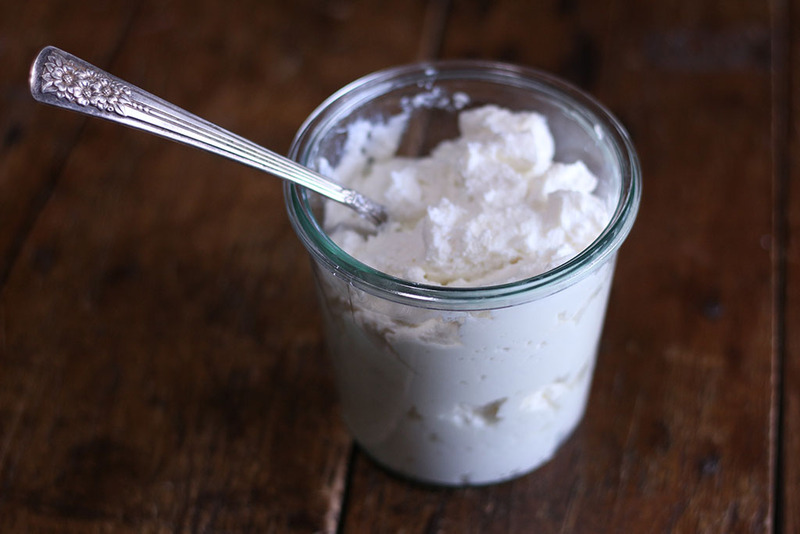 Don’t throw out your kefir if it separates into whey and curds. 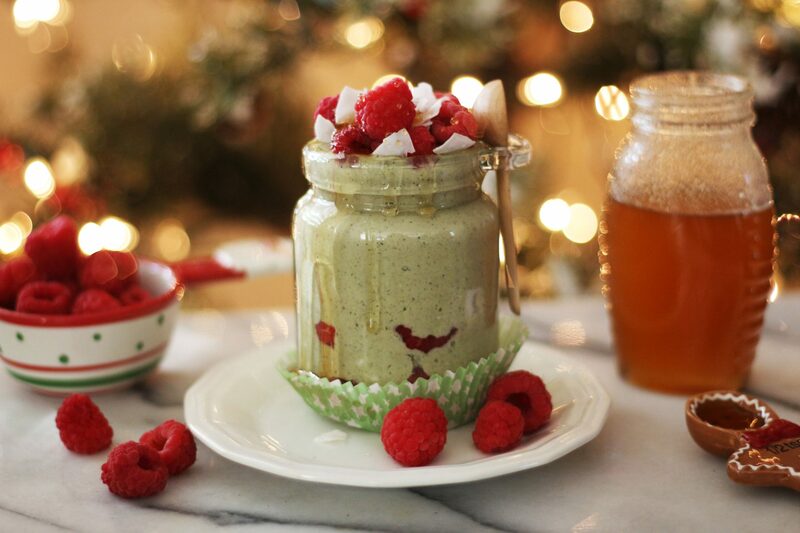 Your whey, although less appealing to many individuals, is a superfood which contains a lot of healing properties. There is something known as “The Whey Cure” which was used throughout history. In fact, Hippocrates and Galen, two founding fathers of medicine, frequently recommended whey to their patients to heal them. This whey was often referred to as “liquid gold. . . Episode 68: Does Kefir Help Your Blood Pressure? Microbes – If You Don't Feed Them They Can Eat You! 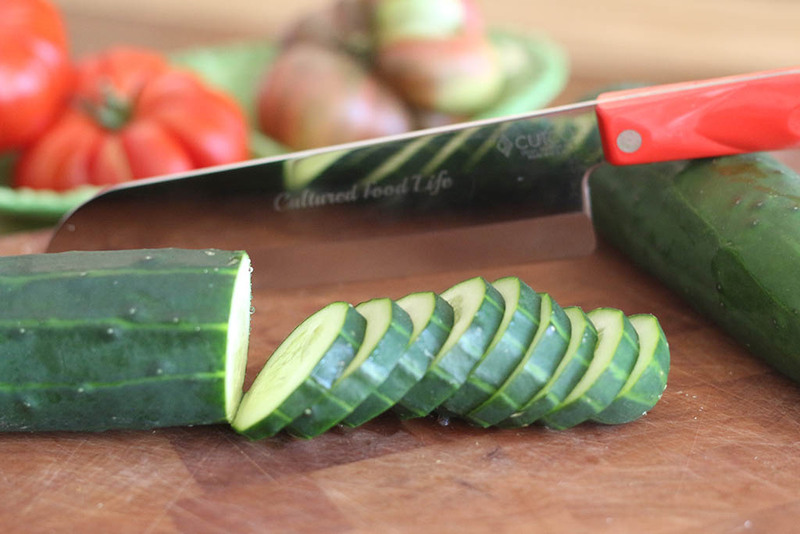 Spend a day and immerse yourself into the world of making and eating cultured foods. 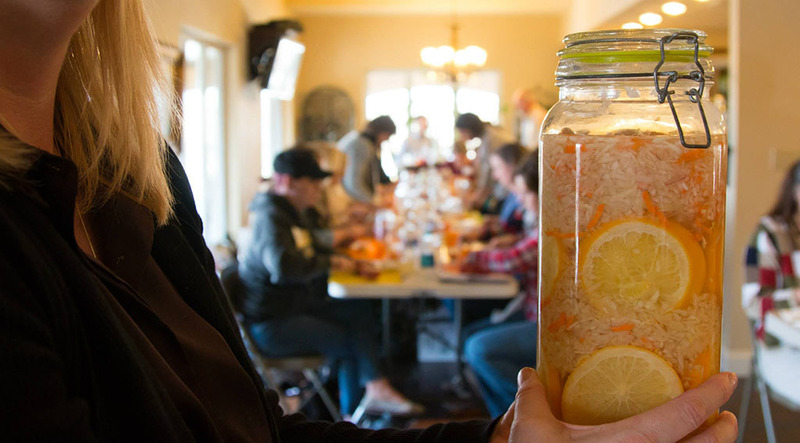 Donna combines an inspiring day of information with lessons on how to make our trio, The Trilogy: kefir, kombucha, cultured vegetables, and extra info on sourdough bread, and water kefir. 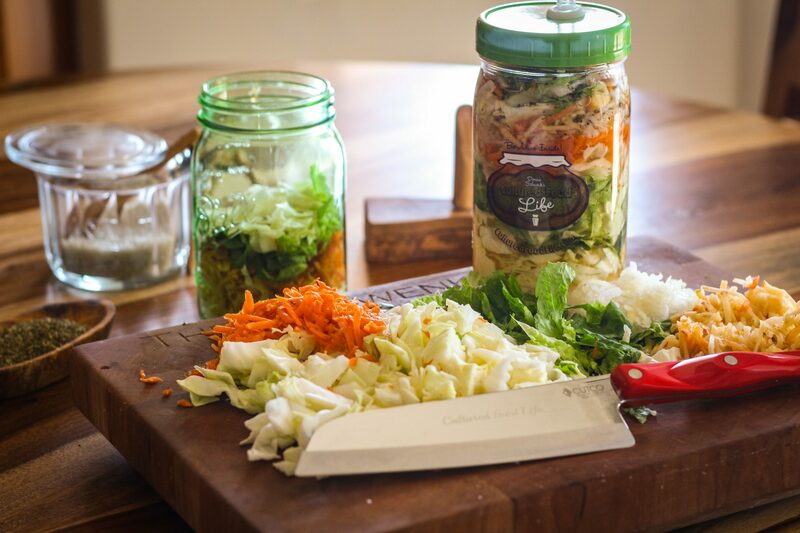 You’ll receive a delicious lunch and you’ll be taking home your own jar of cultured vegetables that will give you a starter for many more vegetables to come. Donna Schwenk has been making and eating cultured foods for sixteen years. 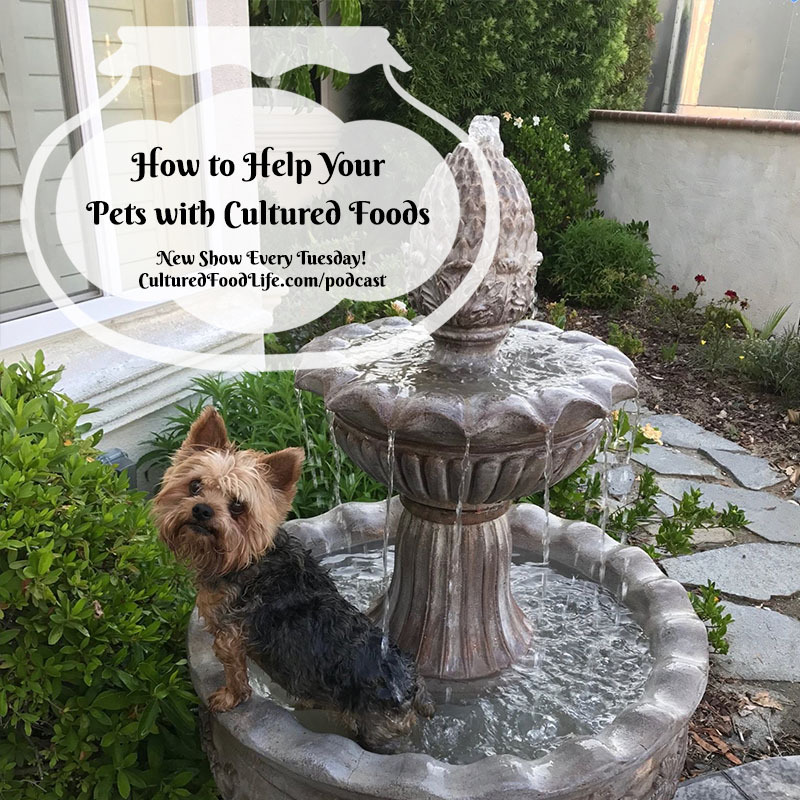 She knows all the ins and outs of cultured foods, all the tips and tricks, and the simplest and fastest methods to give you the most success in making cultured foods. Learn the health benefits and the science on how to keep your body healthy by encouraging your trillions of bacteria to flourish and grow. 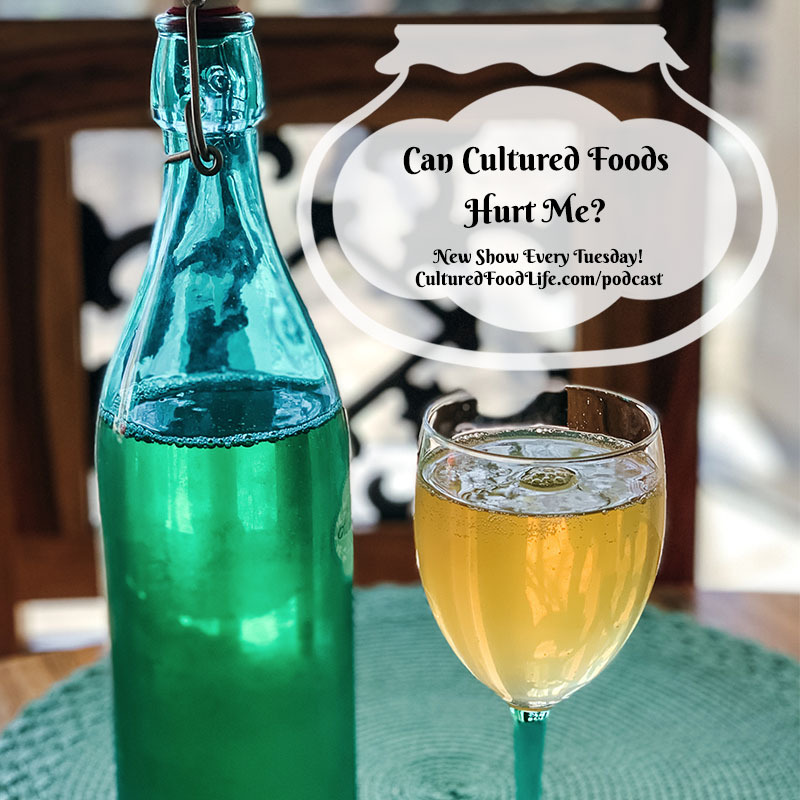 Donna will not only be talking about kefir, kombucha and cultured veggies, but also water kefir and sourdough breads and all things cultured. The New York Open Center offers holistically-based educational programs to create positive transformation in individuals and the world. It was founded in 1984 with the intention of creating a forum for a new generation of seekers. 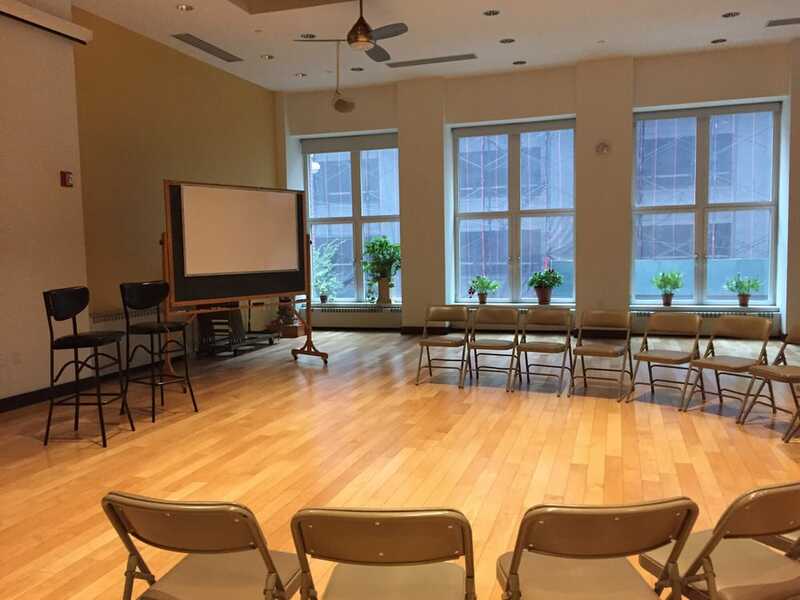 Our founders felt there was an abundance of excellent spiritual teachers and practitioners in the New York City area without a physical space or destination in which to practice. With an event on the evening of January 13, 1984, the New York Open Center was born. The initial focus of the center was on spiritual values but the mission quickly expanded to include how our values and intentions lead us to participate in the wider world. 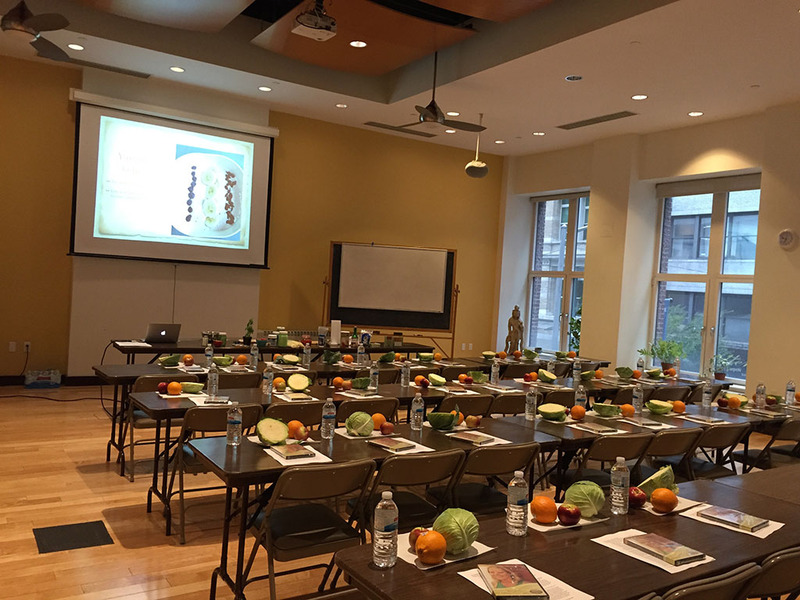 Since then, the New York Open Center has evolved into an urban destination for holistic learning, personal development, professional advancement and enrichment. 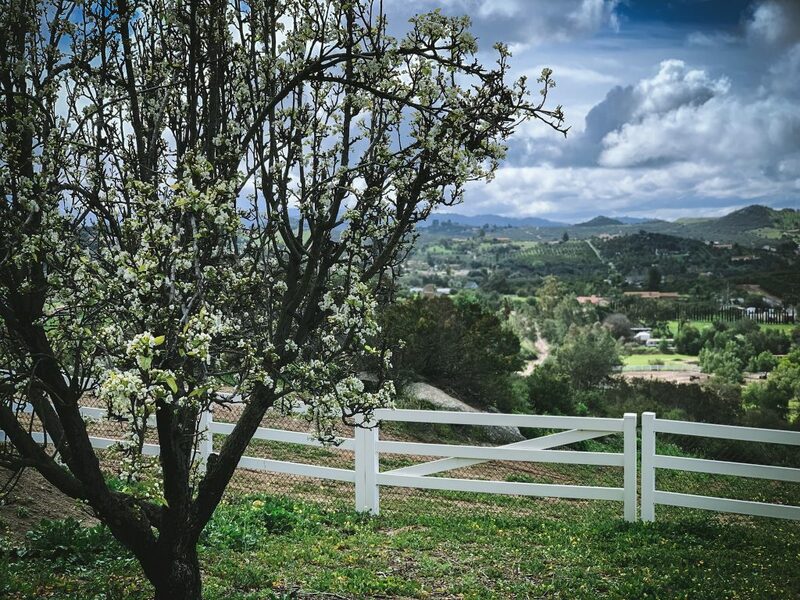 Programs are offered in spiritual inquiry and practice, psychology and self-development, holistic health, bodywork, movement and yoga, arts and creativity. The center also features concerts, performances and other special events. The Open Center is dedicated to making these educational and enriching opportunities available to anyone anywhere through online learning initiatives. Have you heard about The Trilogy? 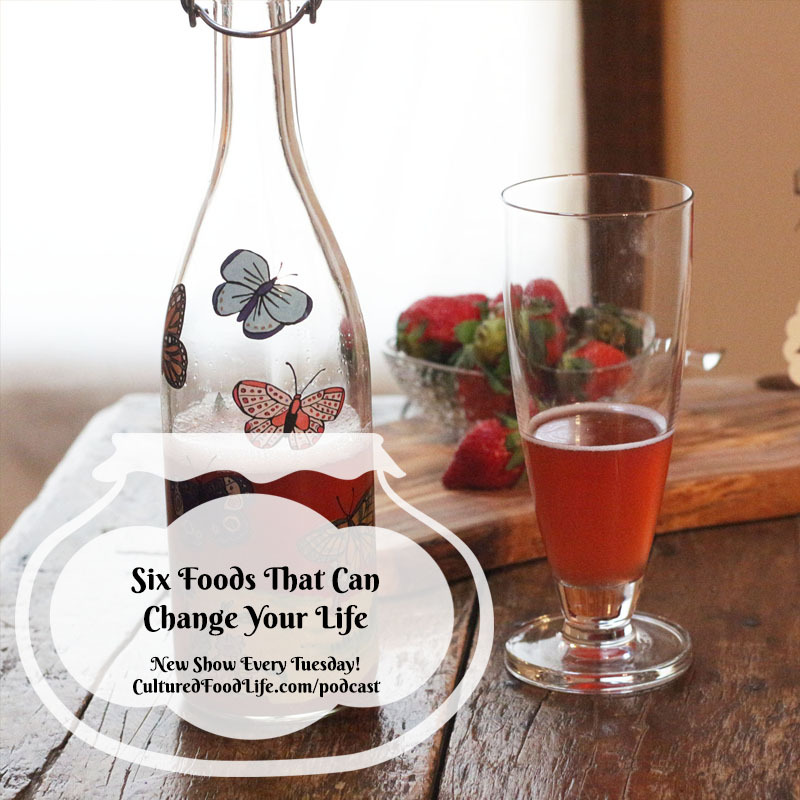 Kefir, kombucha, and cultured veggies are three foods that can change your life and your body from the inside out. 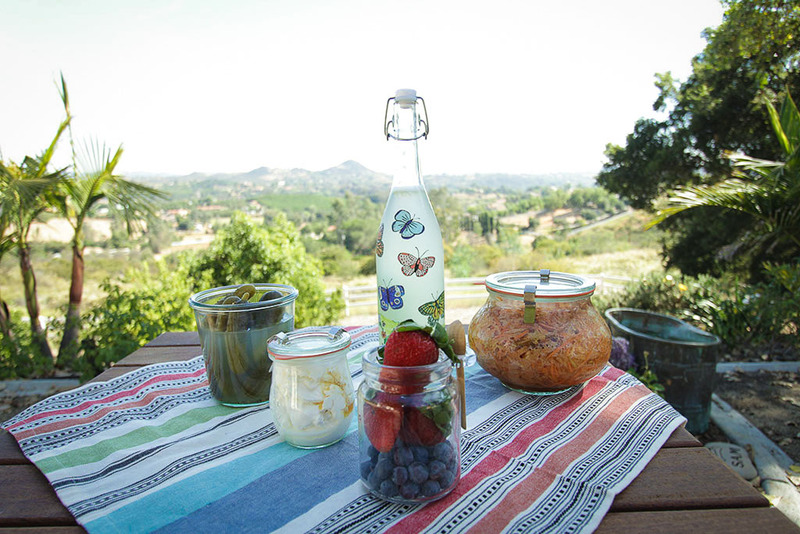 Donna will teach you all about these three powerful superfoods, and just how to make kefir, kombucha, cultured veggies, water kefir, and even tips on how to make sourdough bread. 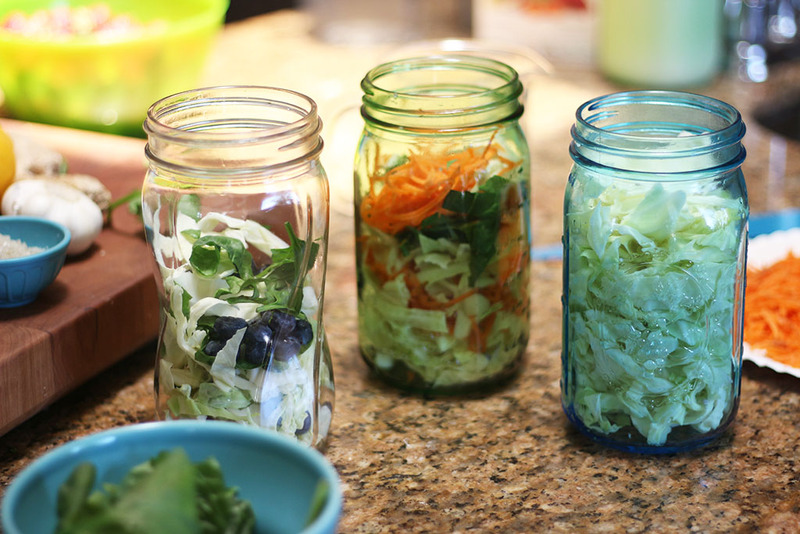 You’ll get to make a jar of cultured vegetables in class to take home, and the brine can be used again to make even more cultured vegetables. Eating The Trilogy changes you from the inside out quite literally. Diverse and with many different strains of probiotics, eating The Trilogy will change your gut and then the rest of your body begins to shine! Handouts, recipes, and giveaways will be given out during class. 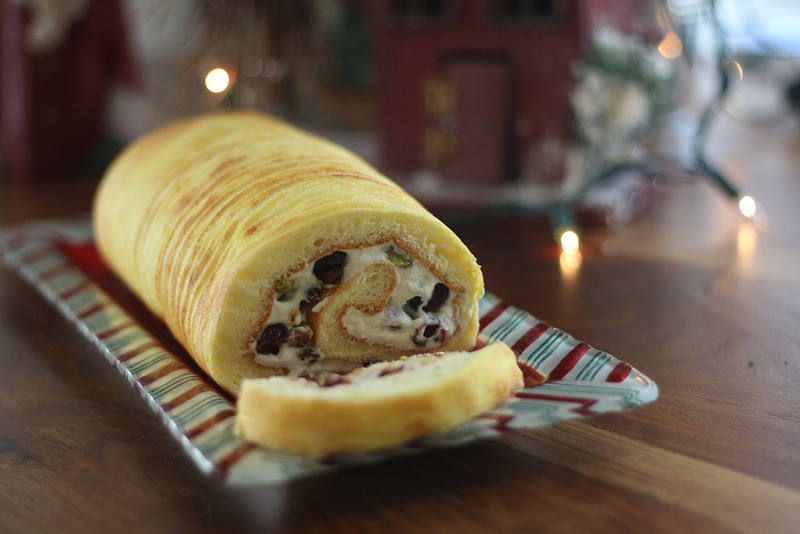 I will be making some special recipes for you to sample, so be prepared to eat! 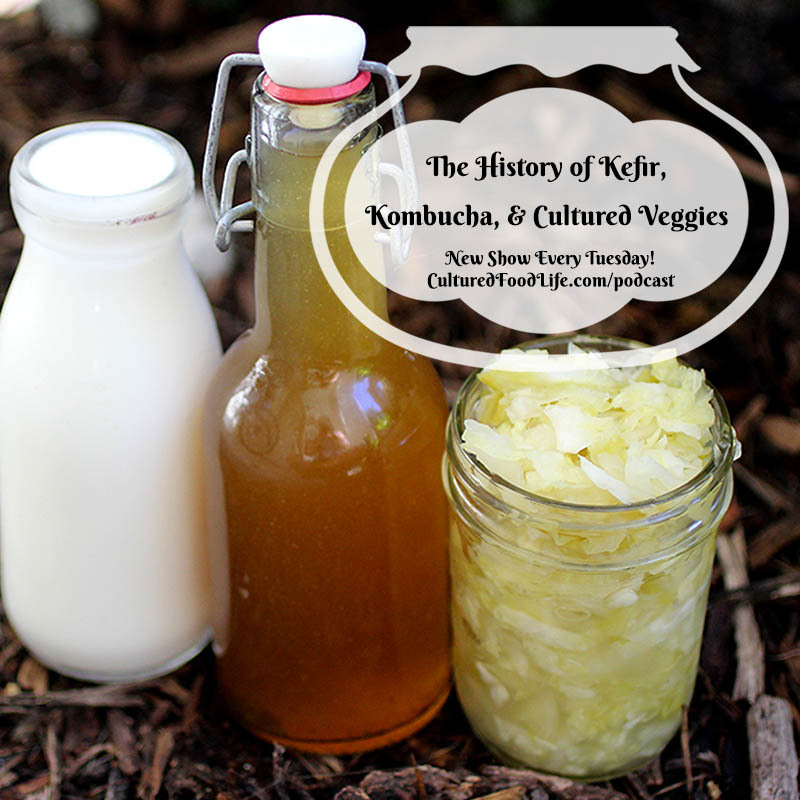 Three methods will be taught on how to make The Trilogy – kefir, kombucha, and cultured veggies. 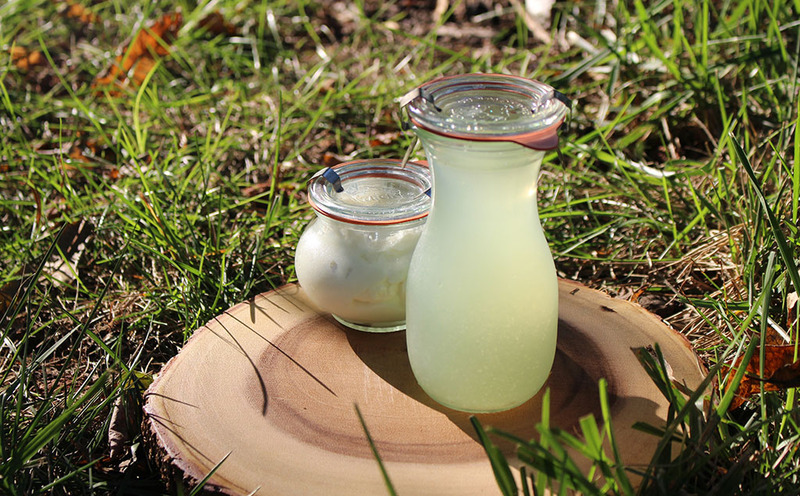 Extra information and instructions on water kefir and sourdough bread. Handouts and recipes will be given to help you make all these foods at home. 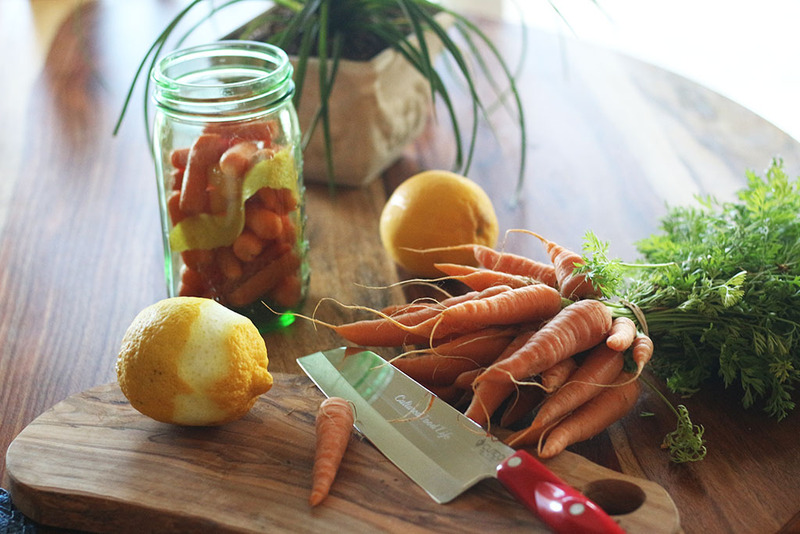 You will make a jar of your own cultured veggies that allows you to use the brine to make more cultured vegetables. There will be prizes and giveaways. 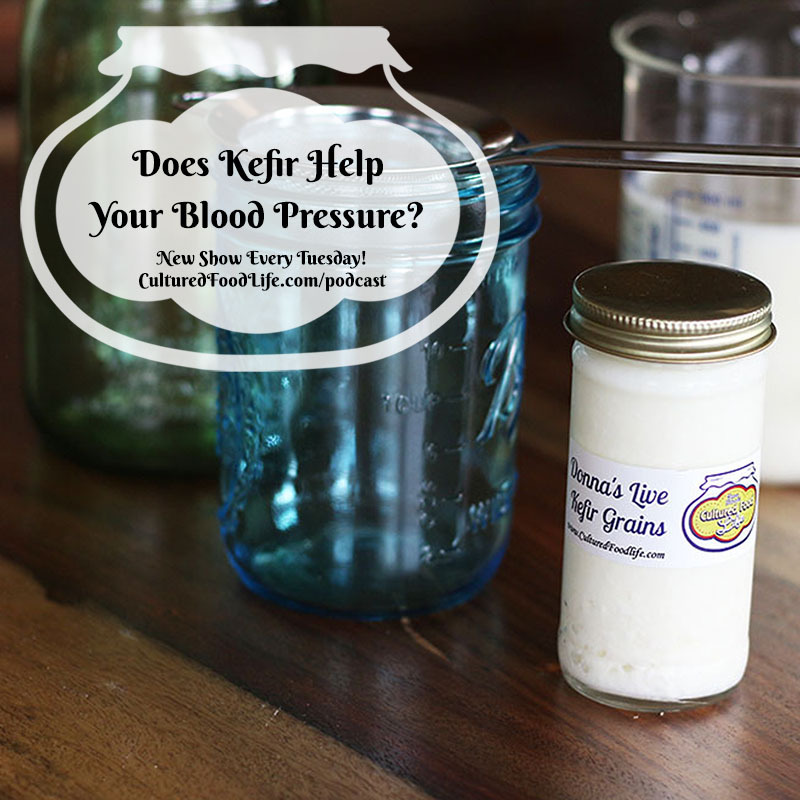 Episode 68: Does Kefir Help Your Blood Pressure? 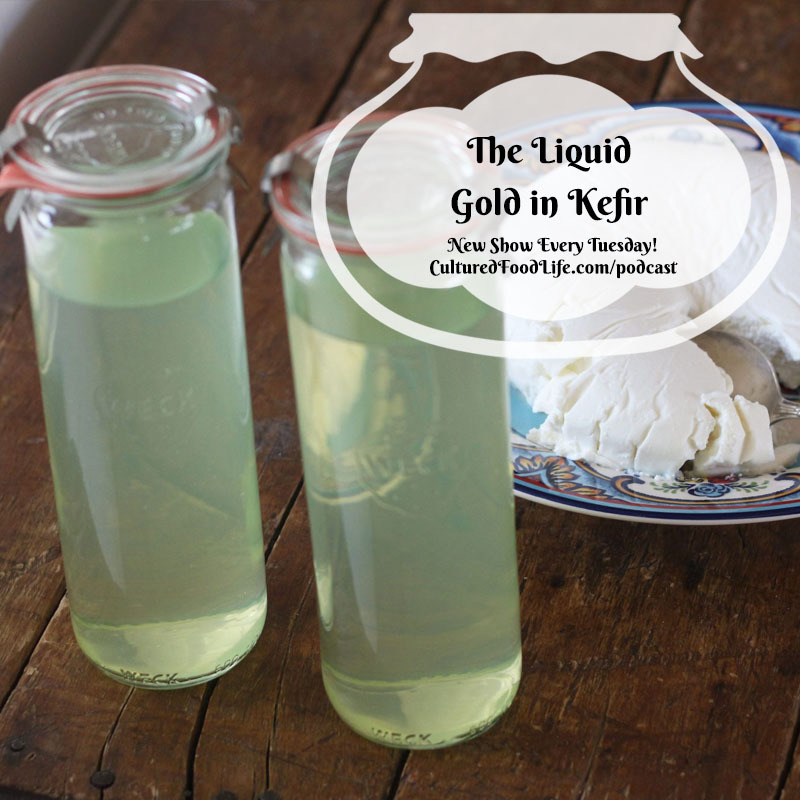 Kefir was the first cultured food I ever tried. The first thing I noticed was how it helped my blood pressure. Research is now finding more evidence of the same. I love kefir and the many things it can do. Listen to learn more! In 2001, I was battling hypertension and diabetes. It was then that I started drinking kefir and I noticed an interesting occurrence. 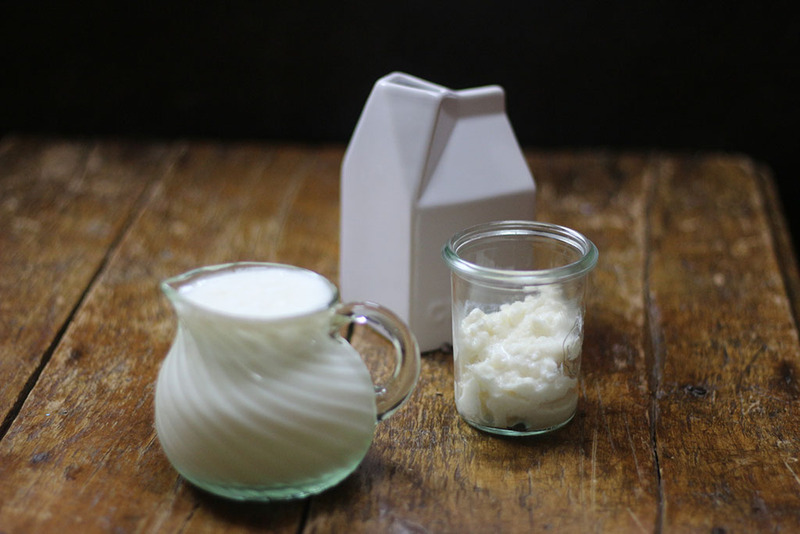 It seemed that when I drank a glass of kefir every day my blood pressure would go down; and not just a little, but quite a bit. It would put me in the normal range. 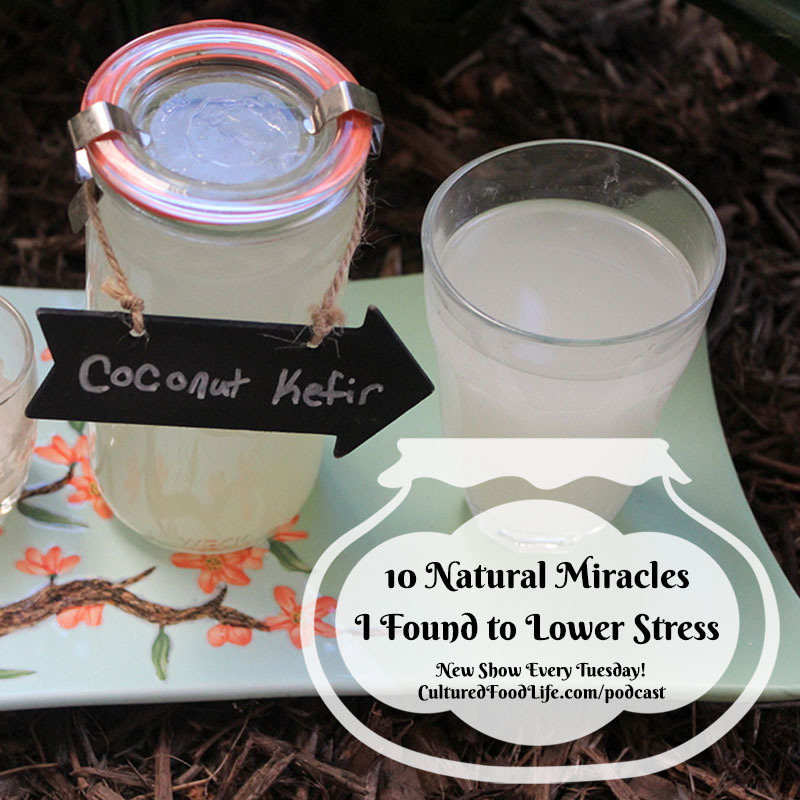 When I would stop drinking kefir, my blood pressure would start to creep up after three days. So I started doing experiments on myself to see if it was the kefir. After many, many trial runs I was convinced it was the kefir. I have never been one to just accept without knowing the reasoning behind anything, so I began searching for answers. . .
Of all the health ailments cultured foods can help with, the one I hear the most about is either food poisoning or stomach virus. I’ve seen it work personally on my family many times. So many people have emailed me and shared the same thing. Nothing works faster or better, check out the podcast! 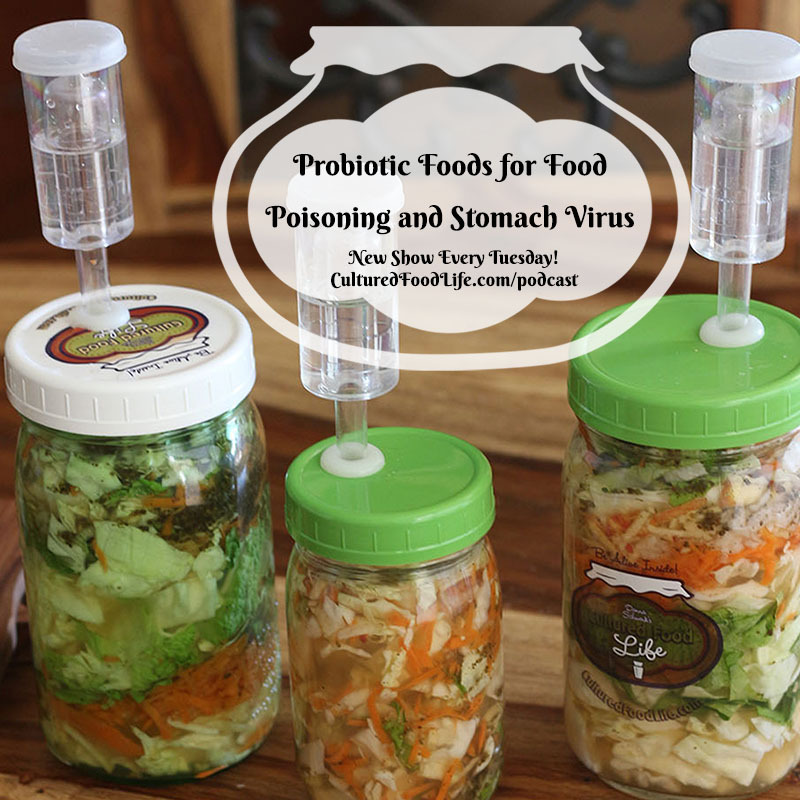 Of all the health ailments cultured foods can help with, the one I hear the most about is either food poisoning or stomach virus (Gastroenteritis). I’ve seen it work personally on my family many times. When I started sharing this remedy with my friends, I was overwhelmed with how much it was helping them. It was one of the reasons I finally decided to write a book and start a blog sixteen years ago. 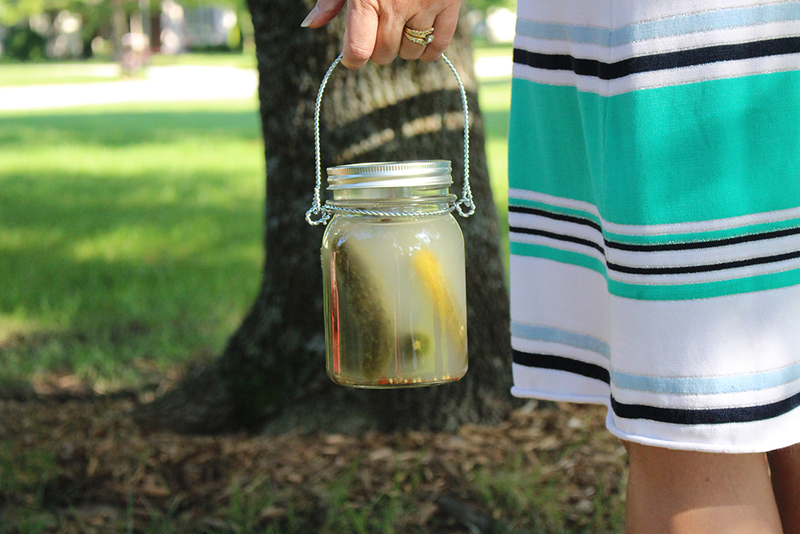 People needed to know there was help for them, and it was a simple remedy that they could make in a jar and keep in their refrigerator for many months. I have found nothing more effective then cultured veggies and their juice to stop food poisoning or a stomach virus dead in its tracks. It was the very thing that finally convinced me once and for all that cultured vegetables were powerful medicine. After that, I kept them in my fridge at all times. 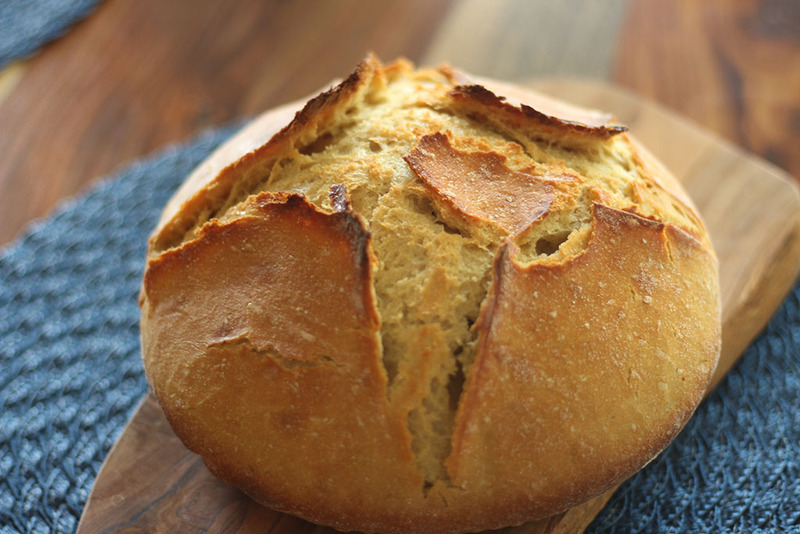 . .
Can Sourdough Change the Gluten-Free Diet? Can Your Gut Heal Your Joints? Cultured foods are incredible foods. They can be life changing and I’m pretty intense about it. They transformed my life and I have watched them change thousands of other people too. I am the messenger here and these foods work and speak for themselves. The results can be amazing! Best of Cultured Food Life 2018: Our Top Articles! 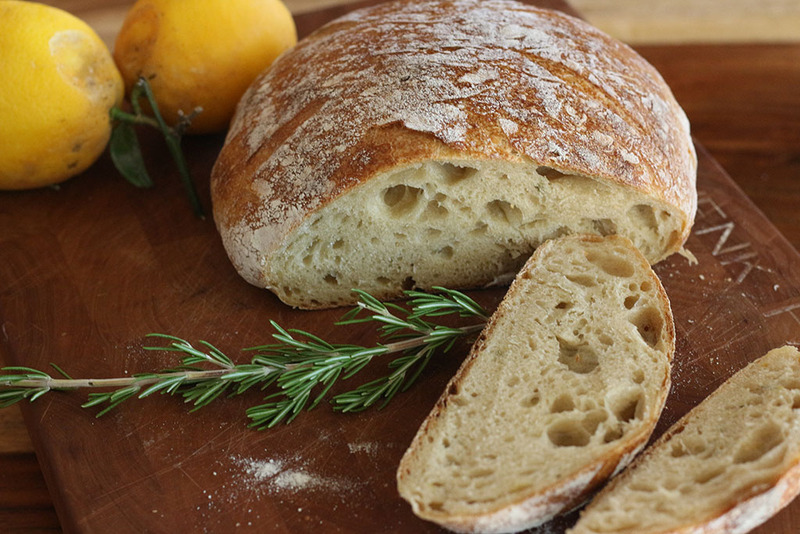 Can Sourdough Change the Gluten-Free Diet? 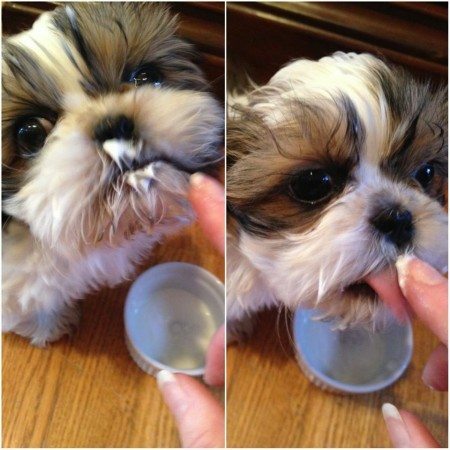 I love, love coconut. 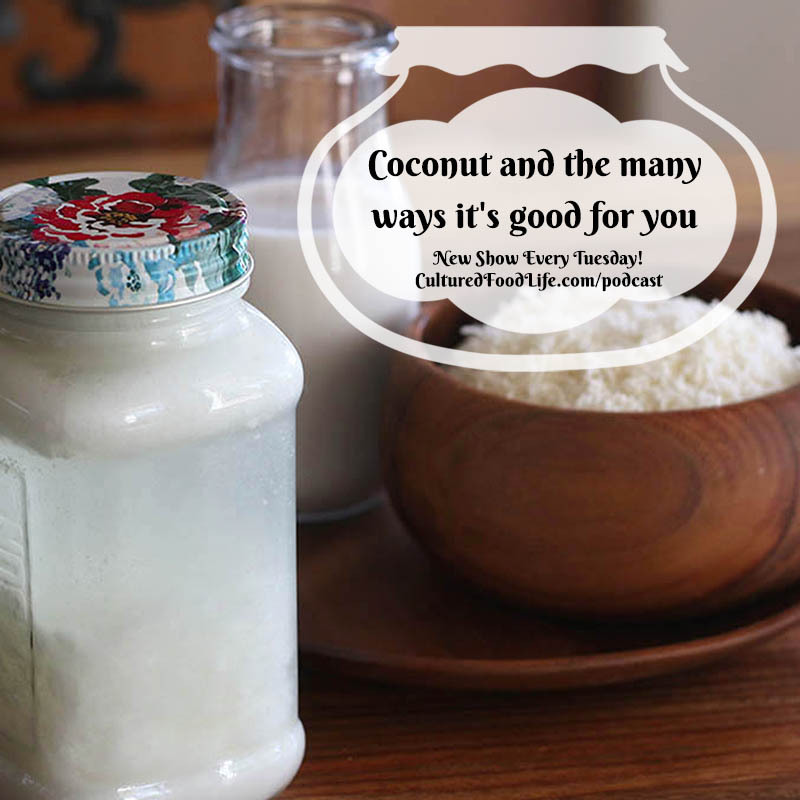 I fermented coconut milk, and coconut water, and use the oil in many different ways. Learn more about this incredible food and just how to use it! 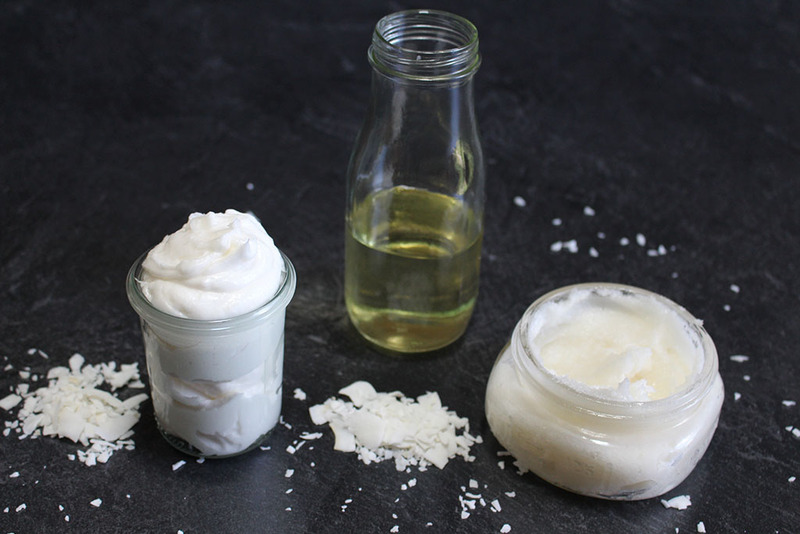 Once a Villain, Coconut Oil Charms the Health Food World With Its Incredible Properties. First of all, coconut oil is a medium-chain fatty acid. This is a saturated fat that’s found in coconut and in mother’s milk. Because of the medium bonds in this fat, it burns in a completely different way than other fats. Coconut oil is burned in the liver instead of going through the long process of using bile and breaking down into a usable fat. This becomes a fast food source as it can raise metabolism and help thyroid function. I witnessed this many times with my daughter Maci when she would consume coconut oil while she was struggling with IBS. She would suddenly get a burst of energy and I would hear her dancing and exercising in her room when moments before she had been laying around. Coconut oil is burned like a carbohydrate, it will burn first and not last like most fats. . .
7 Reasons I Drink Coconut Water Kefir Best of Cultured Food Life 2018: Our Top Articles! 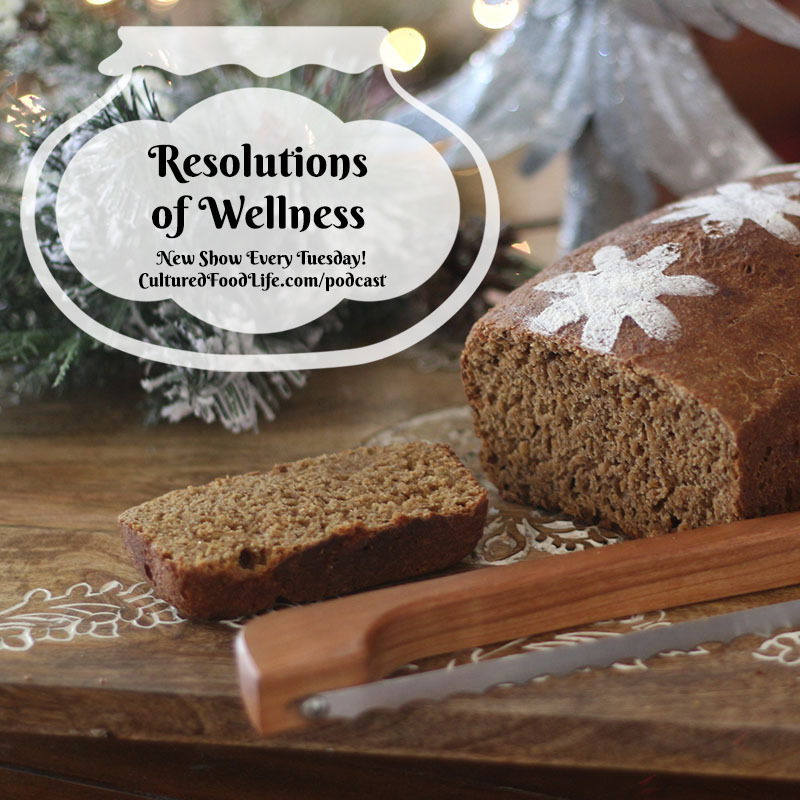 Health is a gift you give to yourself, and the most important New Year's resolution. A habit is something you don't know you're doing but once you become aware, it becomes a choice. Listen to stories of wellness and hope on today's podcast. Happy New Year my friends! All of us find ourselves in situations where we’re under tremendous stress which can cause anxiety. Here are the ten things that have helped me calm my mind and body in miraculous ways. It may not be what you think! Stress is an alarm clock. It’s your body trying to communicate with you, sending you alert notices; but so few of us listen and I am no different from you. This is a very personal subject for me. Stress made its presence known to me in 2016, but I didn’t listen. I just ignored the signs. I was working like crazy for years and adding more and more pressure to myself. So many things were going on in my life, and I thought that as long as I had my cultured foods I could just keep adding more and more things to my life and I’d be fine. I started doing different things and found things that helped me so much, and I thought I would share them with you. When we're desperate, sometimes we need tools to help ourselves, methods that are the bridge, and this is what I found worked so effectively for me. 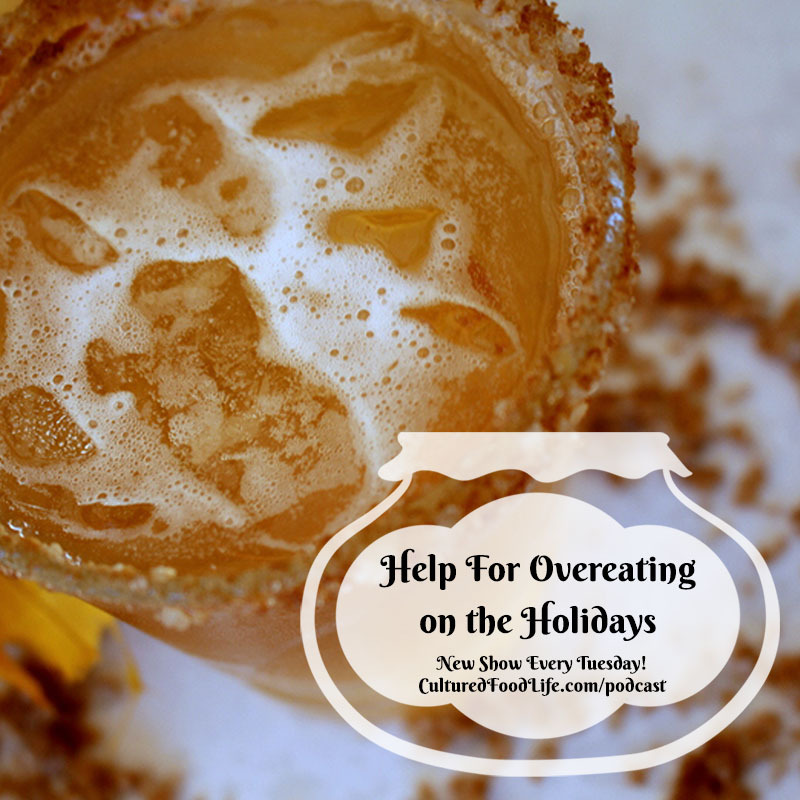 Do you overeat on Thanksgiving and Christmas? Overeating is as stressful to the liver as drinking too much alcohol. But there are ways to help your liver and your body, and also get more nutrients from your food. I'll share what I do and the foods we eat and drink. Let this be the year that Thanksgiving makes you healthy! 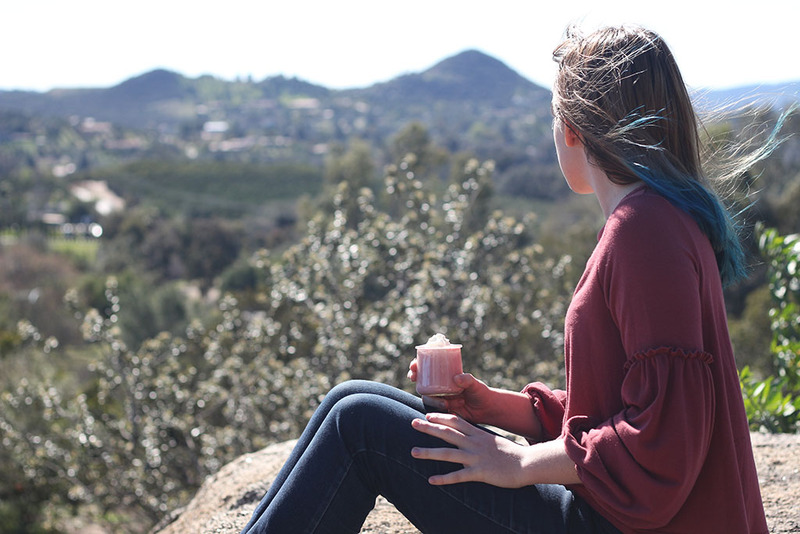 One of the most important things I’ve learned about health and wellness is that overeating can be just as stressful on your hardworking liver as drinking too much, but most people don’t know this. It's so important to heal and nourish your gut. Hippocrates stated, "All diseases begin in the gut". I found seven ways to accomplish the task and it changed everything for me. 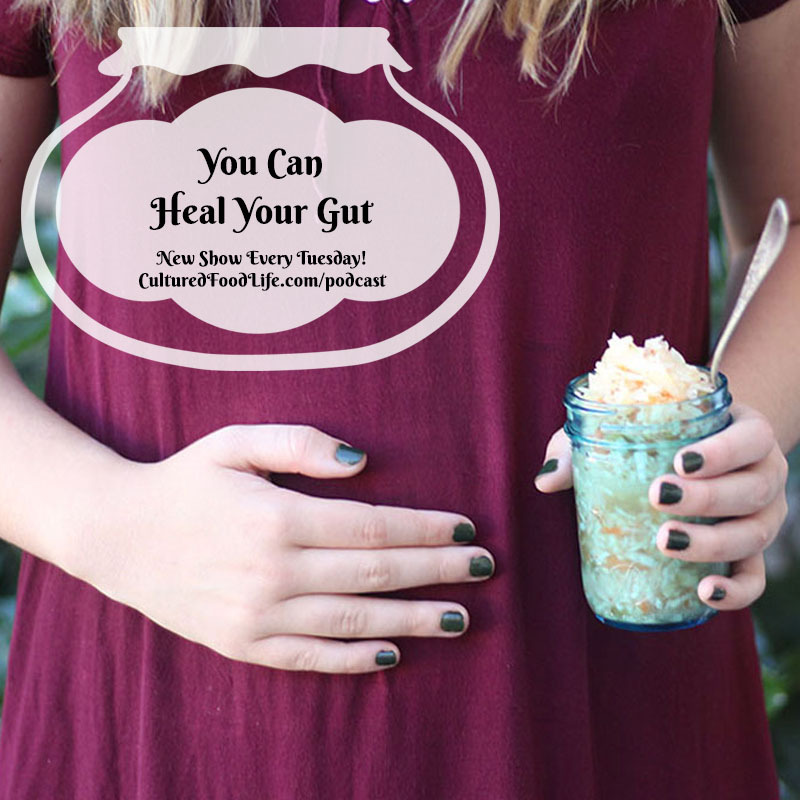 Let me show you easy ways to heal your gut. Love your body and let it shine for you! 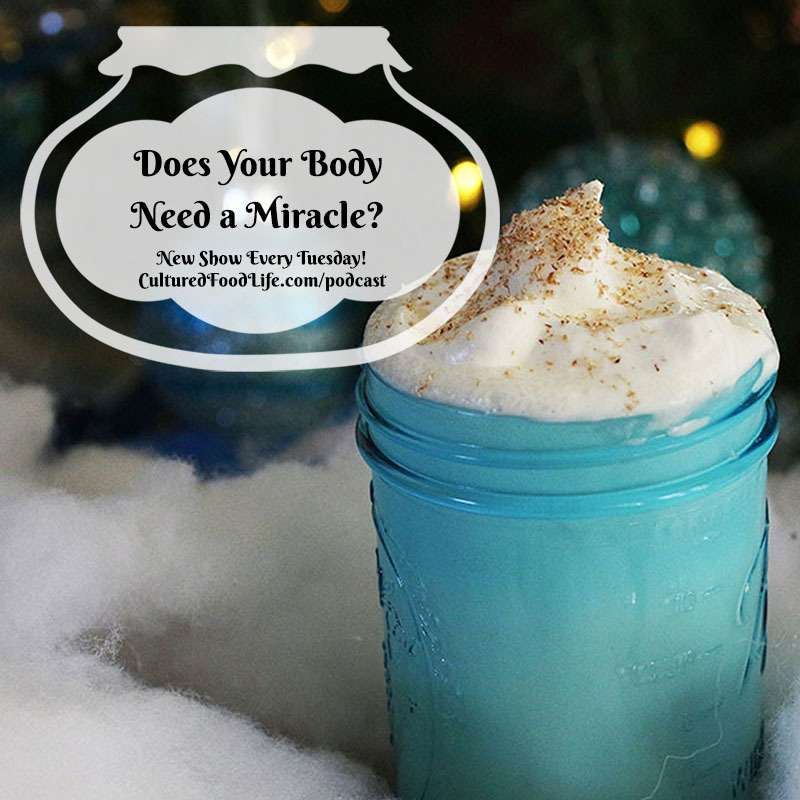 Discover why eating soup is so important for healing your gut, improving joint pain, overcoming food allergies, and boosting your immune system. 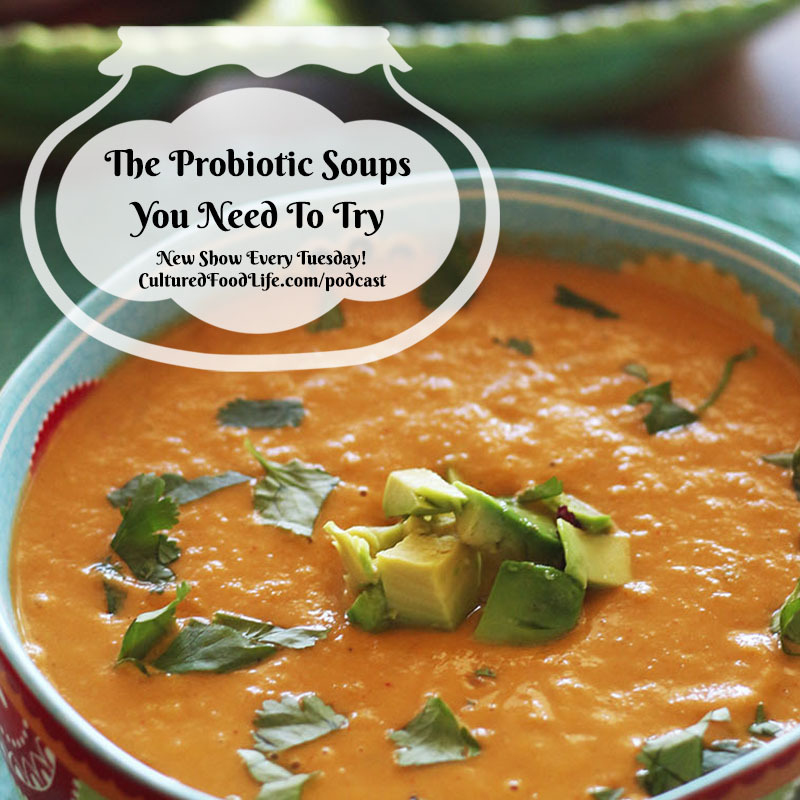 Find out how you can make soups probiotic too. 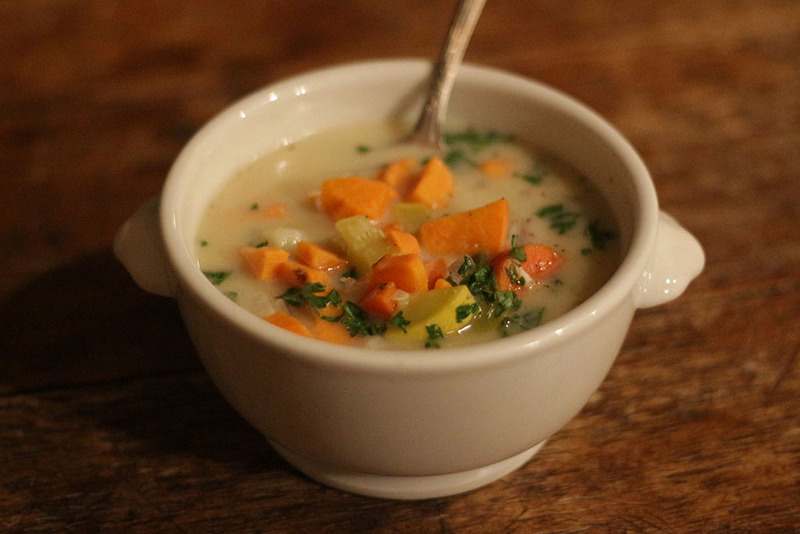 Soup can not only comfort your mind and your gut, but soup also has secret healing modalities that perhaps you’re not aware of. . .
It’s January and it’s cold here in the Midwest. All I want is hot tea and soup. . .
Why do we make choices that we know aren’t good for us? Perplexing isn’t it? You have a second brain in your gut that contributes to the choices you make. Learn how one new habit changed everything for me. Learn how you can change too. We all make choices and have habits. You just know somewhere deep inside that if you could just master a few areas in your life then you could live up to the potential you have inside of you. 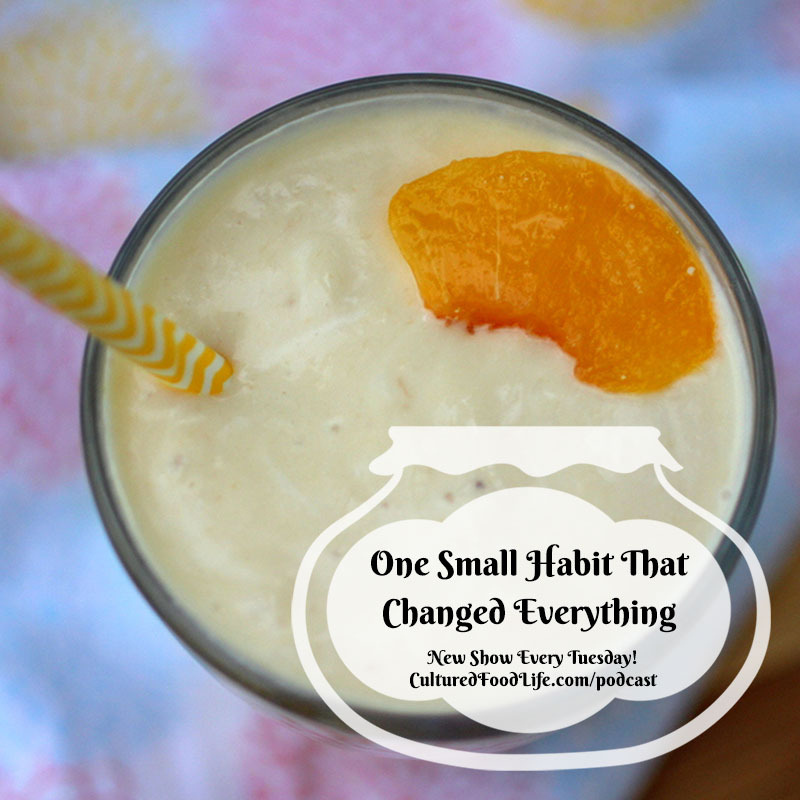 One little habit changed everything for me. It was a choice that became a habit. Little things can make a big difference. Check it out! Is that crazy or what? But it's true. Some of these microbes want fat and others want sugar, and they fight for nutrients. They do this so they can stay alive and dominate the gut by sheer numbers alone. They influence our decisions by releasing signaling molecules into our gut. Since the gut is the second brain and linked to our immune system, the endocrine system, and the nervous system those signals influence our physiological and behavioral responses. . .
We all have trials and struggles throughout our lives and often these struggles have brought me to my knees. But without fail, each and every one of them has been a blessing in disguise. The pain turned to wisdom and I found myself so grateful for the struggle that brought me so much pain. . . The Flu Shot in a Jar Does Your Gut Help Control Food Cravings? Use Your Body and Brain to Feel Younger and Stronger. 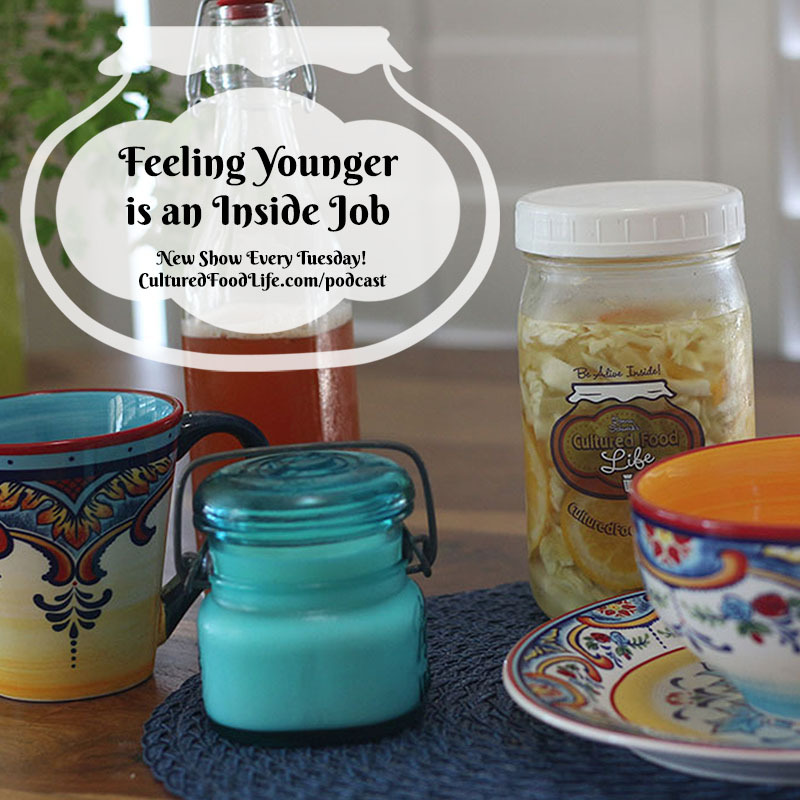 Cultured foods are my secret weapon to staying young. Let me show you how easy it is to retrain your body, using your second brain – that resides in your gut! 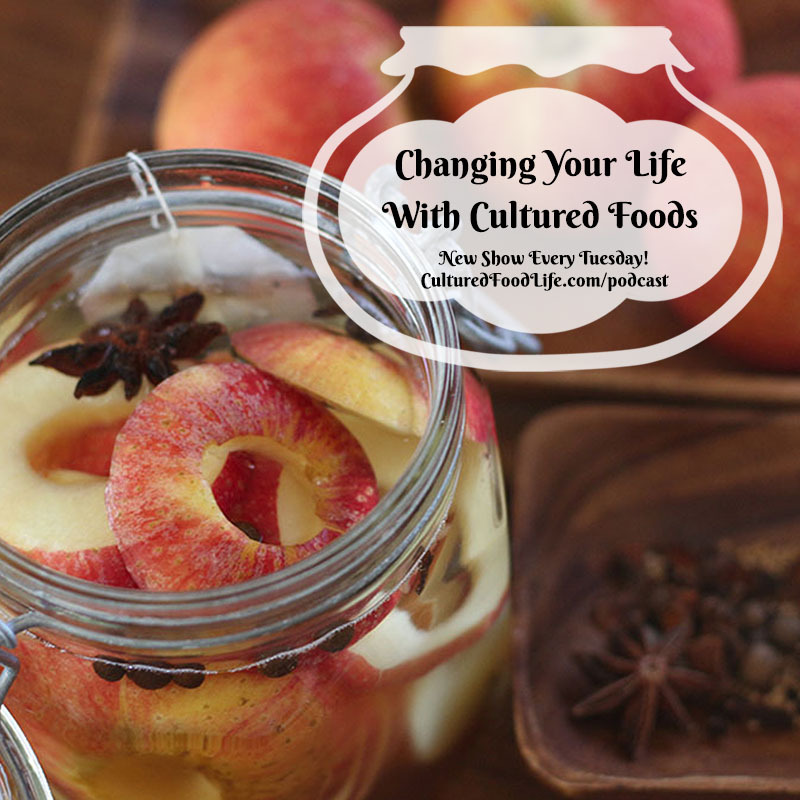 I was 41 when I first found cultured foods. I felt old, discouraged, and sick. I remember resting on the couch and watching documentaries about people who had changed their lives and done extraordinary things. At first, I got sad because I wanted to feel better, but I also wanted to do something meaningful with this life that I had been given. However, I didn’t know where to turn. . .
Sleep Problems and Your Gut Are Probiotic Foods Stronger Than Supplements? More and more medical research is showing great benefits to using probiotics for kidney health. 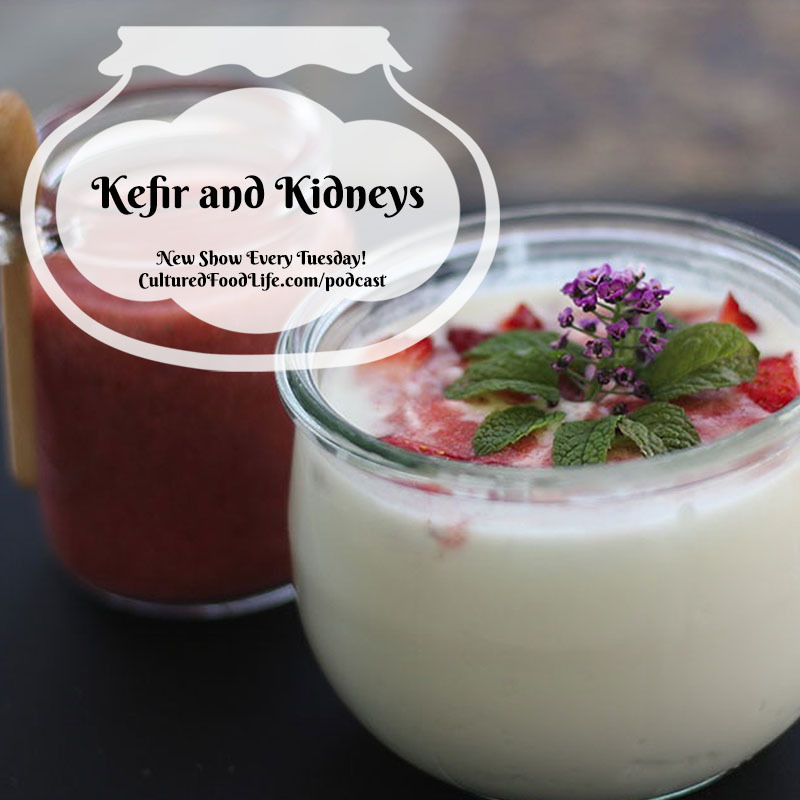 Here the research and stories of spectacular results with kidney problems when kefir is added to the diet. I’ve received several emails from people who have been greatly helped by cultured foods in regards to kidney health. More and more medical research is showing great benefits to using probiotics for kidney health. New probiotic supplements have been developed to specifically treat the kidneys, and there have been remarkable results. . . 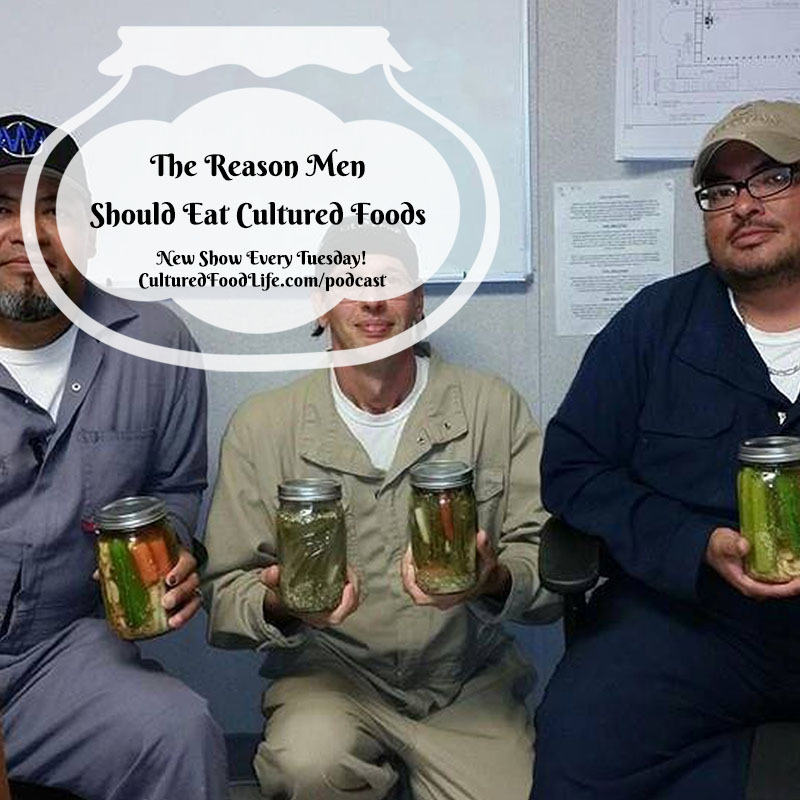 I have seen some pretty spectacular results when men take to eating and making cultured foods. I'll explain how it can also do things for men that it can't do for women. Listen in to find out all the details! My husband was the last one in my family to try cultured foods. I experimented on my children first. My kids were sick and I wanted them to be well, so we all ate cultured food; and much to my surprise, everybody got better. 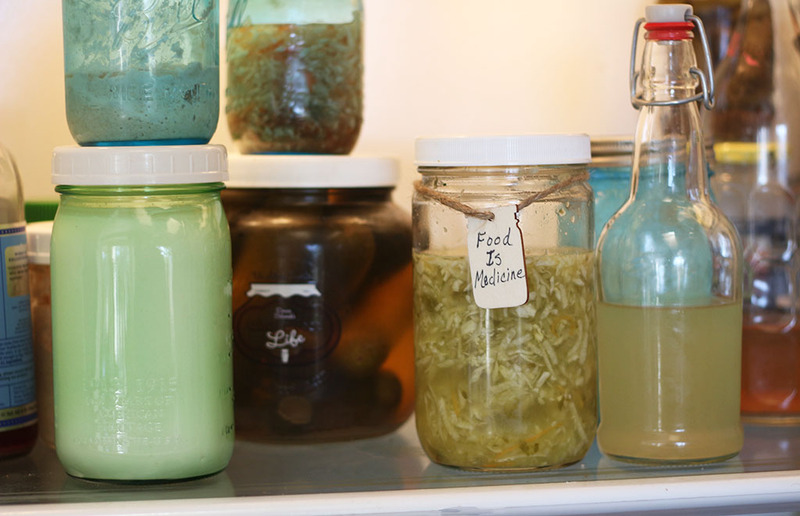 Then as the cultured foods began to take over my kitchen counters, my husband started calling them science projects and wondered why all our food was getting fermented. He thought this was just one of my new hobbies and waited for it to die out. 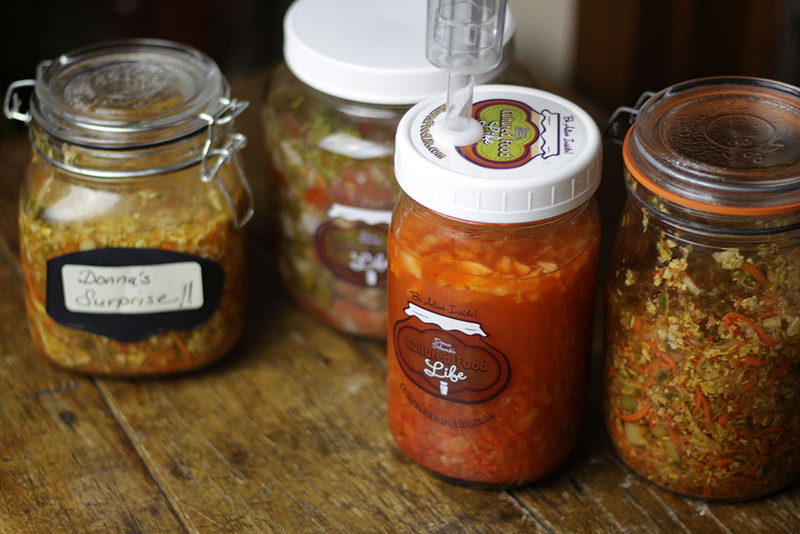 . .
Koreans have eaten kimchi for thousands of years and believe in its protective powers. Find out how kimchi kept them disease free during the bird flu epidemic in this exciting episode! 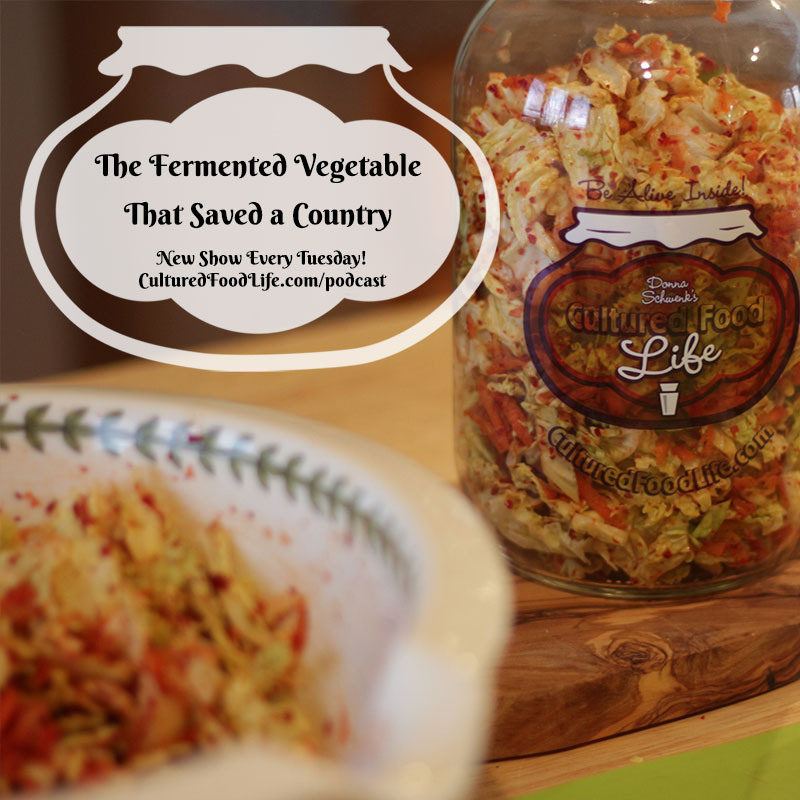 First time I heard about the power of the cultured vegetable kimchi was during the bird flu epidemic. It was a scary epidemic that hit Asia in 2005 – about 60% of those infected with this virus died. Scientists were searching frantically for ways to protect humans and poultry from this deadly virus. Koreans have eaten kimchi for thousands of years and believed in the powerful medicinal effects of kimchi. Microbiologist Kang Sa Ouk thought he had found a way to battle against the bird flu virus with kimchi. 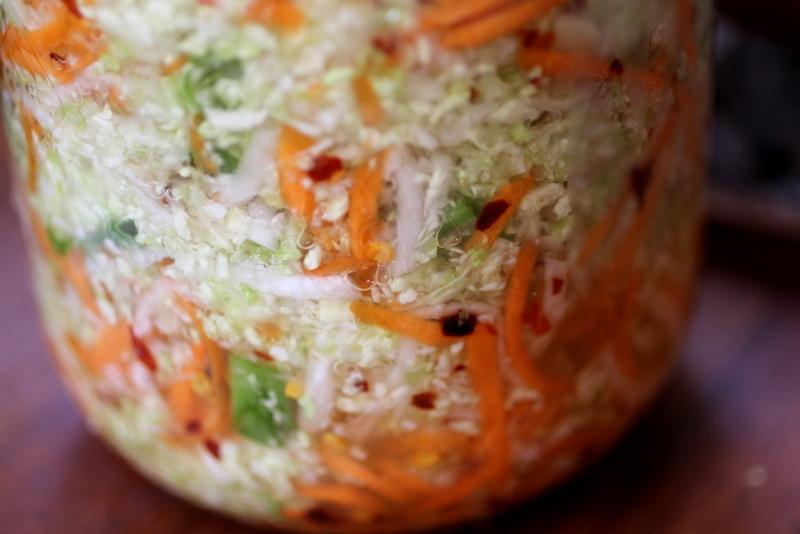 Dr. Kang used the special bacteria extracted from kimchi to treat chickens with. 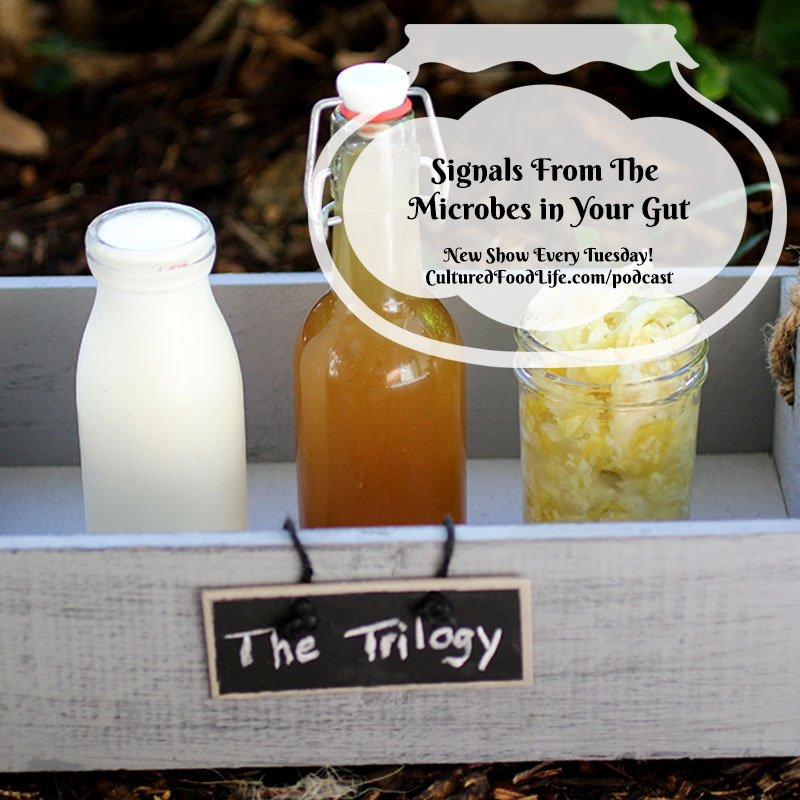 . .
More often than not, if you have a yeast problem, your gut bacteria are out of balance. You have to have lots of good bacteria to keep candida in its rightful place. 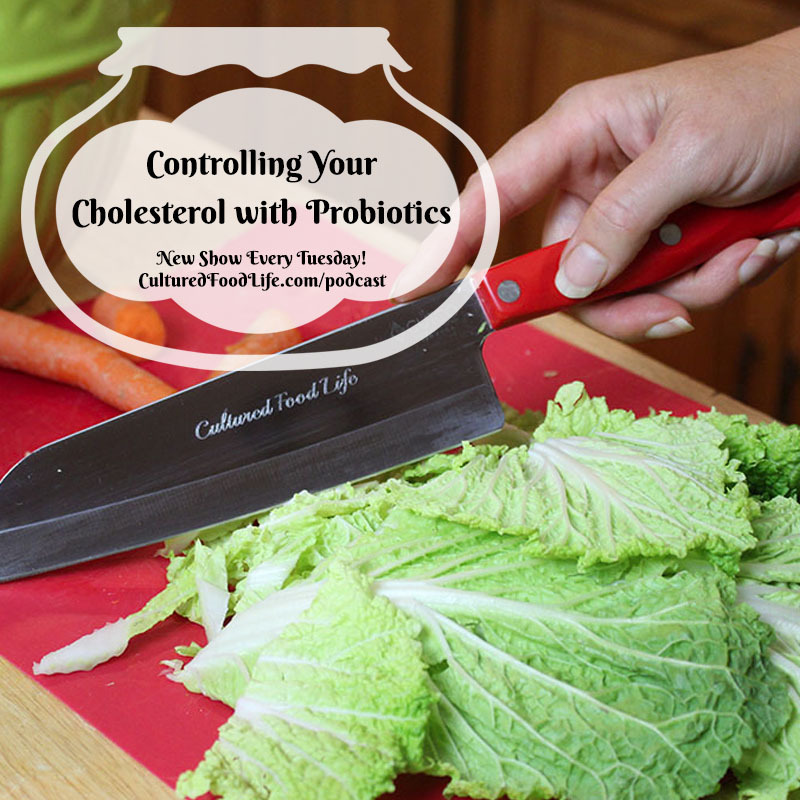 Join me to find helpful ways to keep it in balance with probiotic foods and gain wisdom into how your body really works. 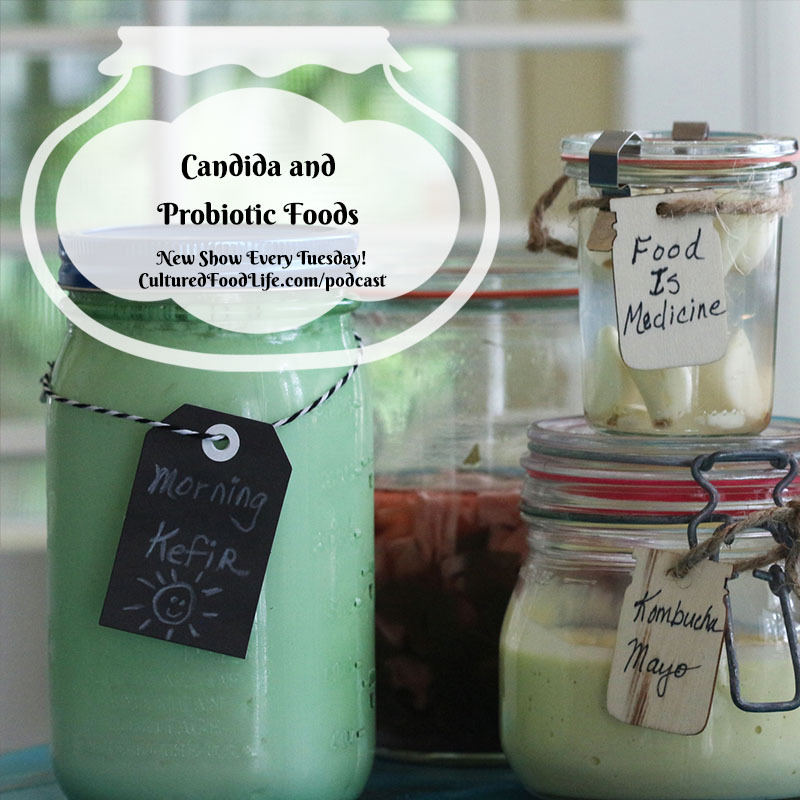 I get hundreds of emails about the subject of Candida, and a lot of them are asking me why so many health care practitioners don’t recommend the consumption of fermented foods if you have Candida. 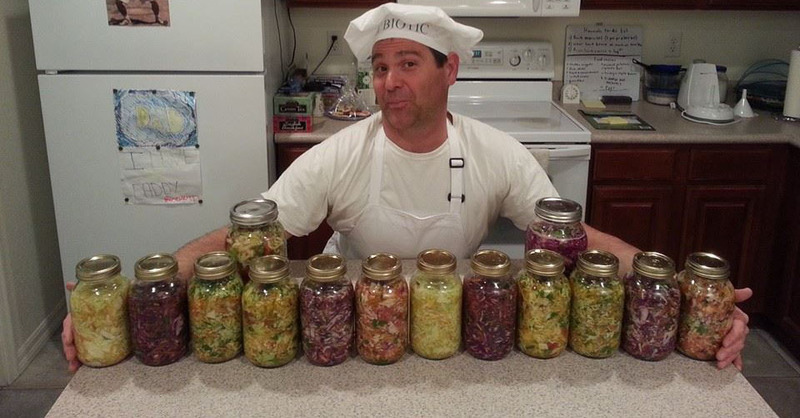 Most physicians and well-meaning practitioners only know of fermented foods made with vinegar rather than the cultured or fermented foods that I teach people to make. . . I love kombucha and not just because it tastes fantastic but because it has a special probiotic called Saccharomyces boulardii (S. boulardii). It is an incredible probiotic and when you make kombucha you can get lots of this powerful probiotic yeast. S. boulardii is one of the most researched probiotics and has been used worldwide to support gastrointestinal health. . .
Do you get whispers or nudges from your body telling you to get healthier? You most certainly do, but you might not be recognizing them. If you don’t pay attention, these subtle signs might not stand out to you. Find out how your body whispers to you to help you stay healthy and happy. Do you get whispers? I’m most certain you do, but you might not be recognizing them. If you don’t pay attention, they don’t stand out to you. Check out the article. . . 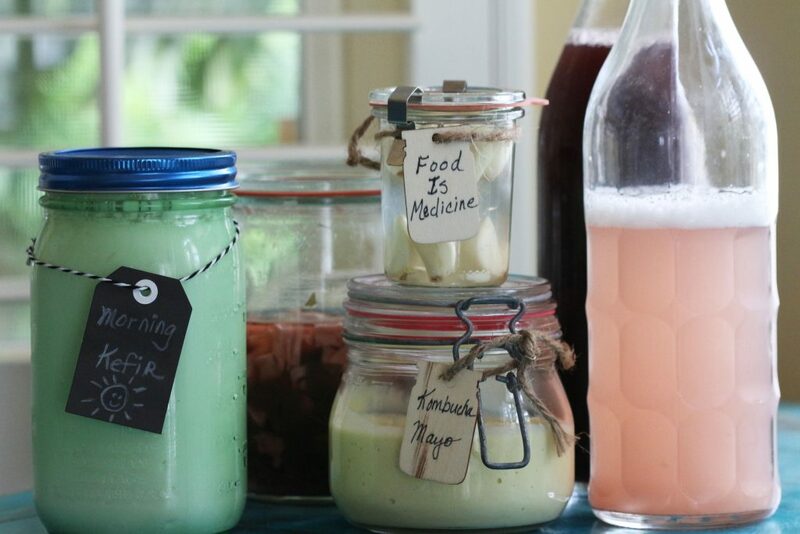 The Many Reasons You Should Eat Fermented Salads and Dressings Is Kombucha Good For You? 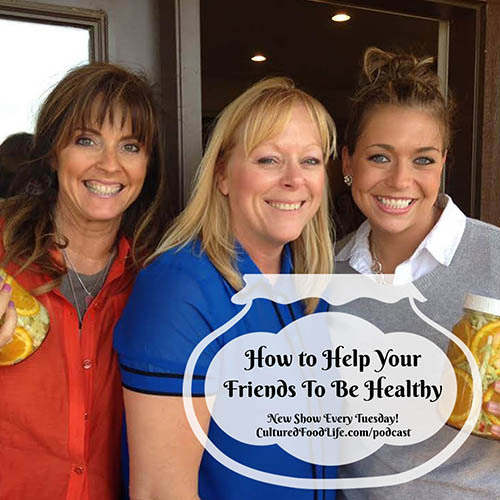 Do you want to help your friends be healthy? You can change your friends' and family’s health by healing your own. Learn why you shouldn’t try to convince them with words. It was the summer of 2003. A friend came into my kitchen and asked what was on my counters. I excitedly told her about my beloved cultures and I watched her face change expressions. “These jars have been brewing for days on your counters?” she said. I got that sick feeling in my stomach that she was going to say something I didn’t like and I wanted to run from the room. But instead, I stood there and took it. She disapproved and tried to be nice, but basically, she was telling me I was looney to have food spoiling on my counter. 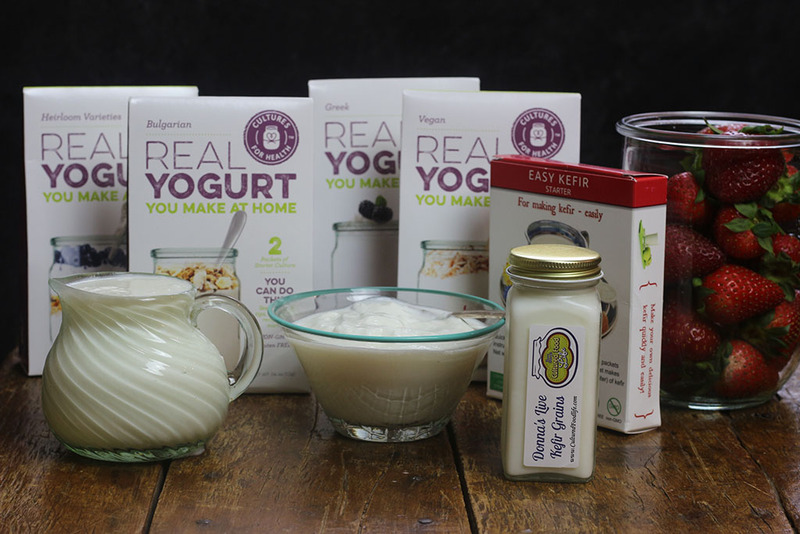 . .
Find out why having kefir and yogurt has helped people around the globe live longer, and healthier. 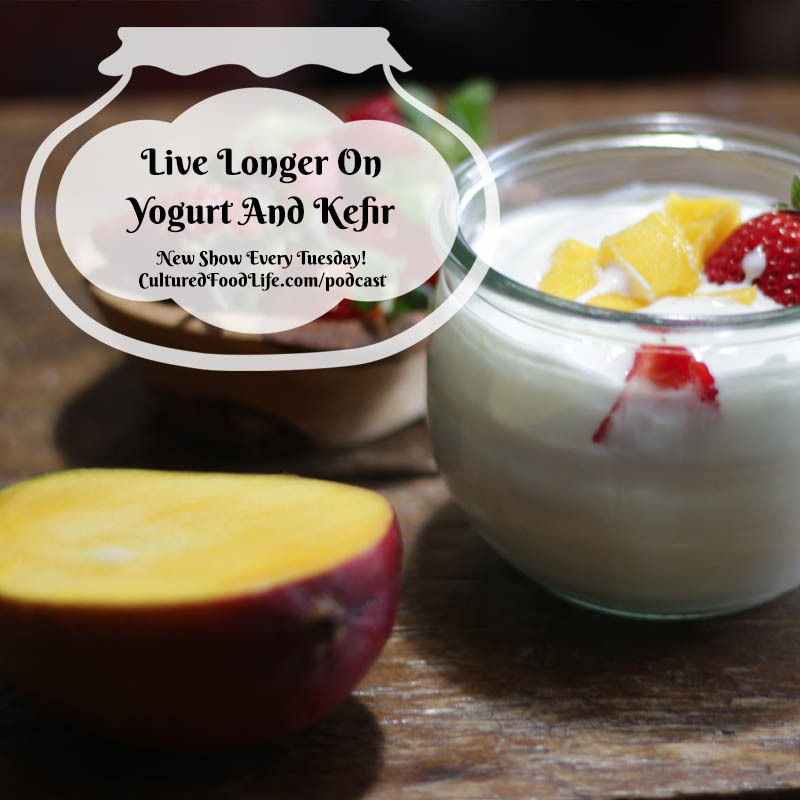 Learn about yogurts made famous in different parts of the world, and the centenarians who lived long lives consuming kefir. 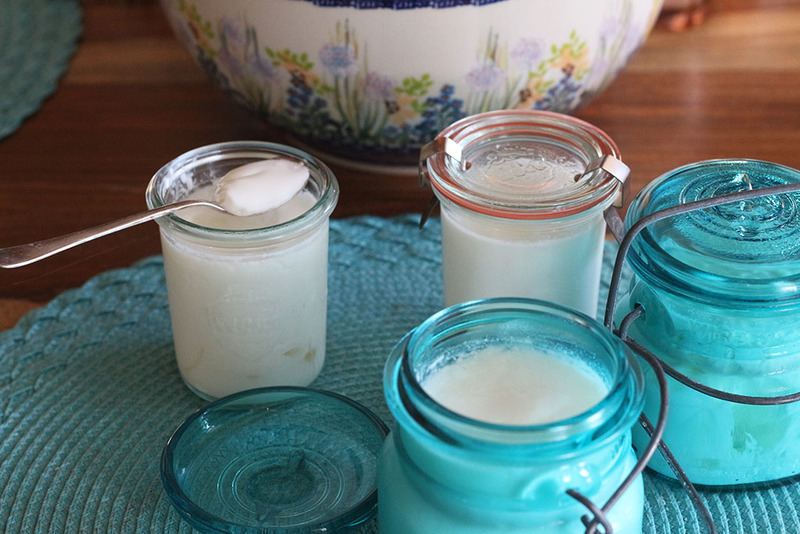 So, what is the difference between kefir and yogurt? Which is better? 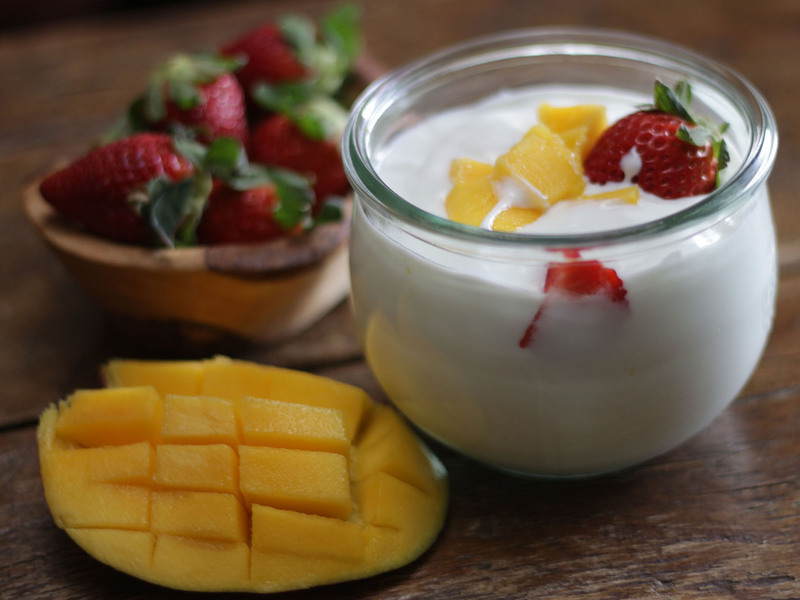 Kefir is far superior, but yogurt has its benefits too. I read once that yogurt is like wine and kefir is more like champagne. It has more pizazz! 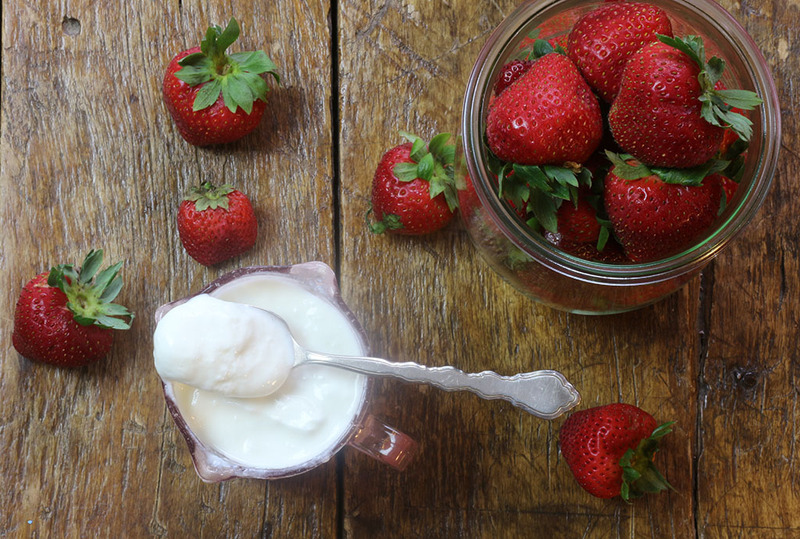 To state it simply, yogurt felt like the first learning step in my cultured food life. I loved frozen yogurt as a child and my dad took me to the health food store many times to get a scoop of it. It was here that I discovered how cool health food stores were with their unique and healthy foods. . . Episode 43: My Favorite Vitamin and Why You Should Take It Every Day Which is Better – Water Kefir or Milk Kefir? It was early 2002 and my sixteen-year-old daughter climbed out of bed and stumbled into the kitchen. "How do you feel this morning?" I asked. Her response broke me. "I never feel good any more mom. I feel bad all the time. My stomach hurts after everything I eat." What had happened to my daughter that caused her to become allergic to the foods she would eat? What was causing all the pain in her gut? Doctors couldn't help me except to suggest the removal of her gallbladder, hoping this would help. I was in pain because she was in pain, and I was on a mission to help her. . . This one vitamin can change the way you feel in 30 minutes. It might be the most important nutrient ever discovered. Tune in to find out what it is and why you should have it too. 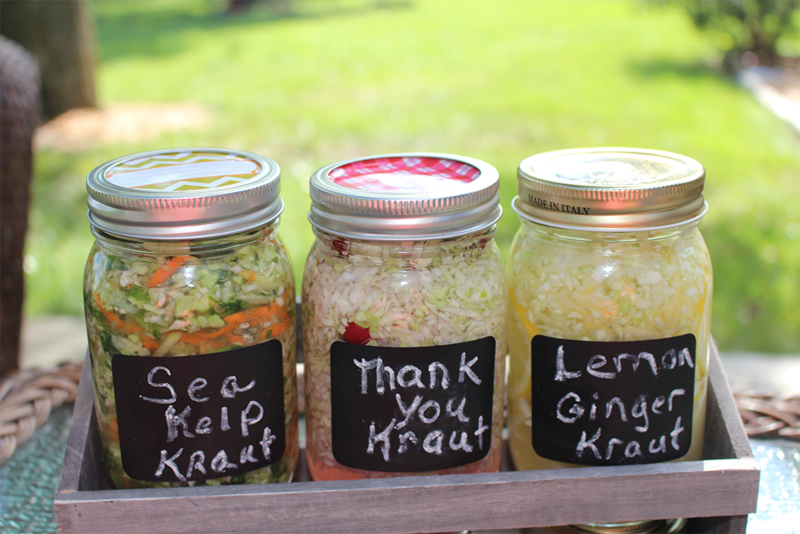 Captain Cook was one of the first people to make cultured sauerkraut a healing modality. When he took his first vessel and crew on a long voyage in 1768, a violent storm arose. The waves tossed the ship about violently, and many crewmen were injured. 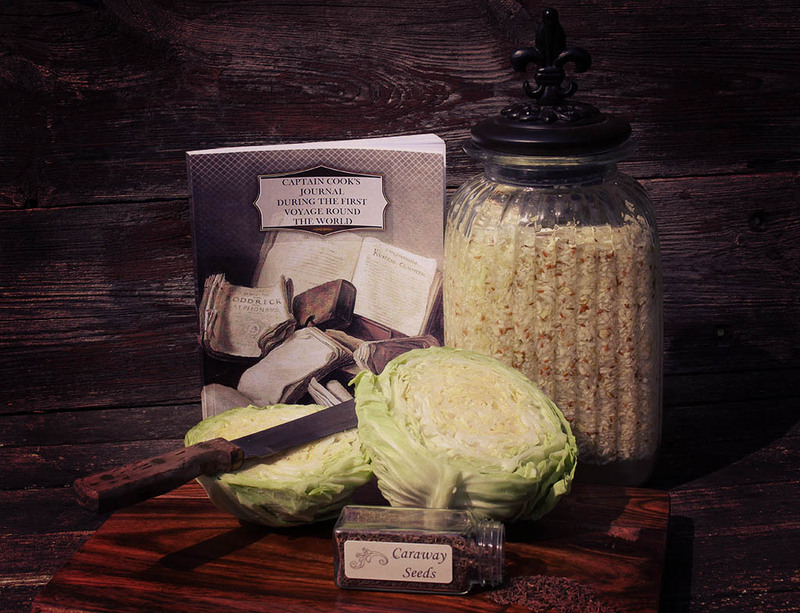 To save the men from gangrene, the ship’s doctor made poultices of the cultured cabbage on board to apply to their wounds. . . 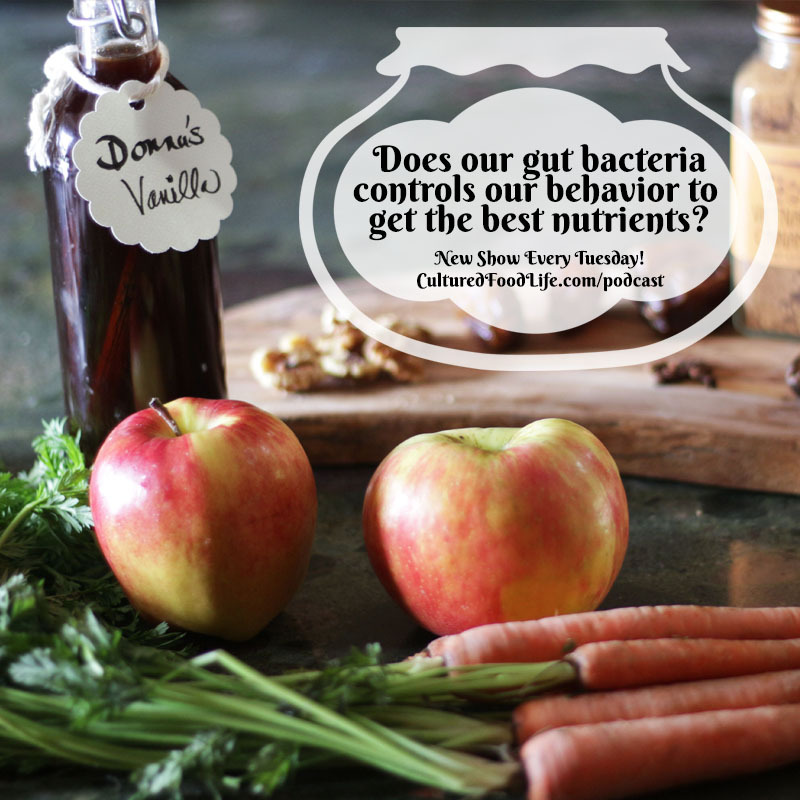 Episode 42: Does our gut bacteria control our behavior to get the best nutrients? 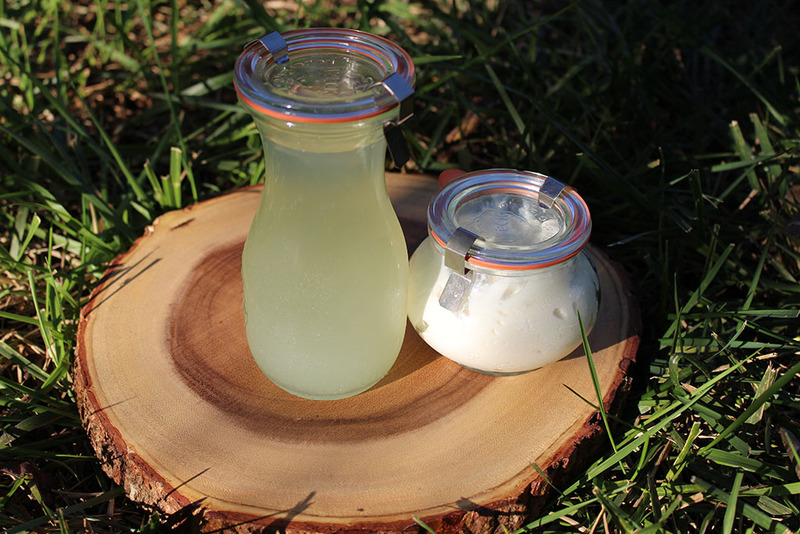 Kefir for Breakfast ~ My Favorite Four Fermenting Tip: Put a Lid on It? Do you have cravings for certain foods? How about Alcohol? Do Bacteria give us cravings? Can we control it to achieve new habits? Check out todays show to find out what your second brain is doing everyday that you’re not aware of. Food cravings — why do you have them? We tend to think food cravings are normal and there is not much we can do about them, but there is much more to it than this. This is a time of change. A time to look at the way we function in this world and do it differently than ever before. It’s a time to understand and use our body as a tool to teach us and help us. 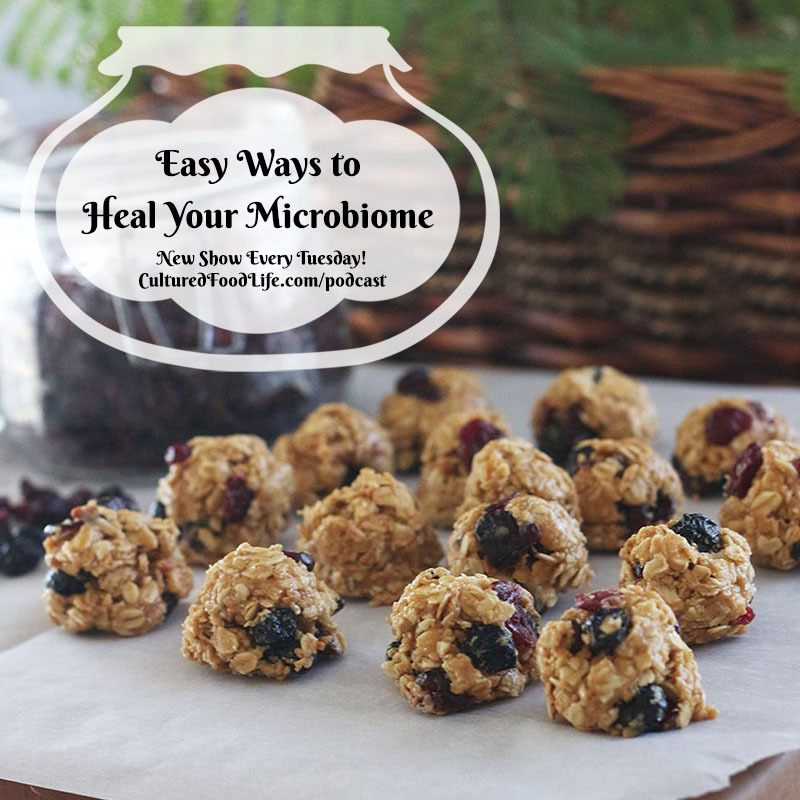 It's not hard once you understand how to work with your body and your trillions of microbes. They were put inside of you for a reason, and what a difference it can make when you understand how to make these changes. . . There is so much misinformation about cholesterol. So many don’t understand how cholesterol works in the body, and how good bacteria helps keep your cholesterol in perfect balance. Gain wisdom and understanding about cholesterol and learn how you can keep it in control. One of my good friends told me her cholesterol had gone up since drinking kefir, and then she said, “That’s my good cholesterol! 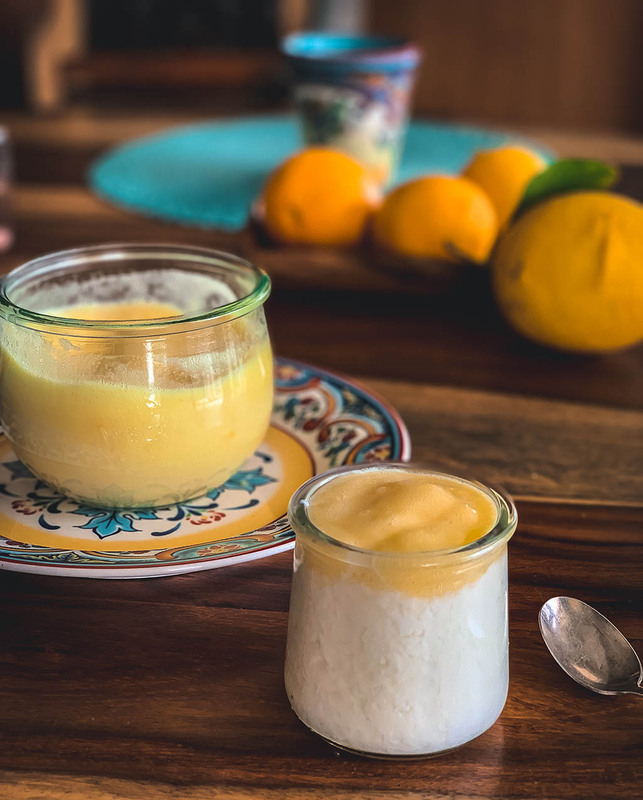 It went through the roof and my doctor is very pleased.” I got a few emails this week from people expressing to me that since they’ve been consuming kefir and cultured vegetables their blood cholesterol numbers normalized and other problems improved as well. This is not an unusual occurrence. I’ve heard from friends and family and people who email me or post on my Facebook page that cultured foods have helped their cholesterol. Those microbes in our bodies can help us with all manner of problems – and cholesterol is no exception. 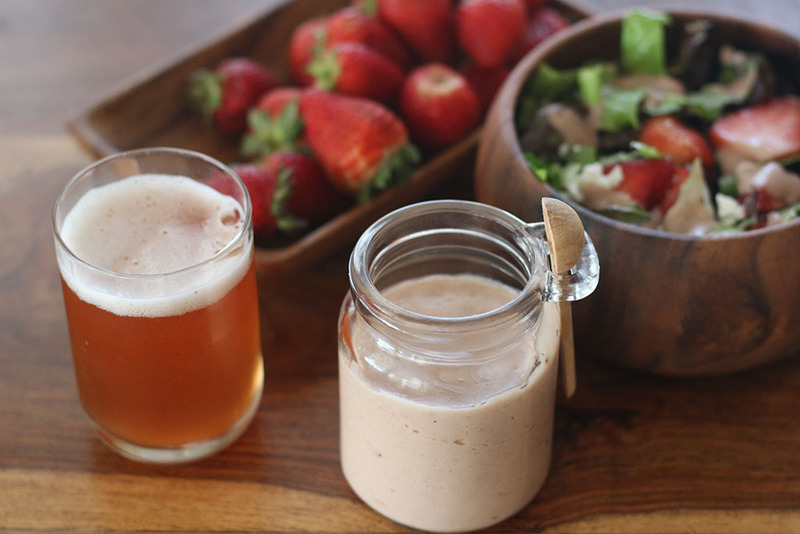 . .
Find out how to make this easy, delicious, probiotic drink and discover the tons of health benefits. 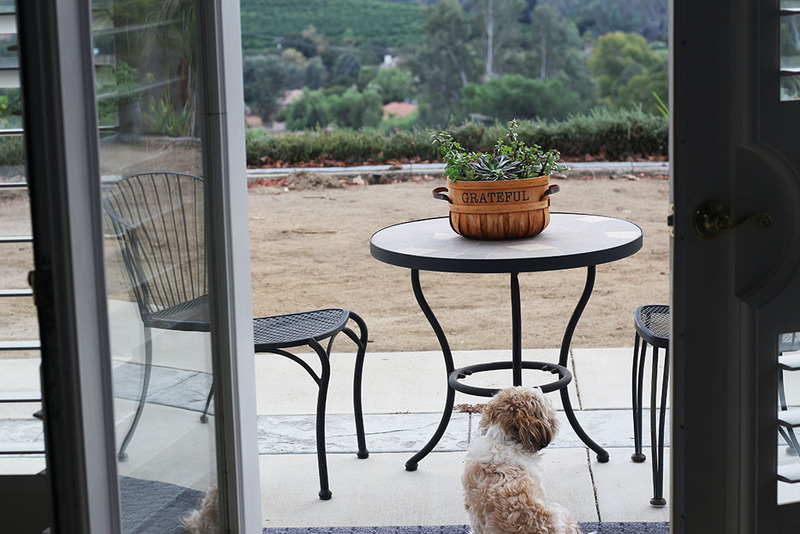 Learn how one woman cured herself of alcoholism by drinking rejuvelac. It's pretty amazing! 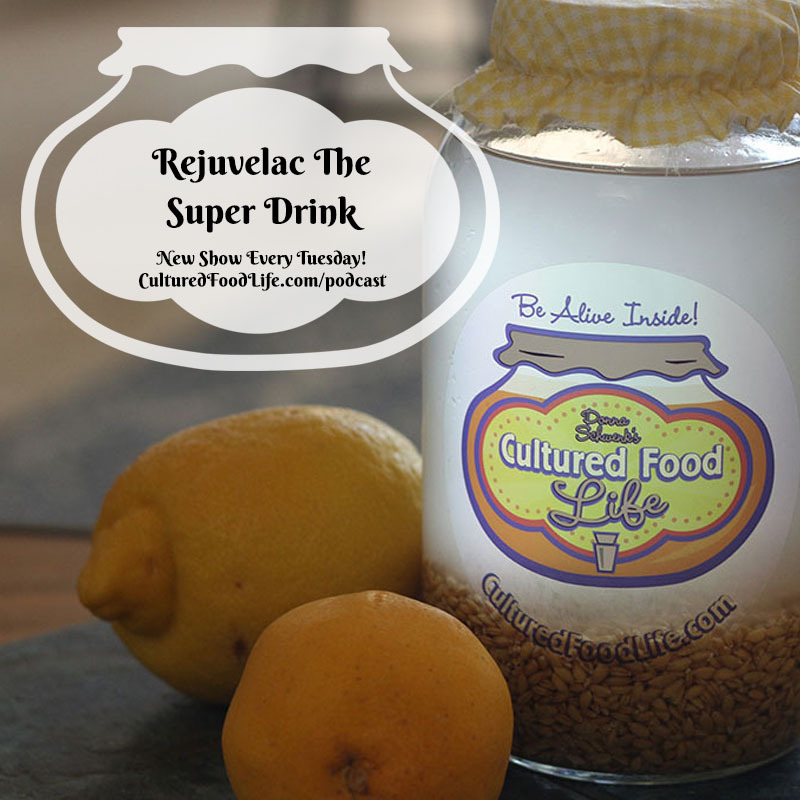 Have you heard of the fermented probiotic drink called Rejuvelac? The first time I heard of it I was just beginning with all things fermented and this drink intrigued me. I was fermenting so many things and I wanted to try this drink that so many raved about. What is Rejuvelac? 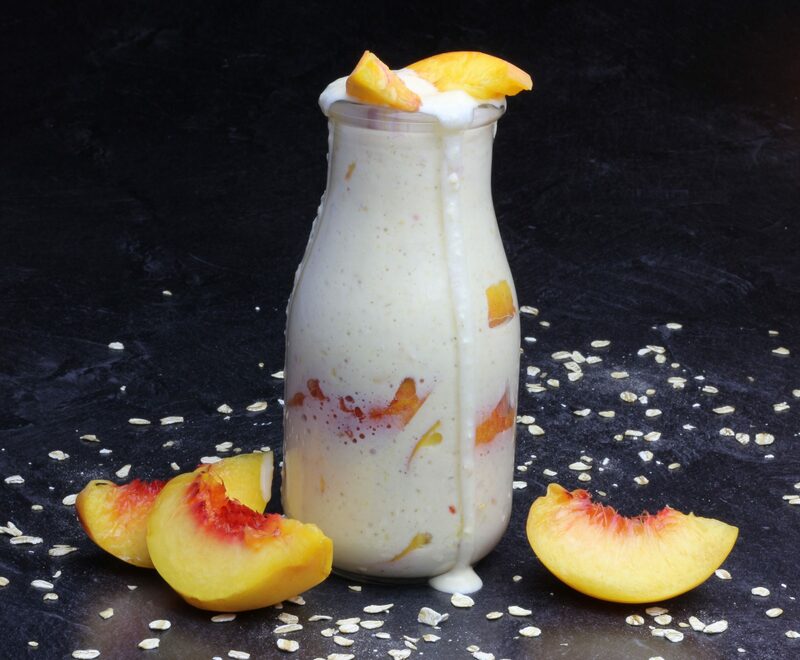 A drink made from cultured wheat berries or other grains, and even quinoa. Rejuvelac is high in vitamins B, C, and E, and enzymes. It tastes clean and fresh with a hint of lemon and I enjoy drinking it a lot. . . 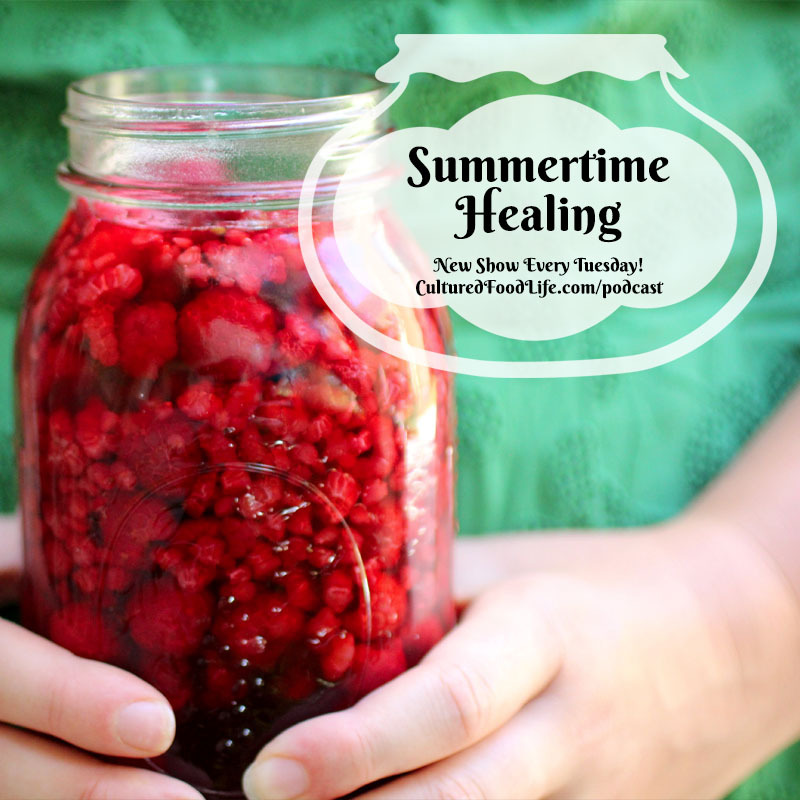 This show can help you understand your body’s signal when it’s trying to heal. Signs of healing can sometimes be mistaken for feeling worse when often it means you're healing and getting better. 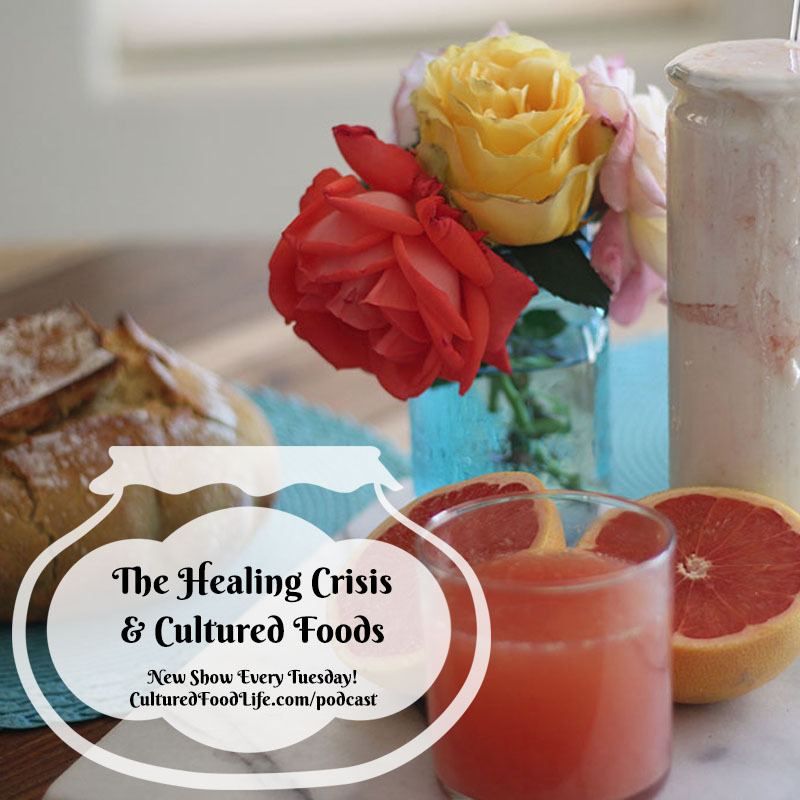 The healing crisis can be a good thing! Doctors, scientists, and researchers are all starting to realize just how powerful the gut truly is. Gut health can affect every system in the body. 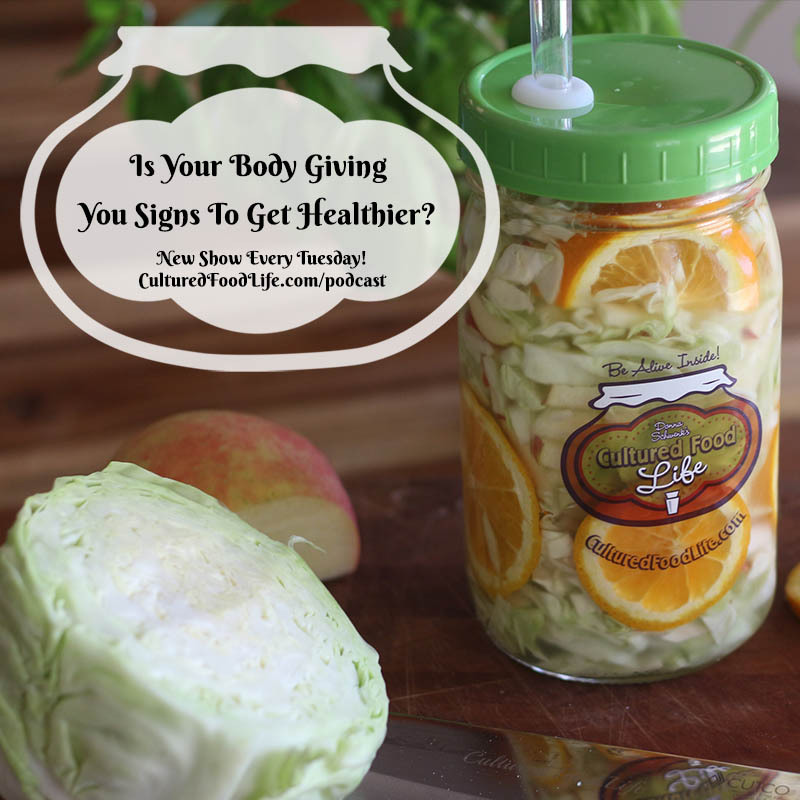 Find out how probiotic foods can change you from the inside out! These precious microbes that are making your body your own are designed to help you and they affect everything. We are just scratching the surface of what they can do. Everyone in medicine and scientific research is waking up and studying microbes. . .
Certain foods and sources available in the summer time have nutrients that super charge the immune system. Check out my favorite cultured recipes and summer foods that are fun, easy to make, and oh so good for you! Summertime kefir, kombucha, cultured veggies and sourdough bread. 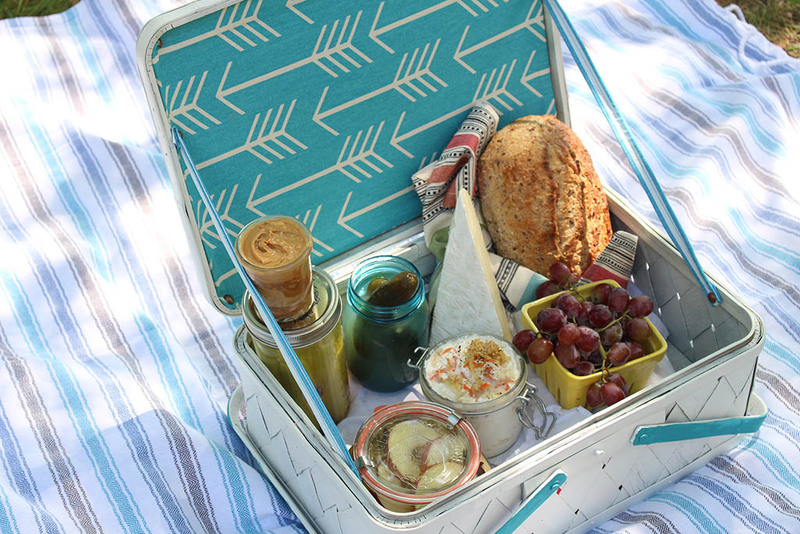 I wrote several articles about how to make my favorite summertime cultured foods! 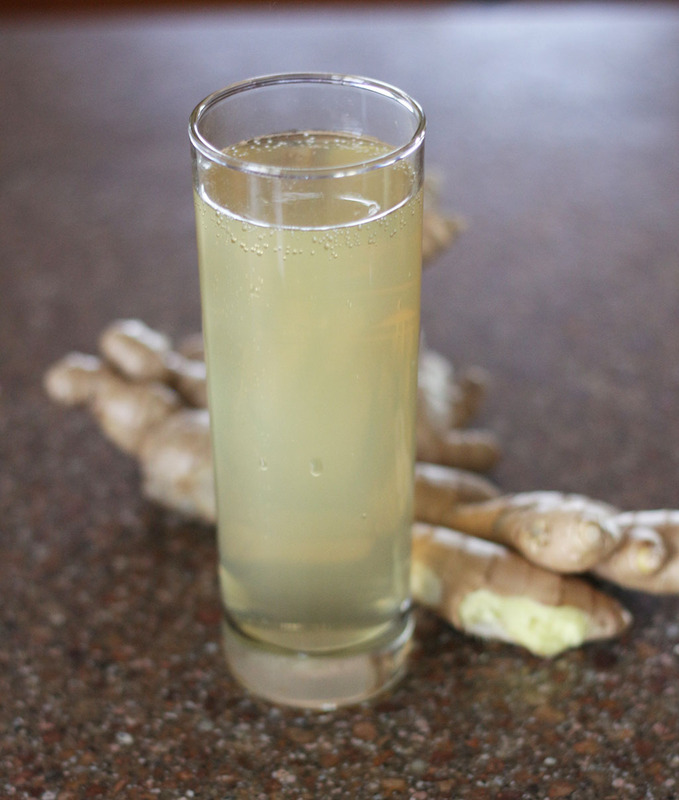 Explore the many reasons why you should have ginger every day. 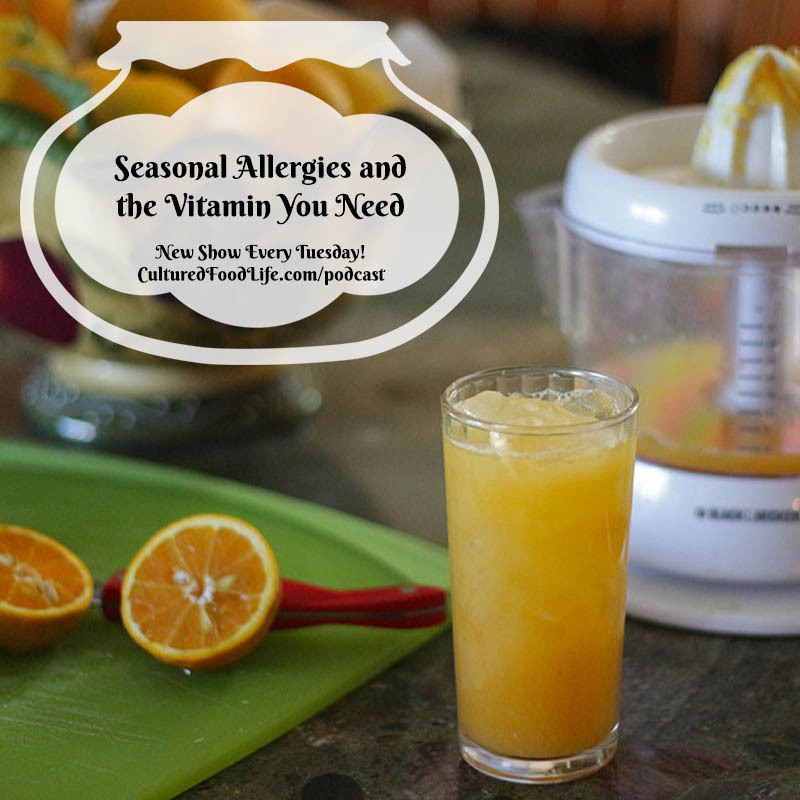 It’s a powerful tool for allergy season and for reducing inflammation. I can show you how I include this powerful food in my everyday life, and why it can make such a difference for you too. 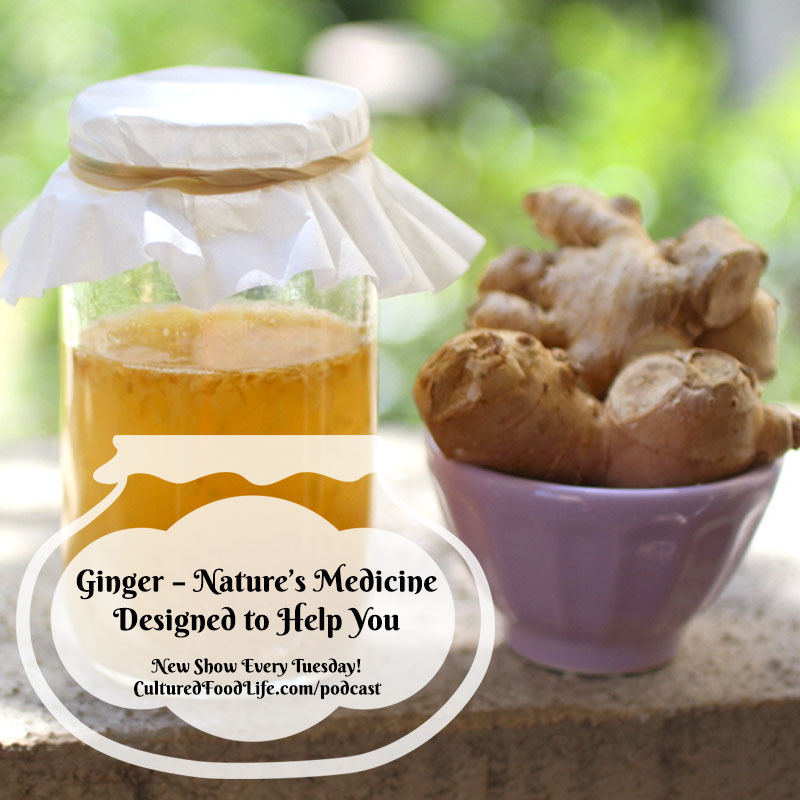 Check out my two articles on Ginger — with recipes! Episode 35: Will Eating Probiotic Foods Make Any Difference? Most people don’t understand the hundreds of processes in the body that happen 24 hours a day. What things can you do to be healthy? What do probiotic foods actually do? Check out today’s show to learn new information to achieve your best life ever. 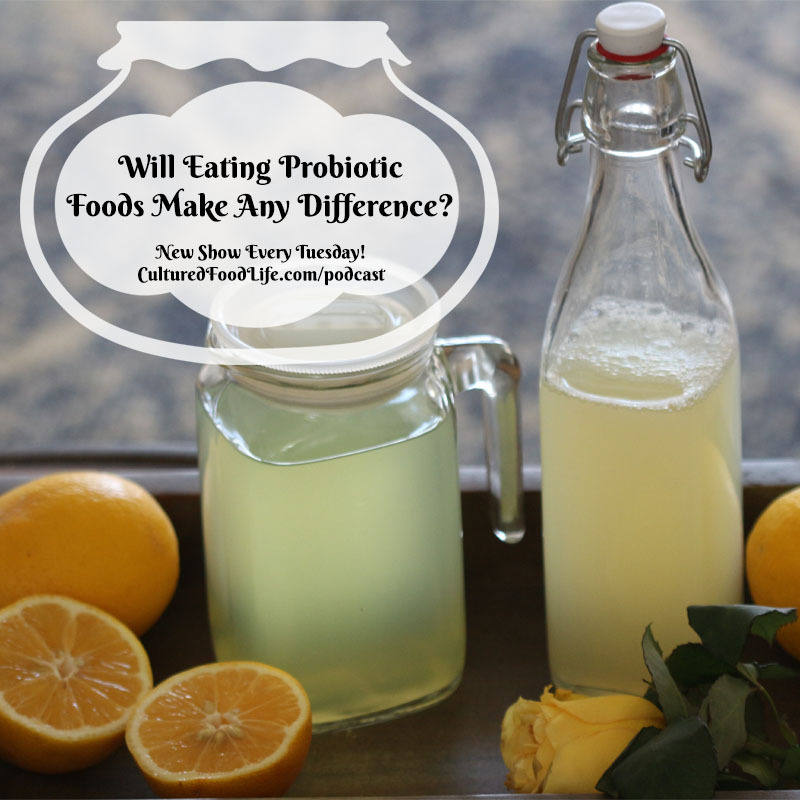 Will Eating Probiotic Foods Make Any Difference? Most of you don’t know what processes are actually happening inside of you every day. There are microorganisms everywhere and you can’t see them, but they are inhabiting you and everything else. You are 100 trillion cells of bacteria. Do you know how much that is? To get a point of reference. . . 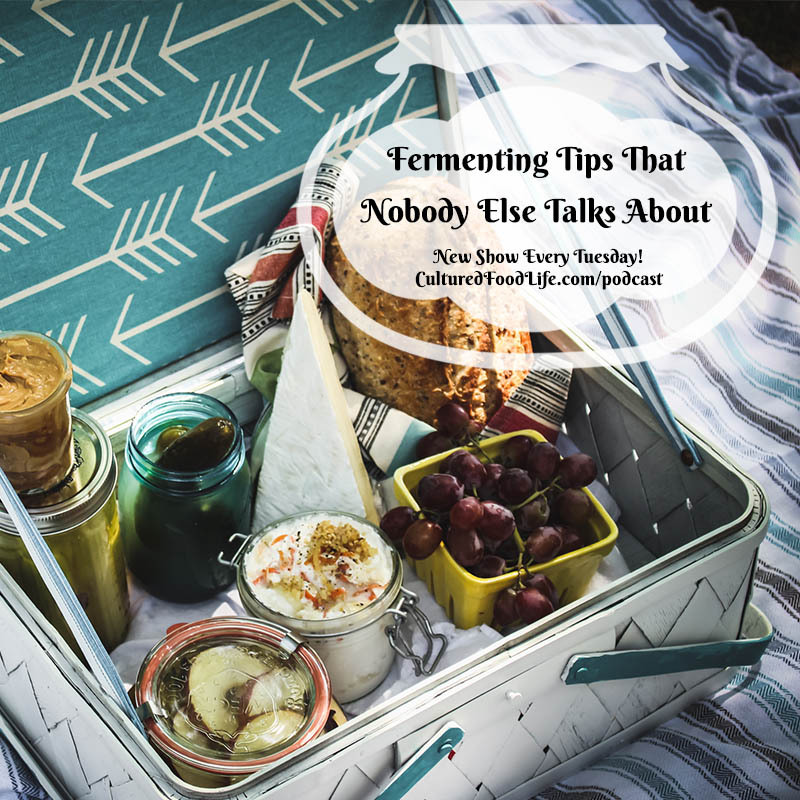 Episode 34: Condiments Can Be Probiotic Too! 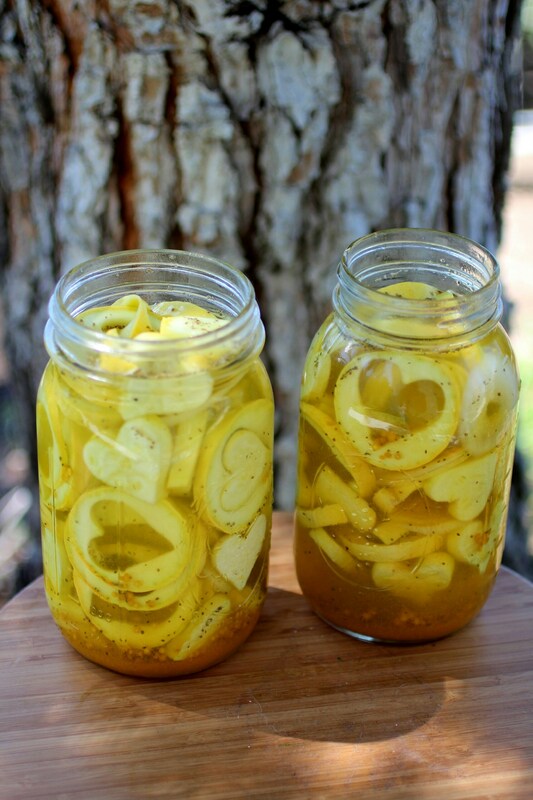 Years ago, condiments were all made by fermenting them. The probiotics preserved them while improving the consumer’s health and digestion. 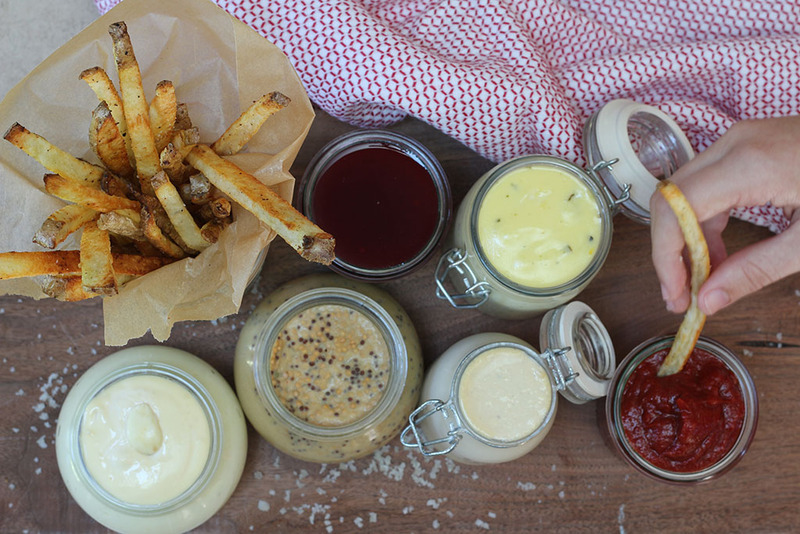 Learn how you can make these delicious condiments, too. 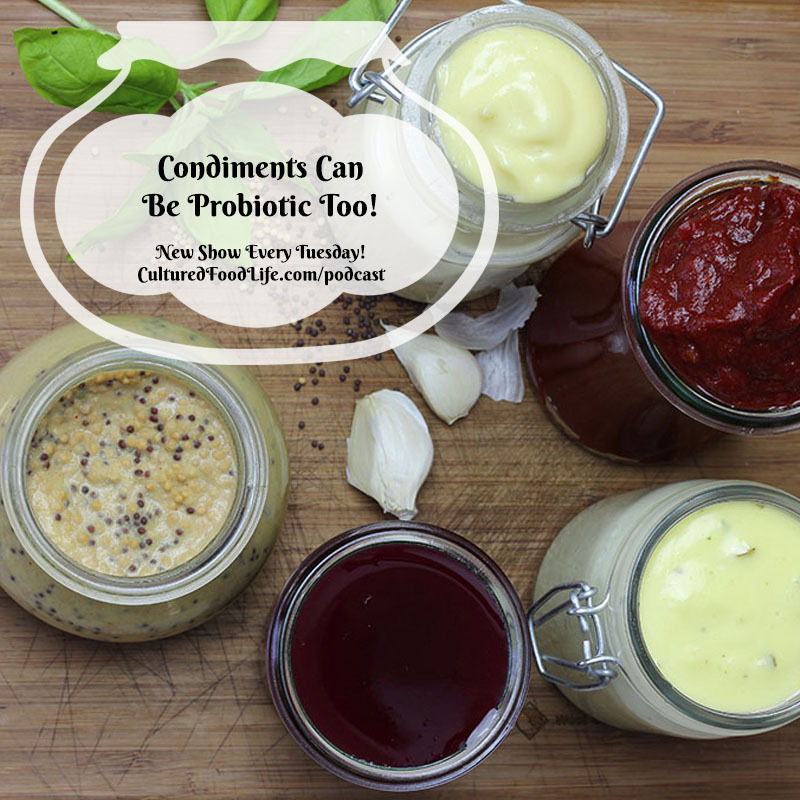 Make Your Condiments – Probiotic! We all eat condiments. They are easy to make, but most people just buy them. Why don’t you let me help you make them in as little as five minutes? They will have billions of probiotics and are perfectly preserved for months. You will love them, your family won’t know they’re eating billions of good bacteria, and people will think you’re especially talented that you make your own condiments. Trust me, this is true. Your gut bacteria can be one of your strongest allies in being healthy or it can be one of your worst enemies. It can send you signals through your emotions, food cravings, and stomach distress. 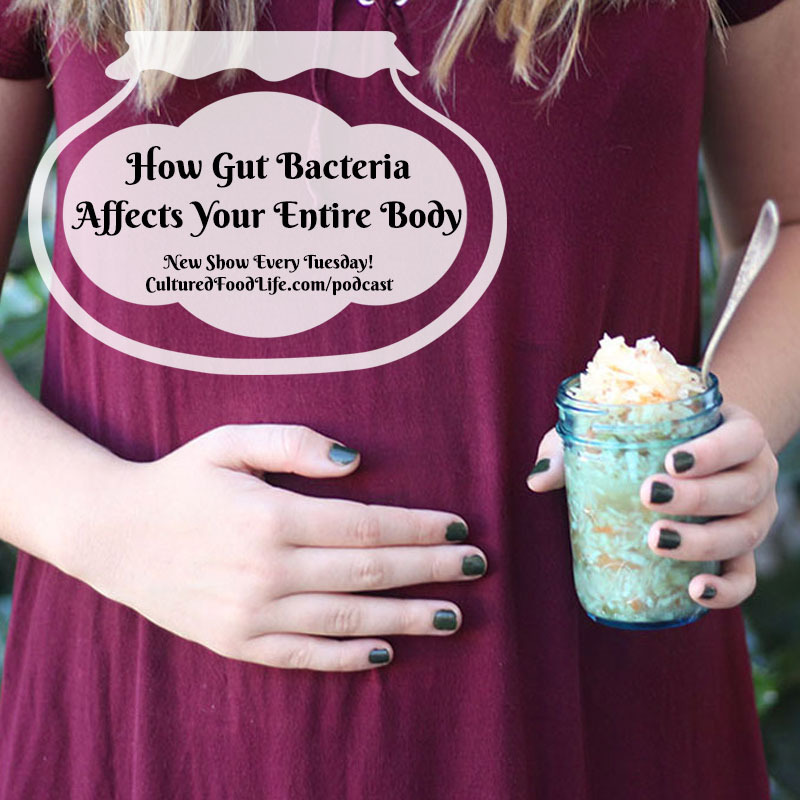 Find out if your bacteria are out of balance and what you can do about it today! Sometimes I wonder how I got here. Symptoms of disease struck my life almost two decades ago and it broke me. Those symptoms shook me to my core and I didn't know that my body was desperately trying to get my attention to help me heal. And heal I did. With a grateful heart, I'm here trying with all I know to help you too. I sometimes feel overwhelmed by the hundreds of emails I get. Some emails are of wonderful healings from these foods that healed me, and others are from those who are struggling and looking for hope. . . Researchers have discovered that dirt is the new Prozac. 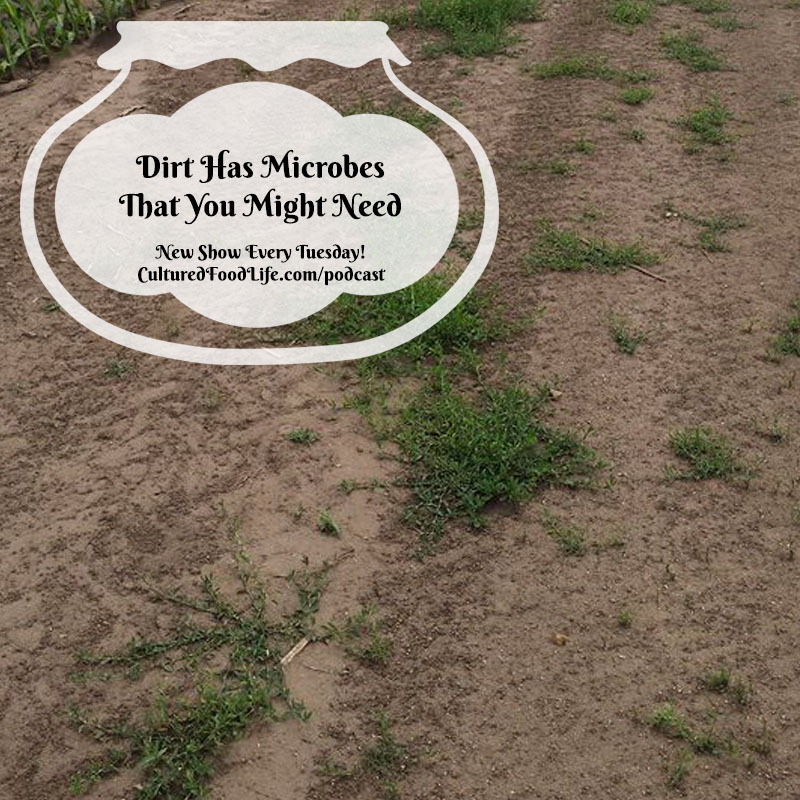 Billions of microbes in the dirt can keep us healthy and happy. The earth holds health-boosting energy and gives us what is called “electrical nutrition.” Learn more about our dirt on this week’s episode. After my daughter’s wedding, I set to the task of writing my new book and went to stay on our boat at the lake by myself. Something about water is soothing to me and walking barefoot at the lake calmed that franticness inside of me. It wasn’t too long before I found the words to write flowing out of me like a river. 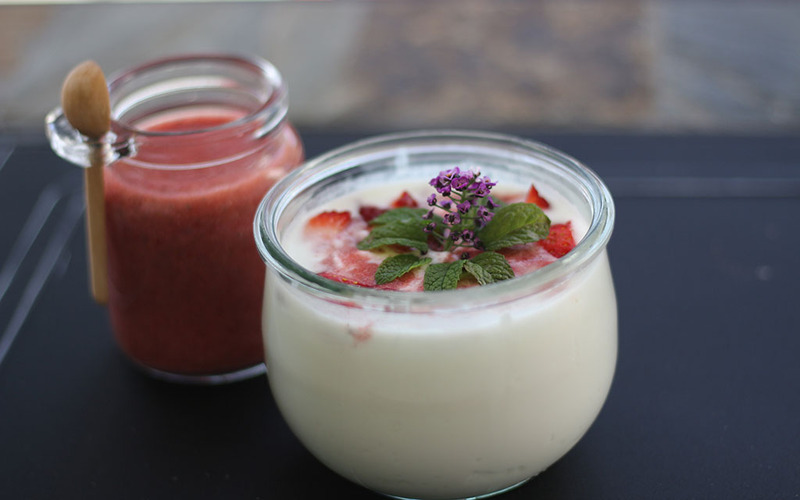 . .
Loaded with probiotics, these six foods are in different food groups and bring health and well-being to the body in a myriad of ways. Join me to find out what they are and easy ways to incorporate them into your daily life today! 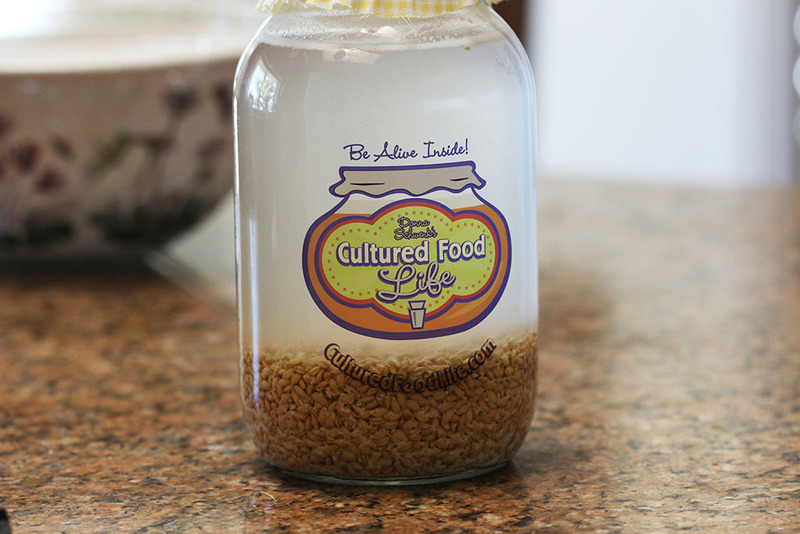 When it comes to cultured/probiotic and fermented foods, I am officially obsessed. Not everyone is going to make as many of these foods as I do; but once you get started, it’s an exciting journey! 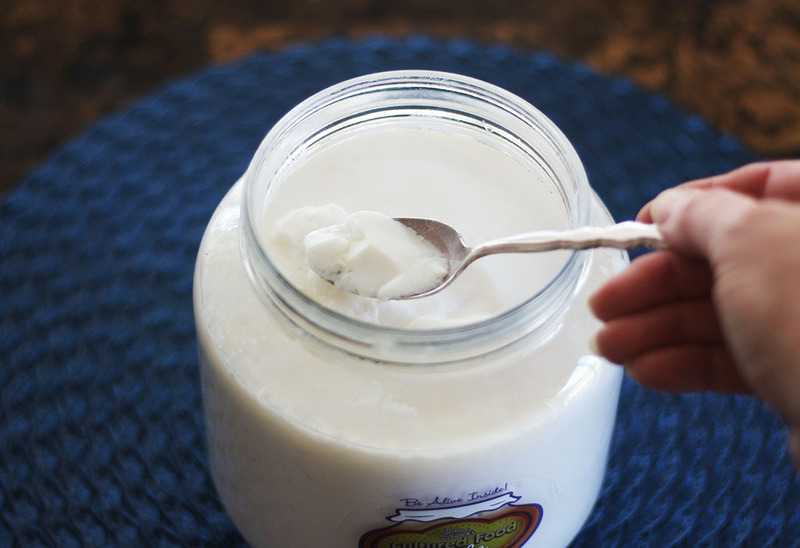 Here are the top seven probiotic foods I ALWAYS have on hand, and why . . . 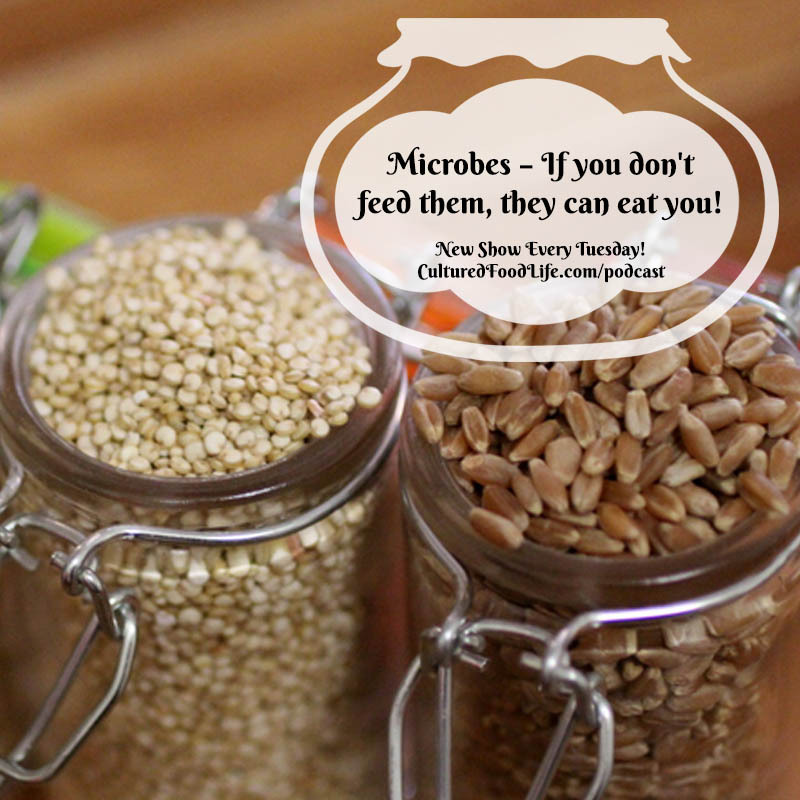 Episode 30: Microbes – If you don’t feed them, they can eat you! Find out how important it is to feed your microbes. 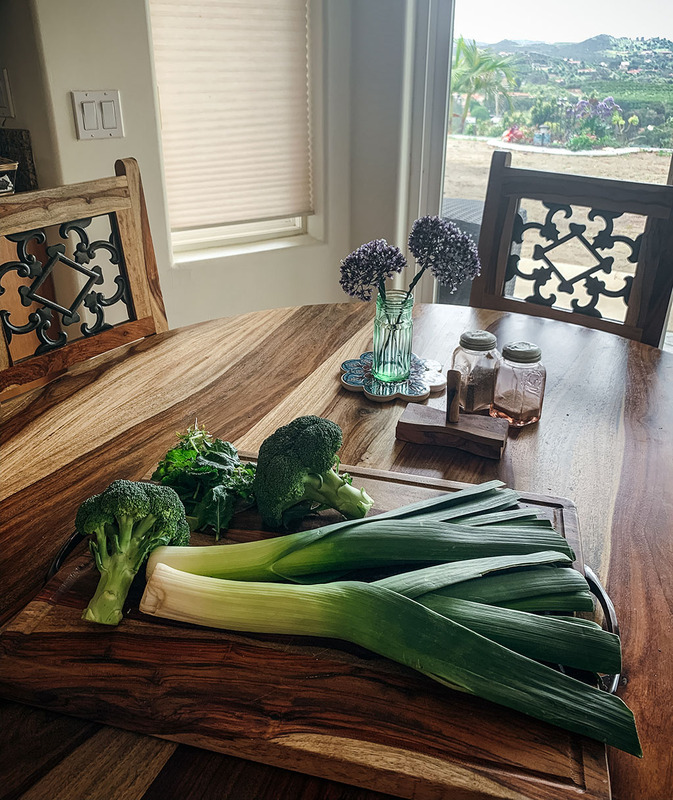 If your trillions of microbes don’t get what they need, they can start to eat the mucosal lining of the gut, leading to leaky gut, IBS, and more. 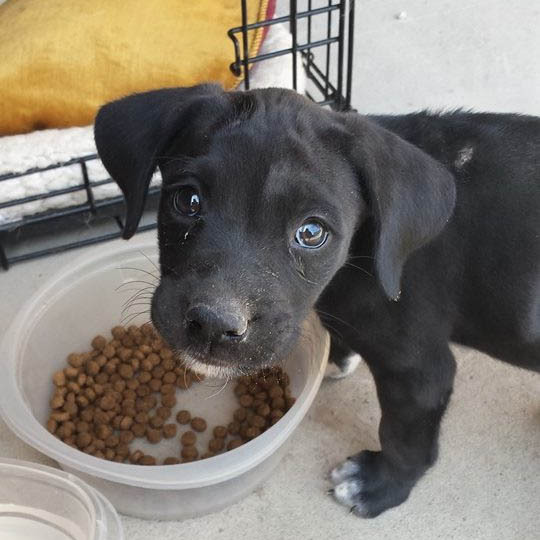 Find out how to keep them happy and fed. The microbes that have made your body their home are quite impressive, and most people are unaware of the magnitude of microbes that reside within them. One hundred trillion microbes is a tremendous amount, and let me better explain just how much this is. This is more than the stars in the Milky Way Galaxy and they’re all abiding in you, creating you and it’s time you understand what a miracle it is to be a human host for bacteria. . . The new buzz, probiotics in place of antidepressants. Leading edge psychiatrists are healing people's minds via their digestive systems. 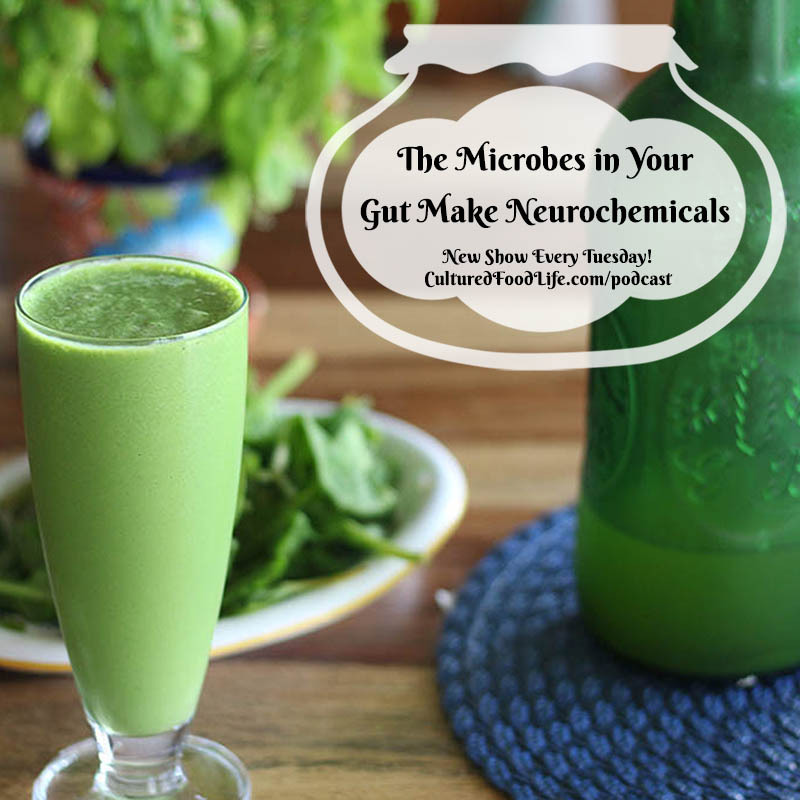 Learn why the gut is called the second brain and why many Psychiatrists are trading in drugs for probiotics! Researchers are discovering that an imbalance in your gut can cause mental symptoms. They call the gut the second brain, and boy are they right. 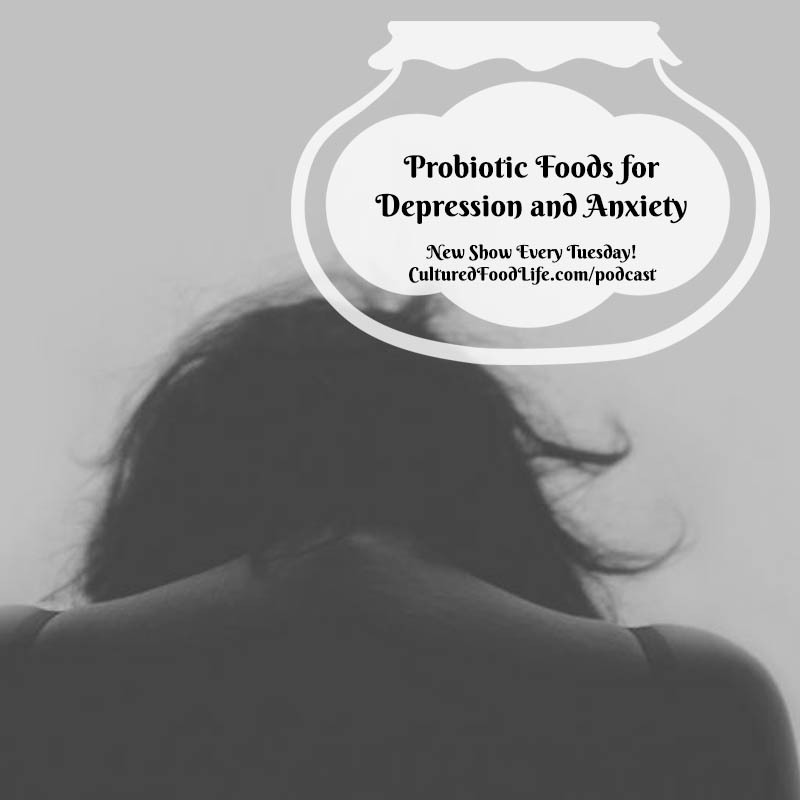 I have witnessed first hand those with ADD, anxiety, depression, and despair turn completely around when they fixed the microbes in their gut. . . 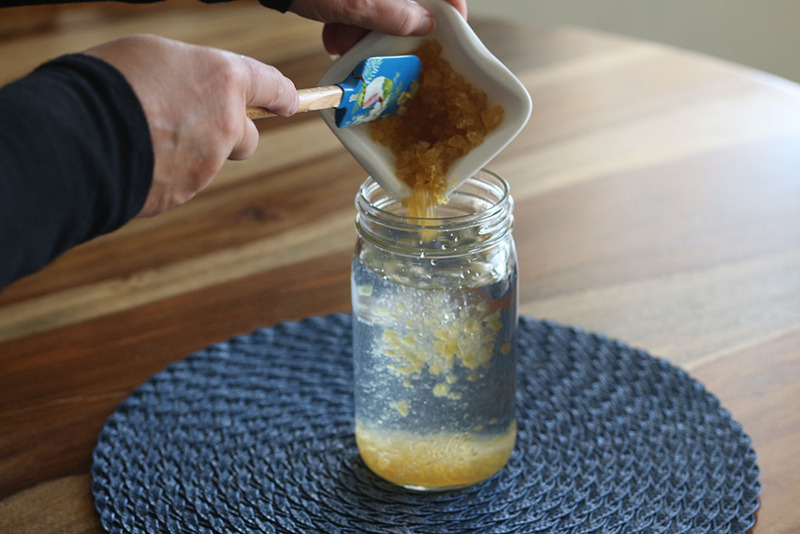 Learn How To Make Water Kefir Is Kefir the Answer for Acid Reflux? Seasonal allergies are caused by your immune system overreacting to something that it thinks is harmful but is actually not. There are many ways to support your immune system, and this one nutrient can change the way you feel in 30 minutes. Tune in to find out what it is and why you should have it too! I have had seasonal allergies since I was twelve or thirteen years old. For months in the springtime, I locked myself inside the house and turned to drugs and steroids that harmed my immune system. This seemed to be what everybody did and I did the same because I had nowhere else to look. . .
Water kefir grains, or we call them kefir crystals, are unlike milk kefir grains as they thrive on sugars and not lactose.These special probiotic yeasts and beneficial bacteria in the water kefir crystals consume the sugar in the sugar water, and they produce probiotics, new enzymes, vitamins, and help repopulate your gut flora. They are dairy free and gluten free despite being called "grains." They look slightly different from milk kefir grains and are translucent, while milk kefir grains are white. 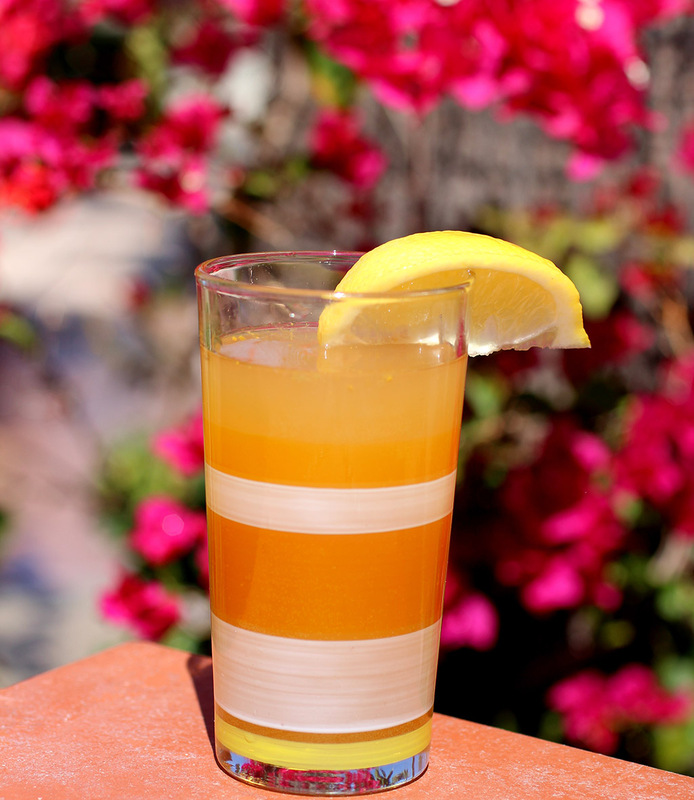 Water kefir is different from the Kefir Soda recipes on my site. 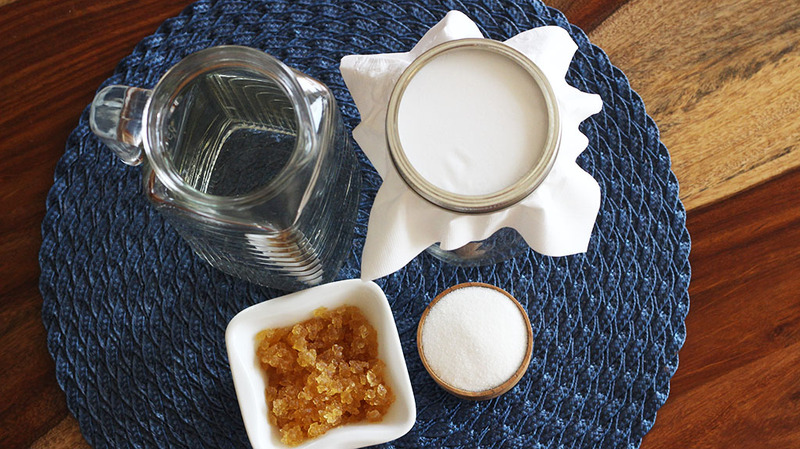 Kefir soda is made with a powdered packet of a kefir starter or kefir whey which is from milk kefir and is not dairy free. 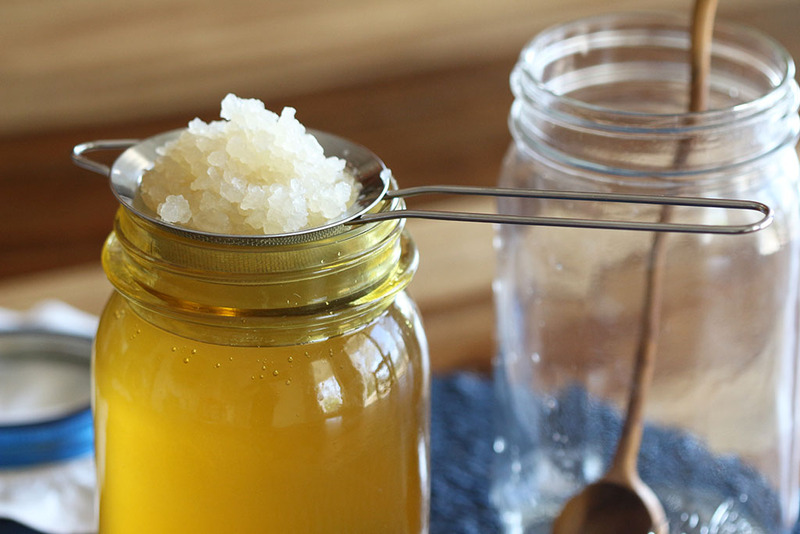 This recipe is made with water kefir crystals that can last indefinitely and is fun to make! These live active cultures contain over 14 different types of yeast and bacteria existing in what some people call a symbiotic relationship, but that is not exactly true. Bacteria and yeast fight for dominance and each of them keeps the other in balance. The yeasts (which are probiotics too) are fast growers but run out of room to grow due to the larger amount of good bacteria. They are then forced to ferment and the by-product is a lovely naturally occurring carbonation present in water kefir. Bacteria and yeasts work in our bodies much the same way. You need both to have a healthy gut microbiome. You need more beneficial bacteria than yeasts and when you have this harmony, all is well. I love all that bacteria can do, and water kefir can help you replace drinks that don't have health benefits such as sodas and energy drinks. For thousands of years, probiotic cultures have helped keep our foods and drinks safe through the process of fermentation. 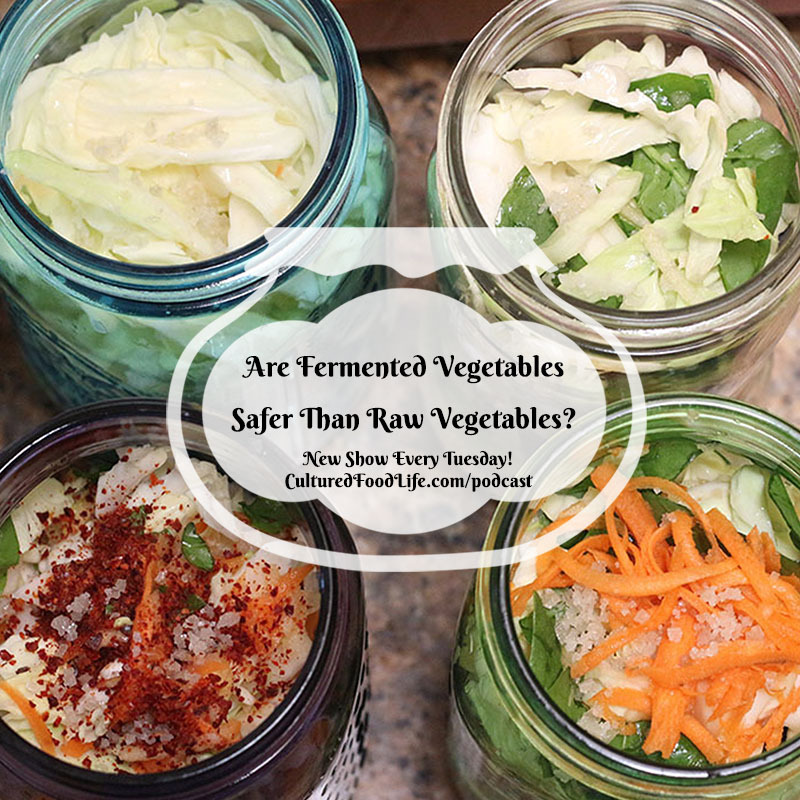 When a food or beverage is fermented, it is loaded with beneficial bacteria and yeasts that keep out harmful bacteria. 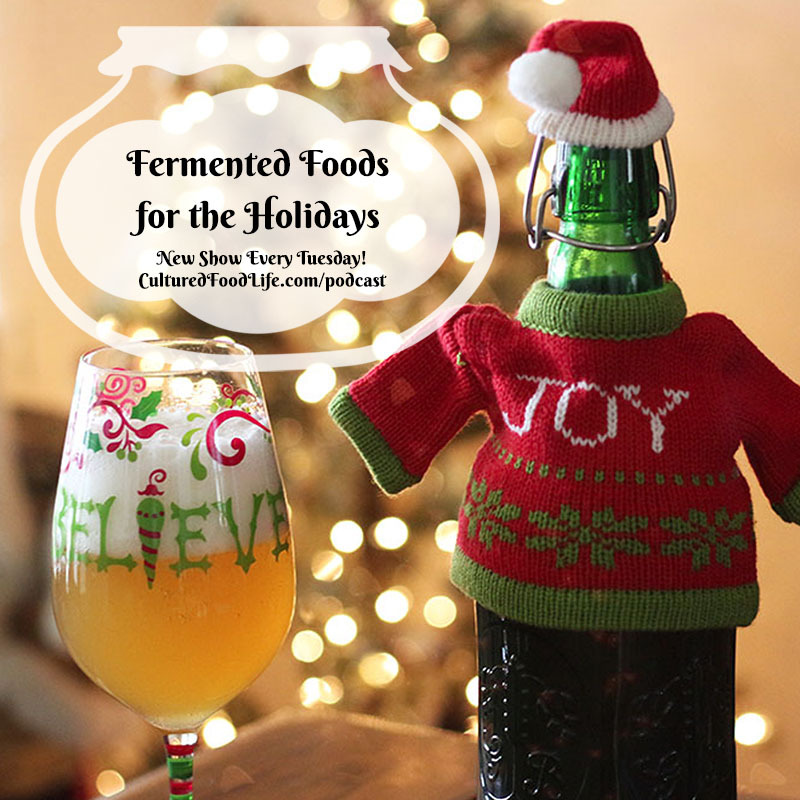 The fermentation increases the minerals and vitamins and helps you digest the foods you eat when you have a glass with your meal. 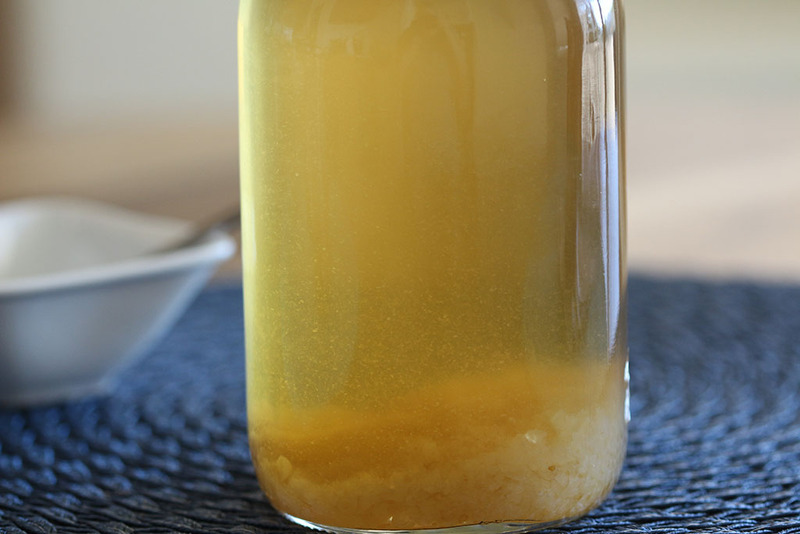 Here is a look at the probiotic bacteria and yeasts in water kefir crystals that help create delicious probiotic water kefir. 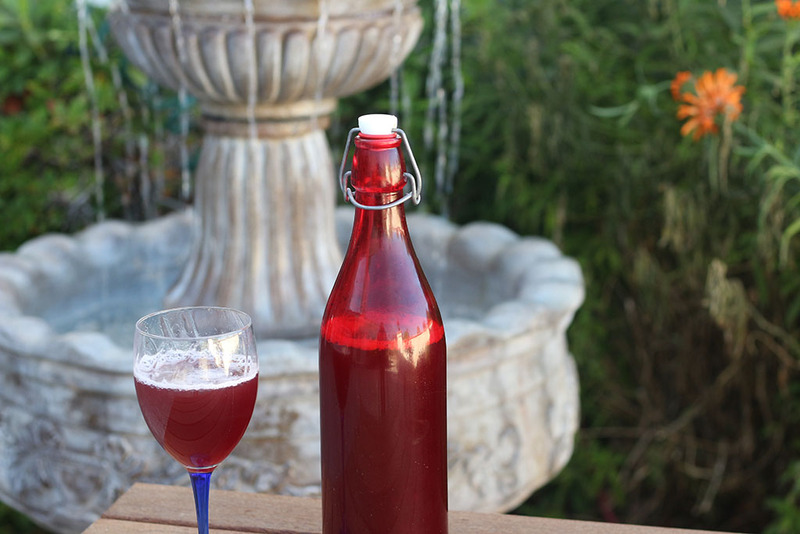 Water kefir does not have much flavor on its own. 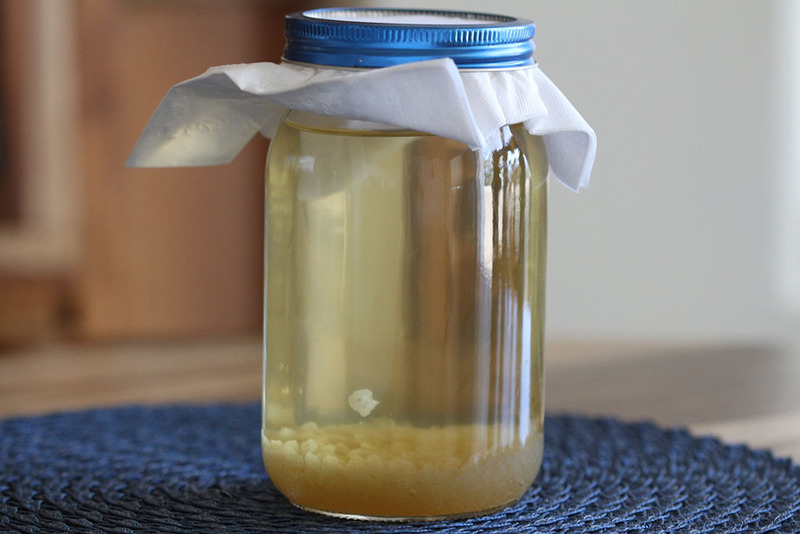 With this method, I recommend doing a second ferment with juices and flavorings to give your water kefir extra flavor. 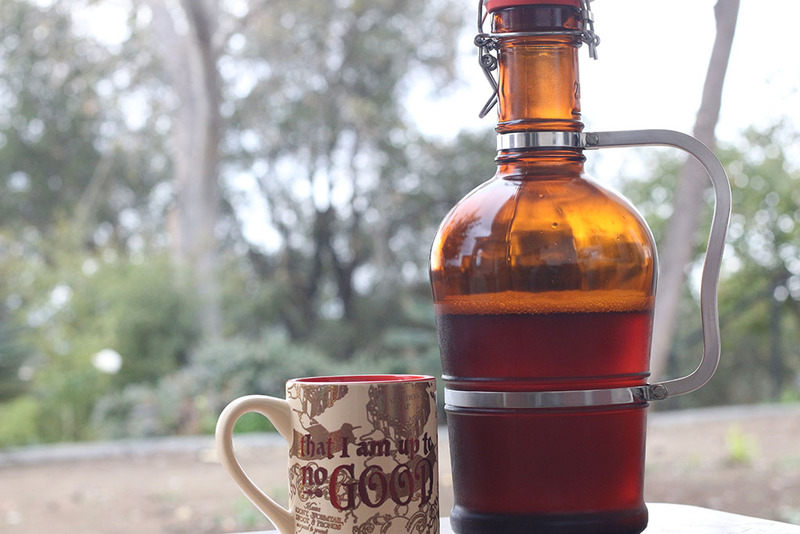 It will give you a fizzier and more consistent brew each time. 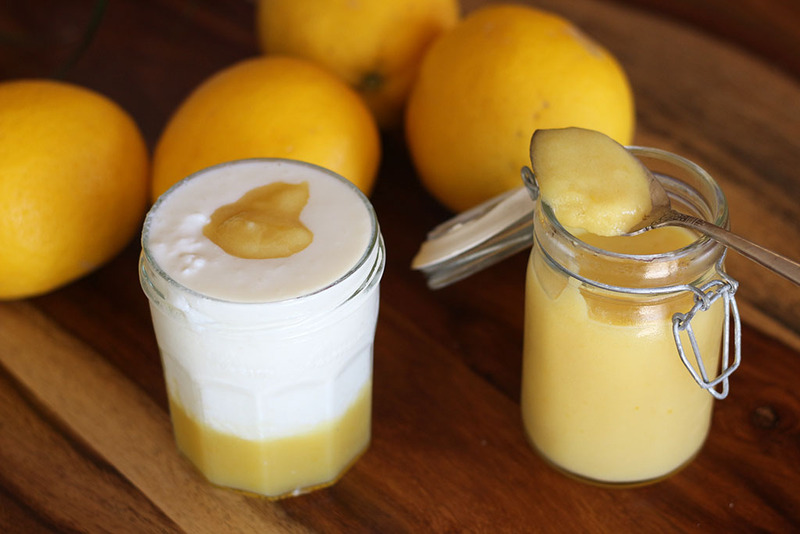 We have lots of recipes to second ferment your water kefir. 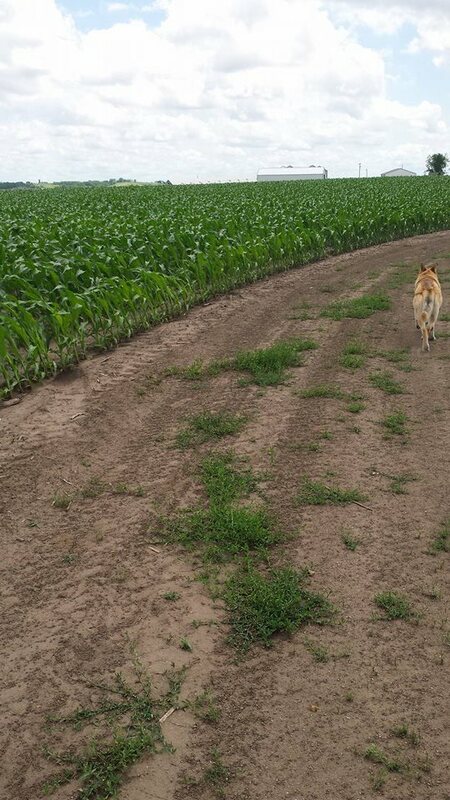 These grains grow rapidly and it's important to give them minerals from time to time. 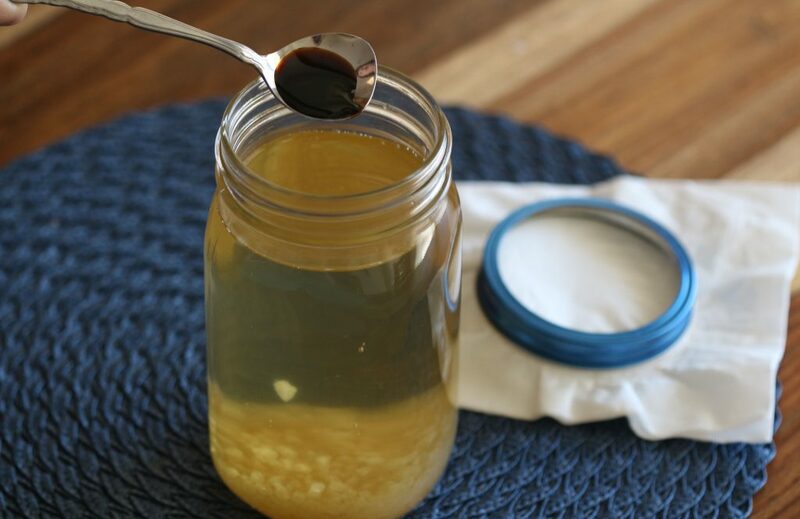 A small drop of molasses can add minerals and help your water kefir crystals stay healthy. You can also add minerals drops or dried fruit such as a raisin or two. I recommend water kefir be consumed within a week. It will ferment rapidly even in the fridge - much faster than kombucha - and can end up with too much pressure and not as pleasant of a taste. 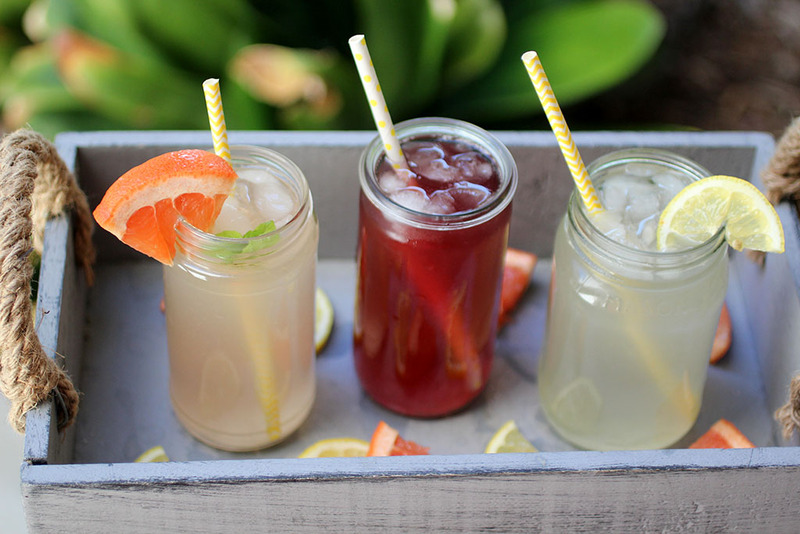 Water kefir may also become more alcoholic if fruit juices are used and fermented for longer periods of times. This is another reason to drink it more quickly. Some recommend not using filtered water as water kefir grains thrive on minerals (as do most cultures). Filtered water is okay if it doesn't remove the minerals. 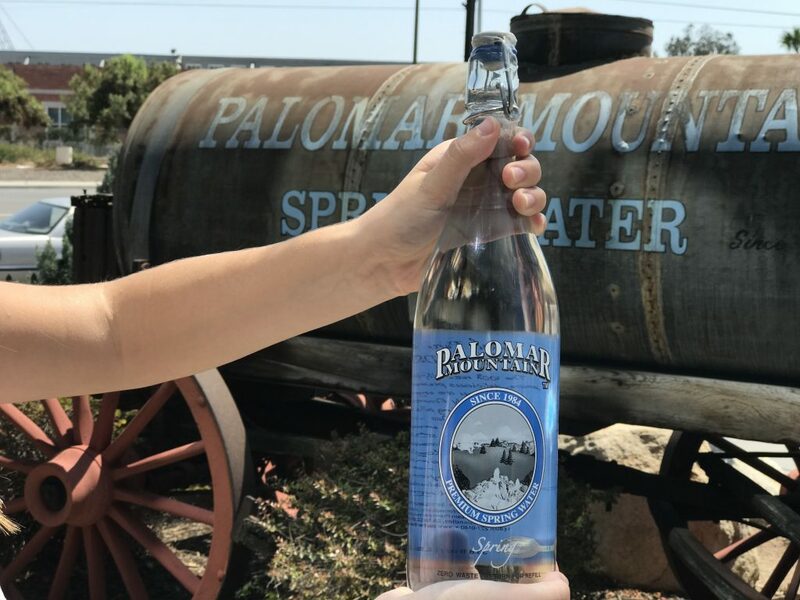 I do not recommend using distilled or reverse osmosis or any waters that remove ALL minerals from the water. Regular filtered water or spring water is fine, and I've never had any problems with it. 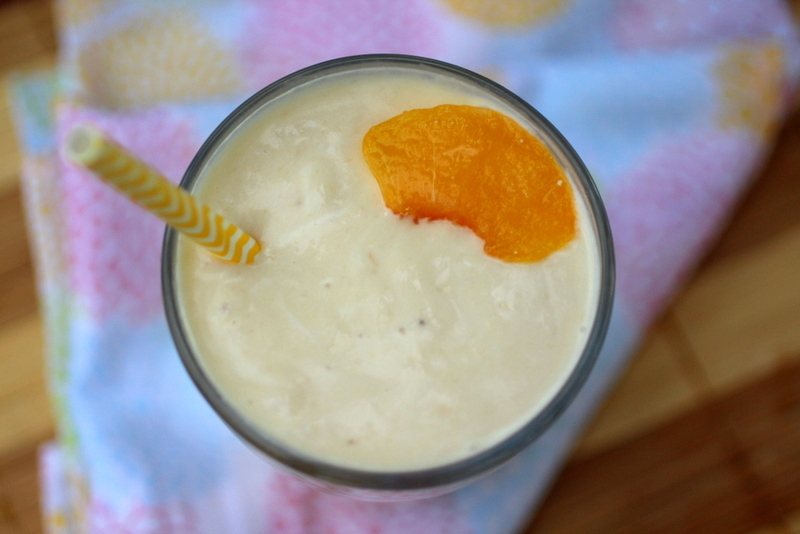 I hope you enjoy this probiotic drink as an add-on to your already happy diet!